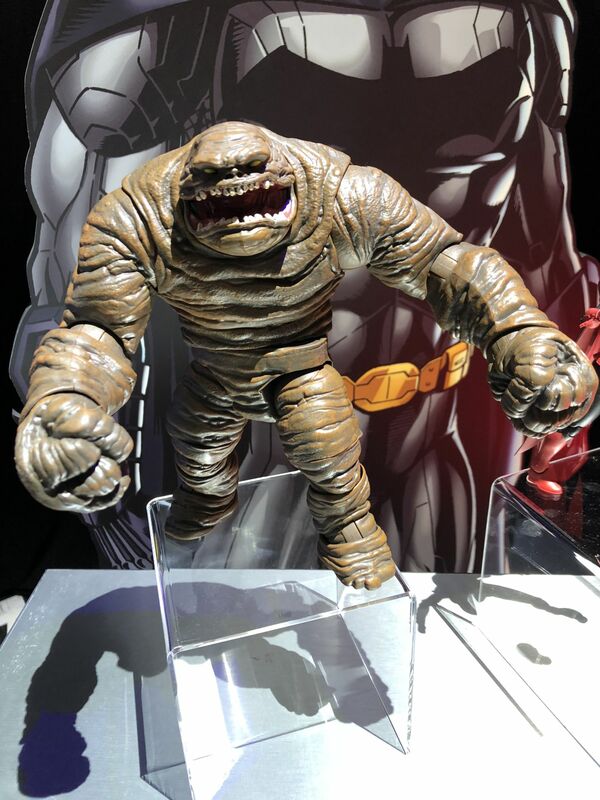 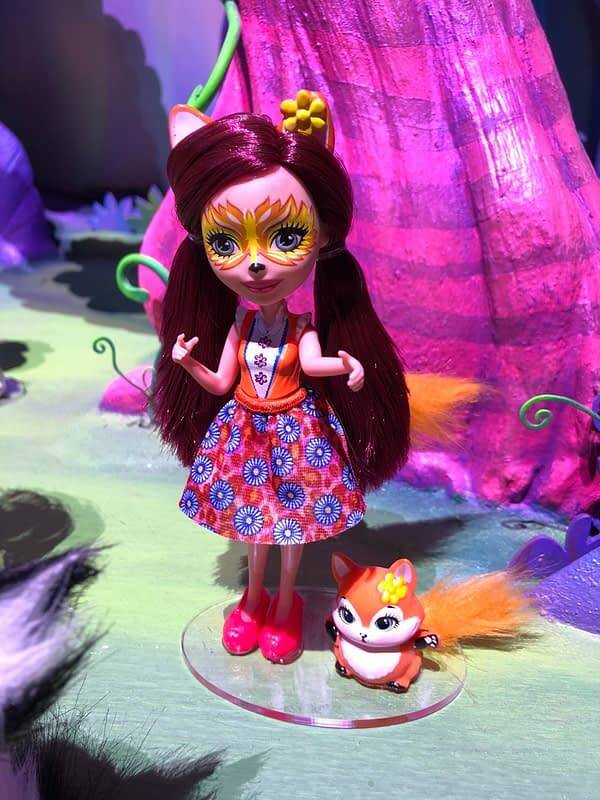 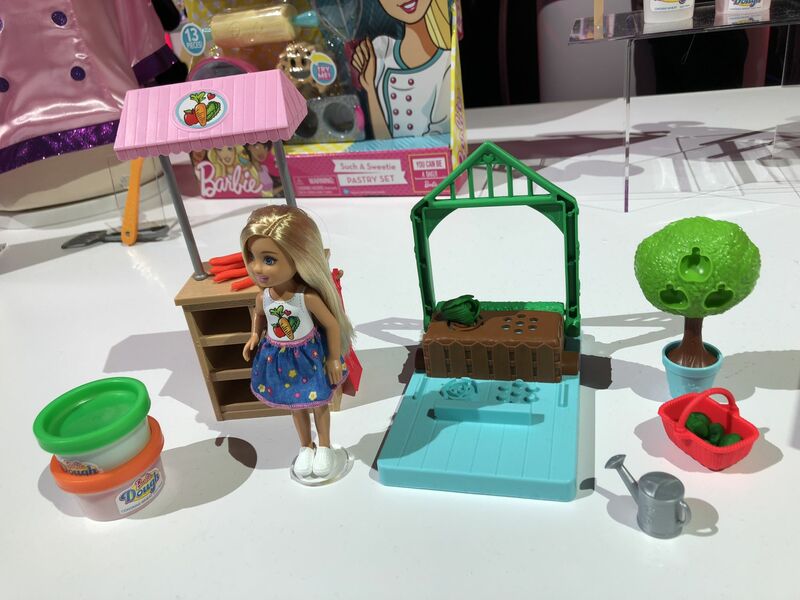 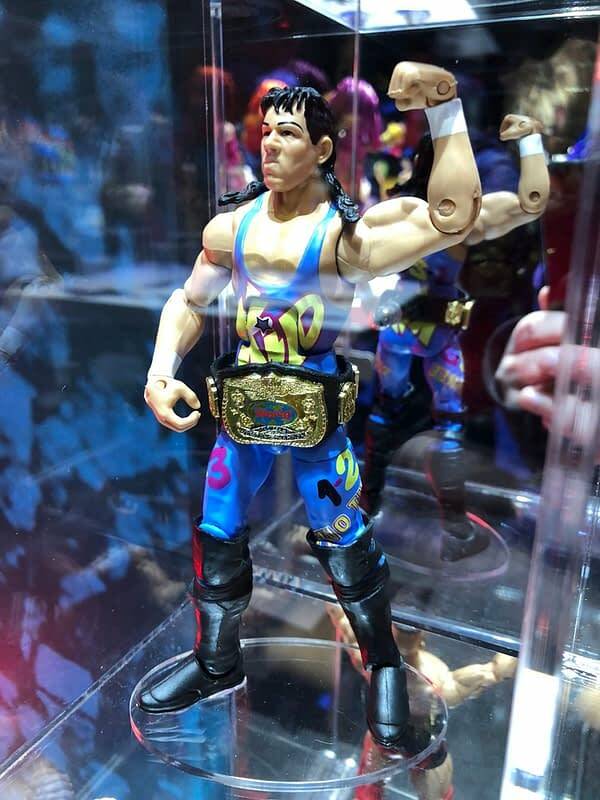 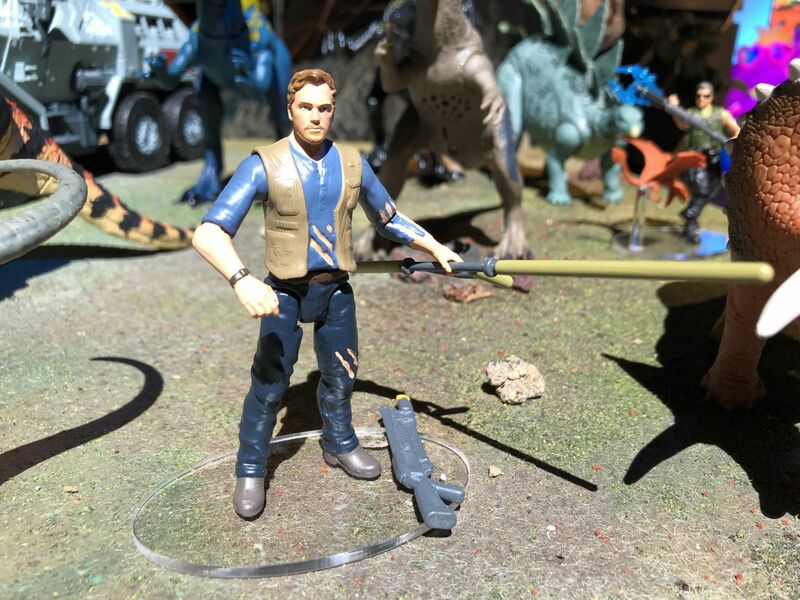 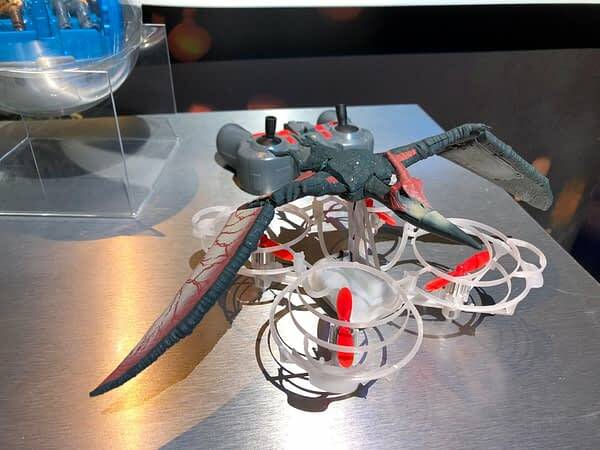 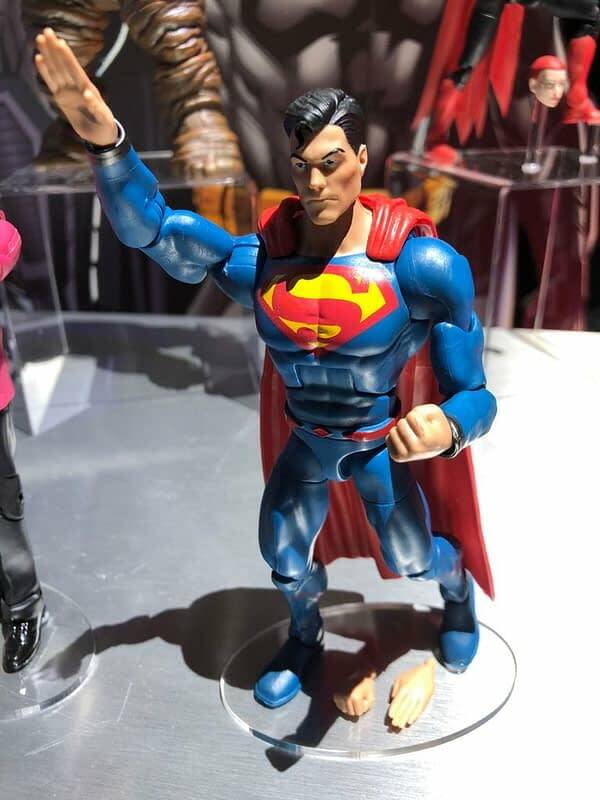 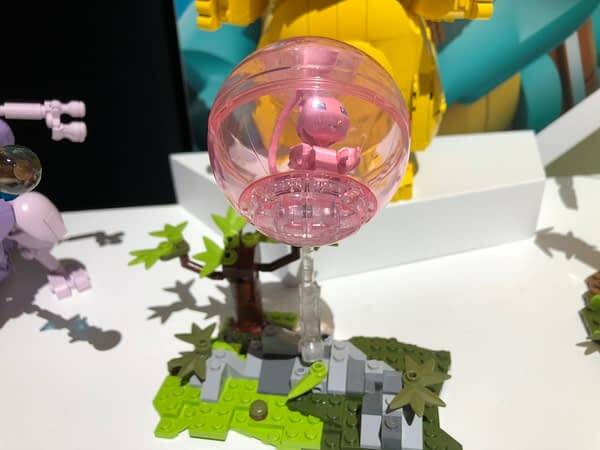 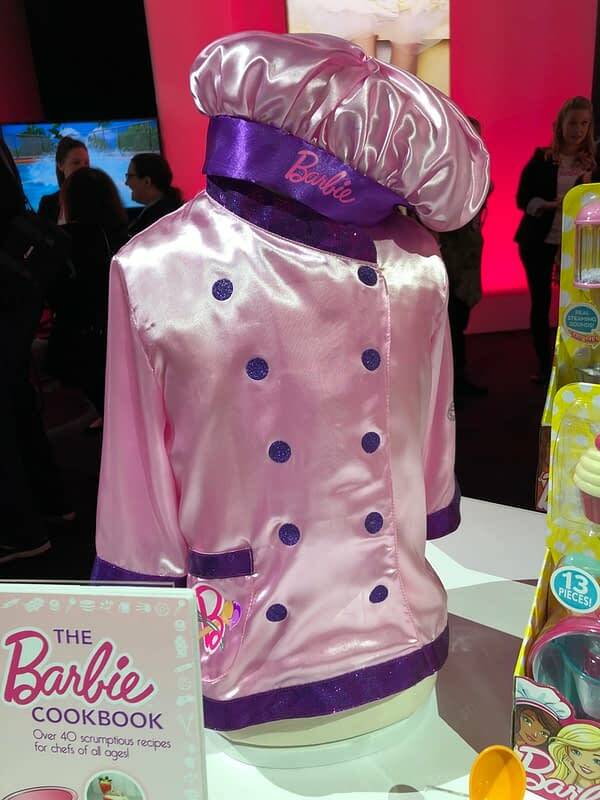 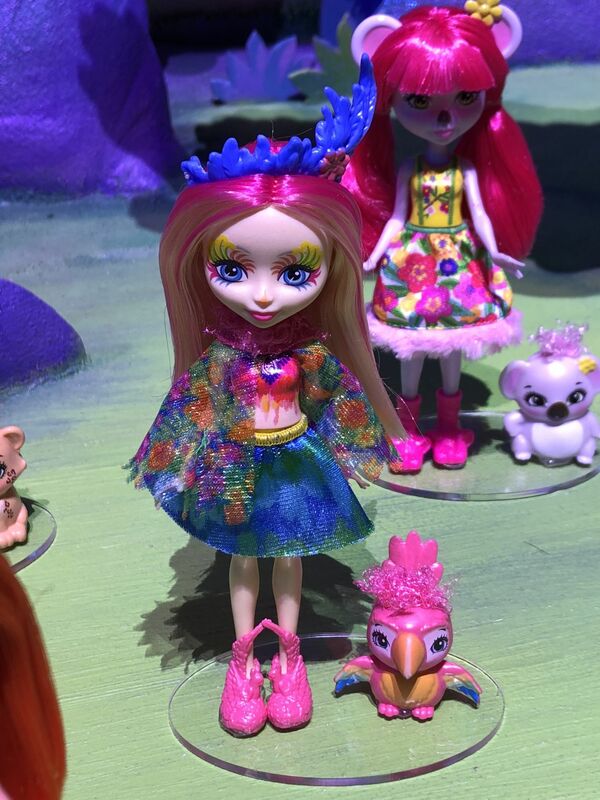 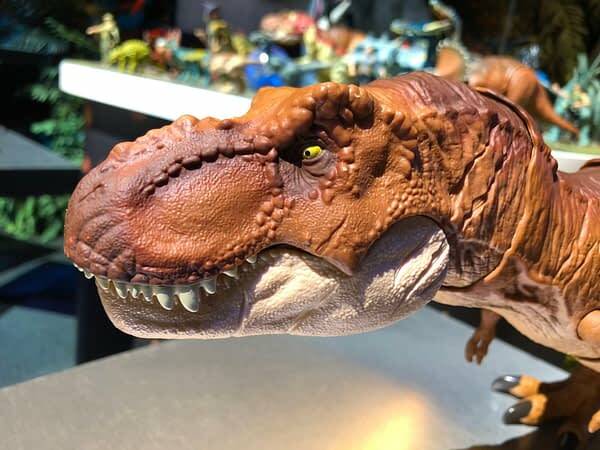 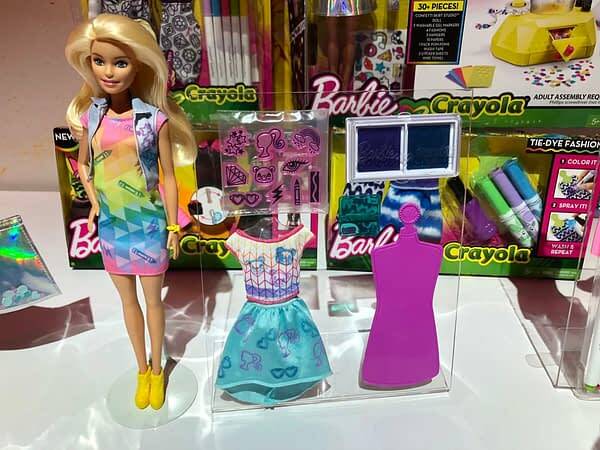 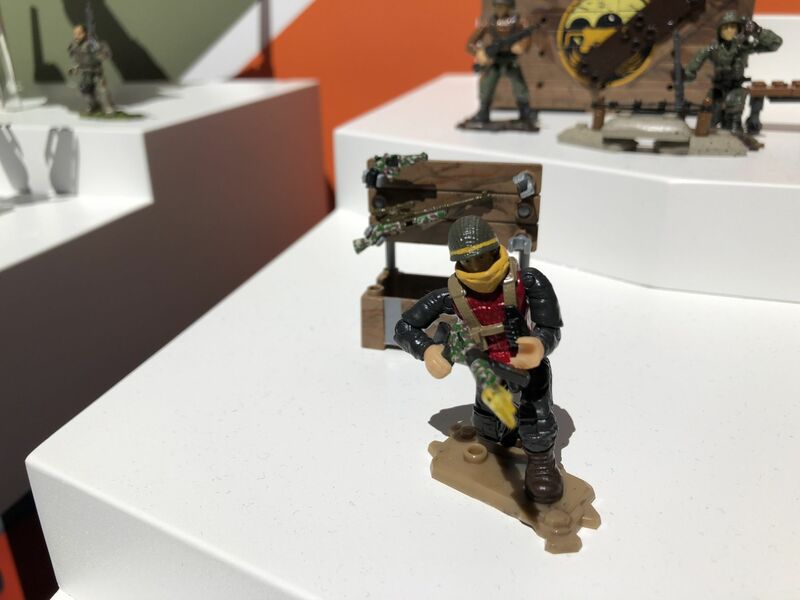 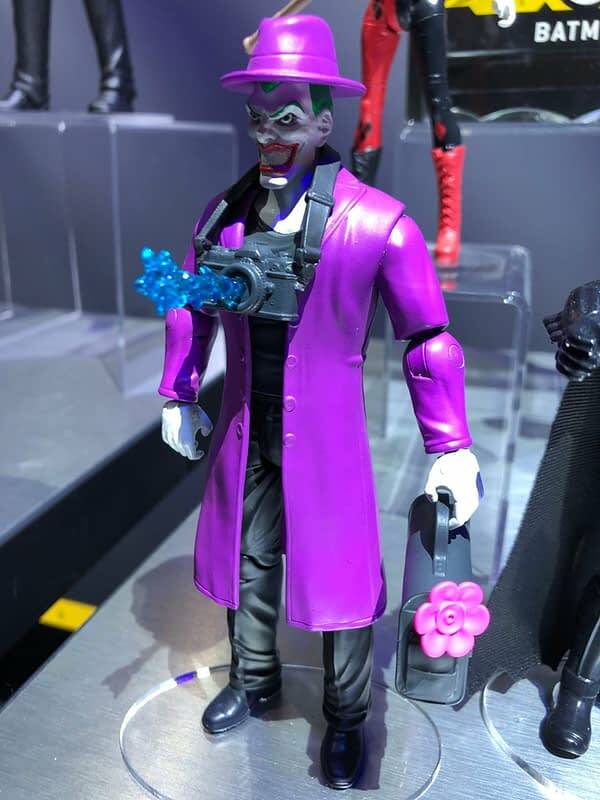 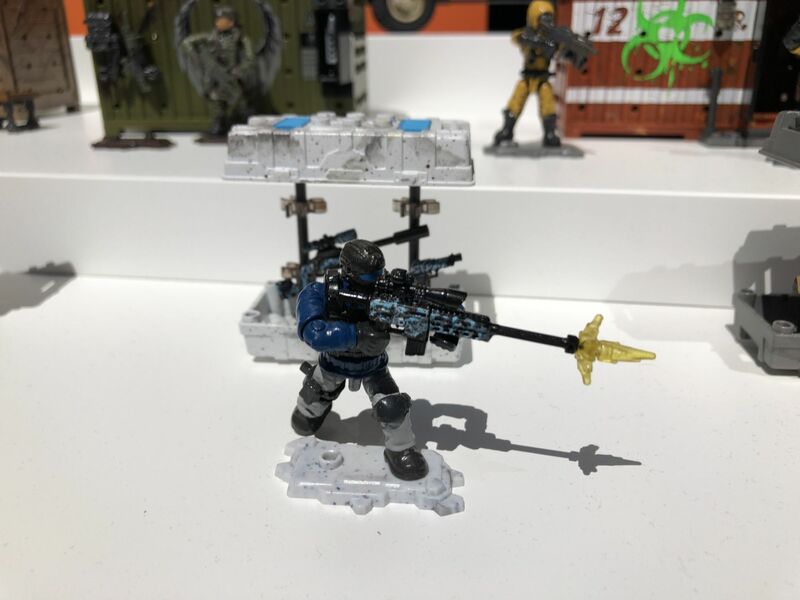 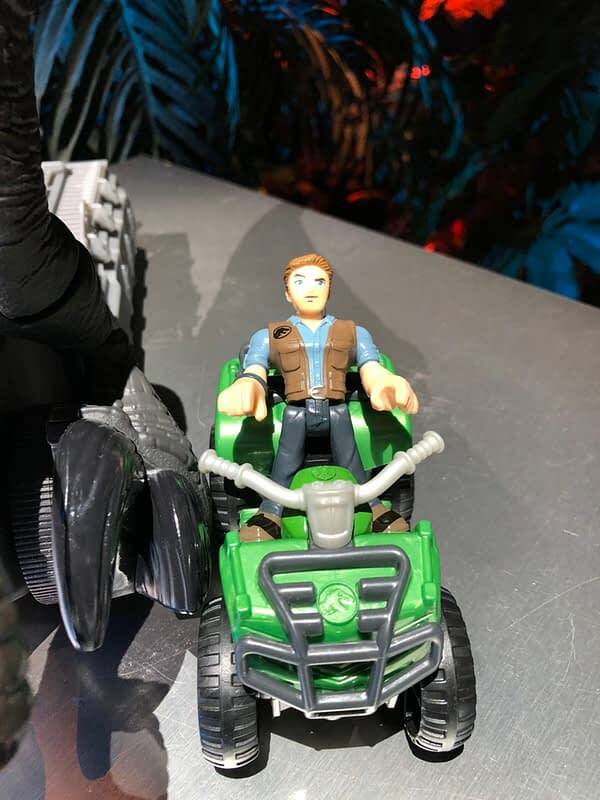 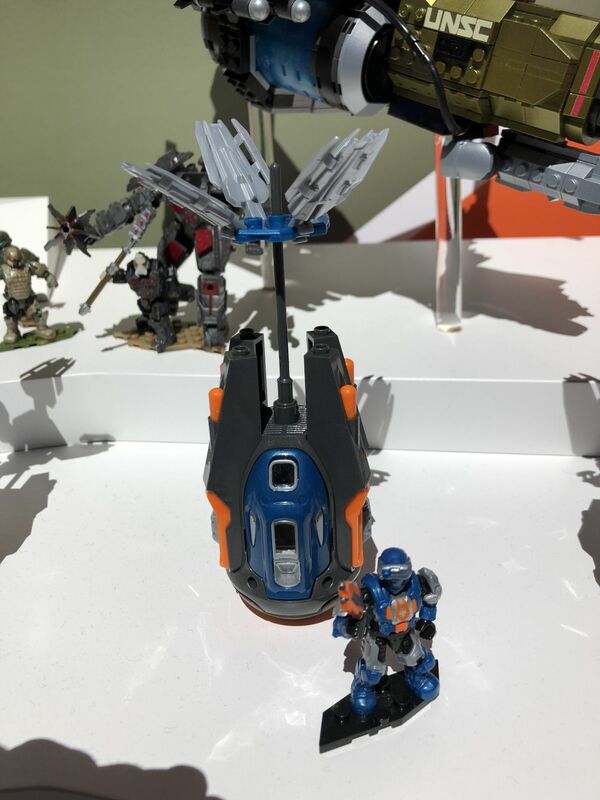 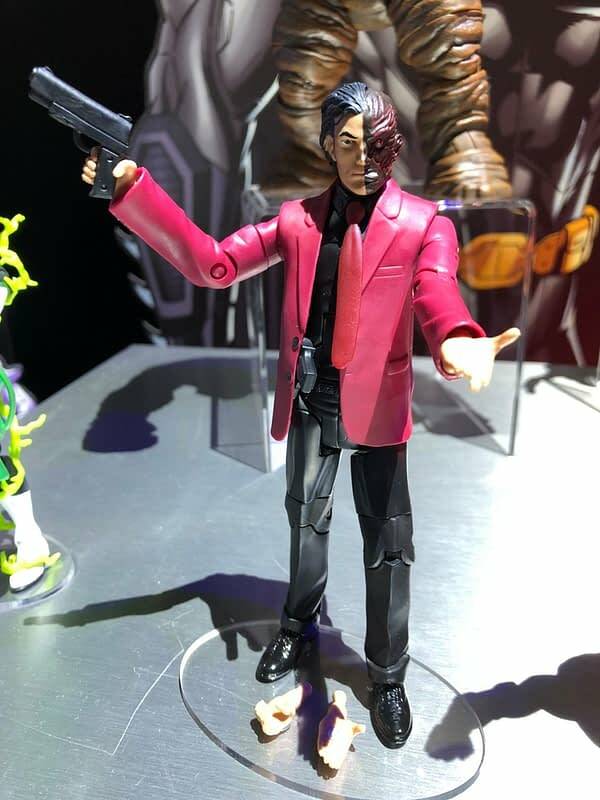 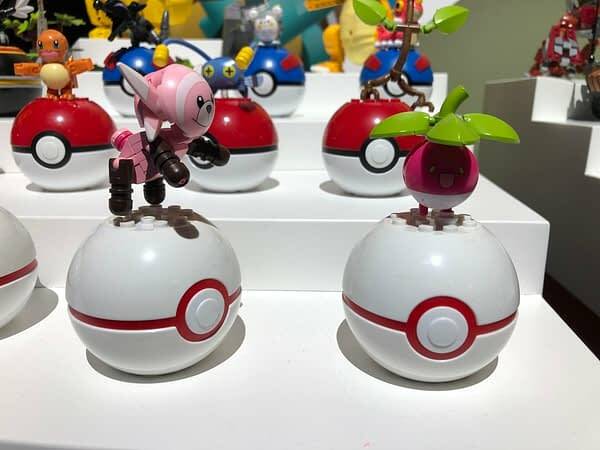 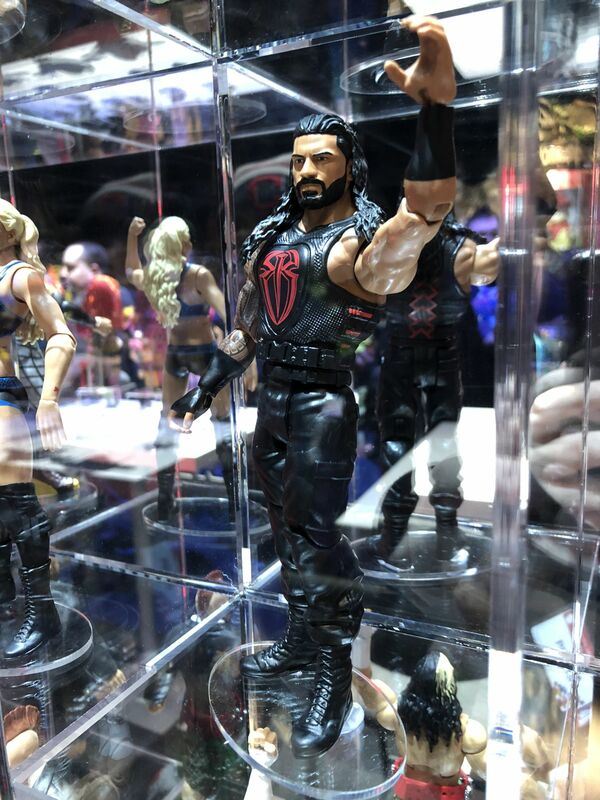 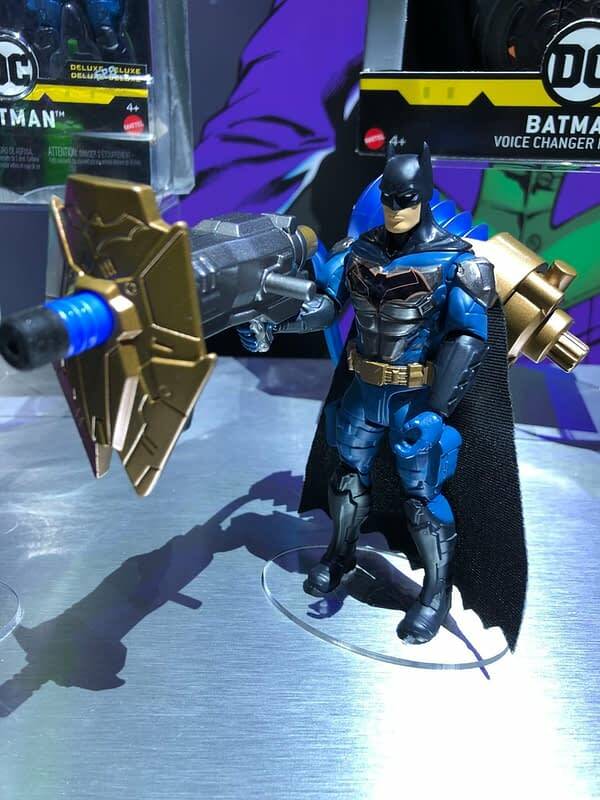 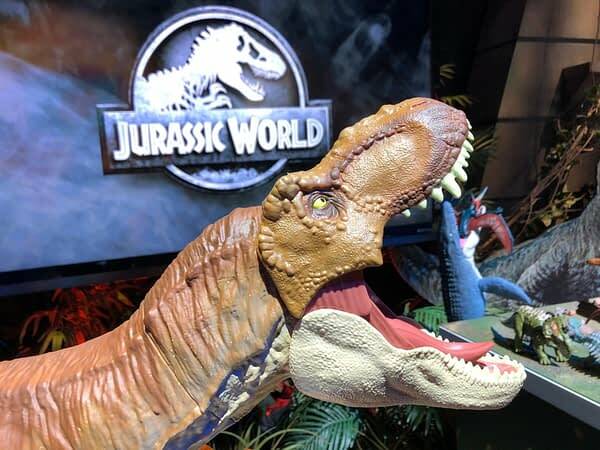 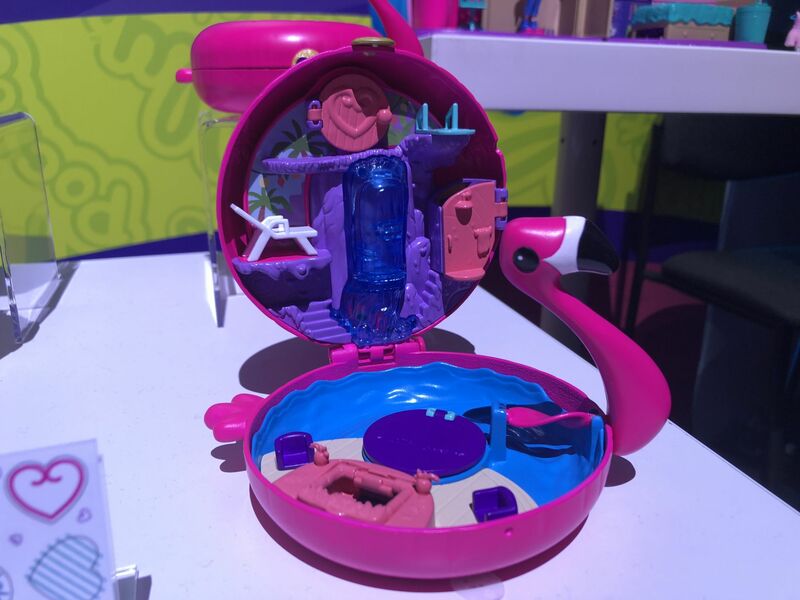 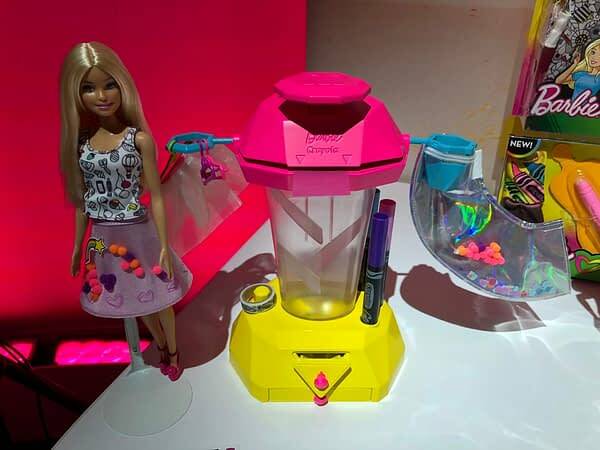 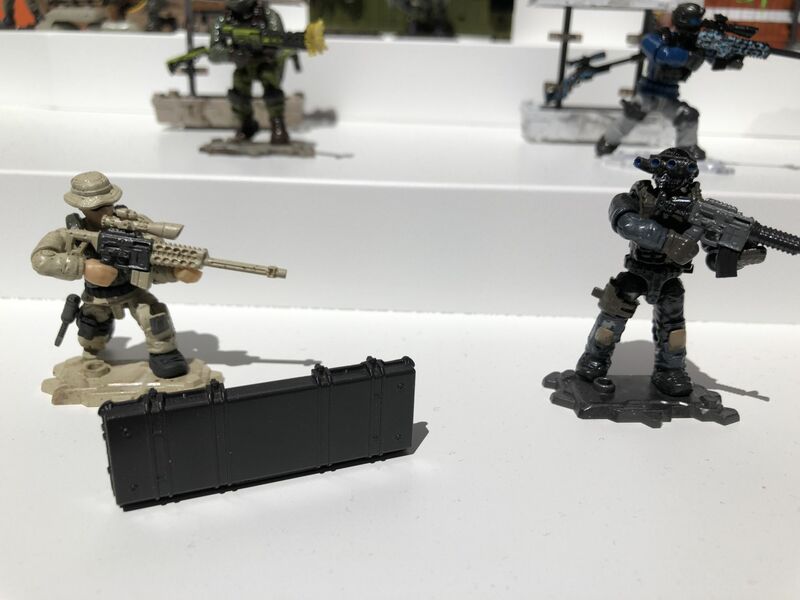 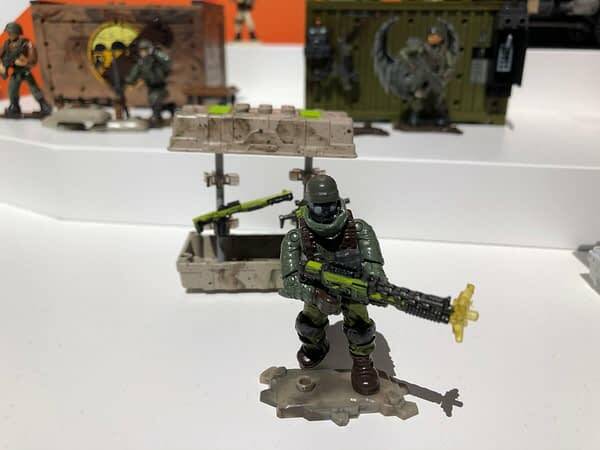 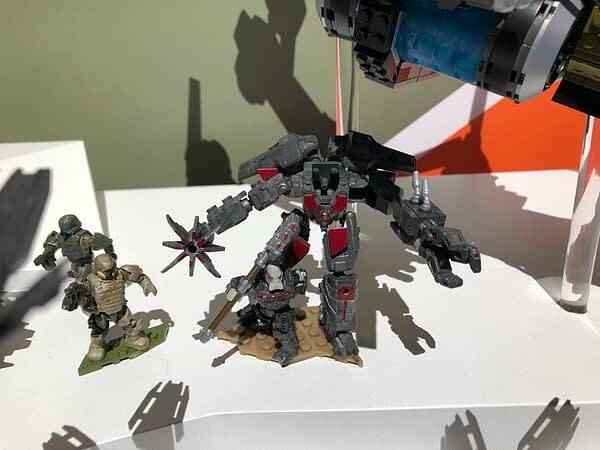 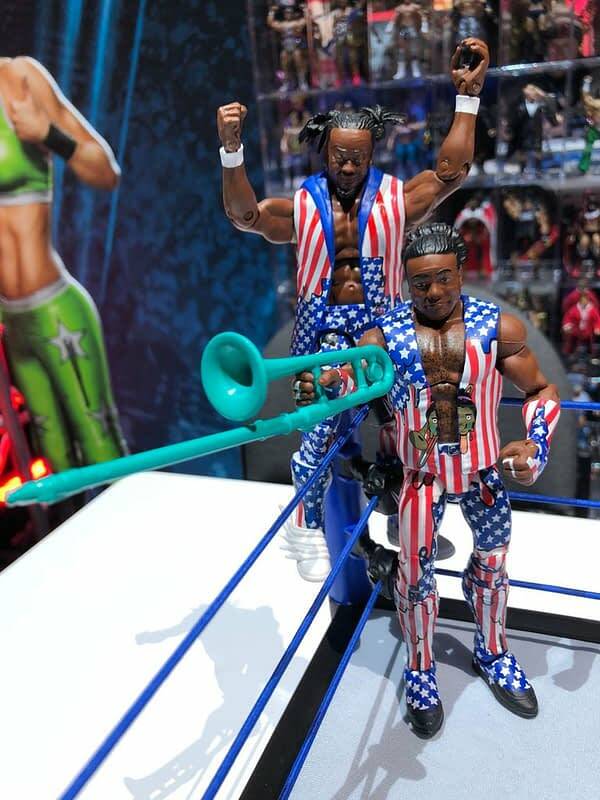 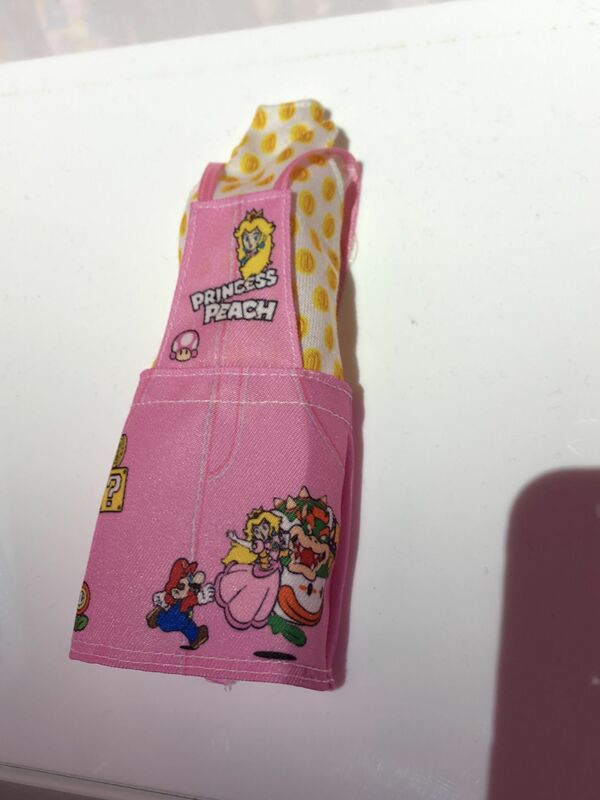 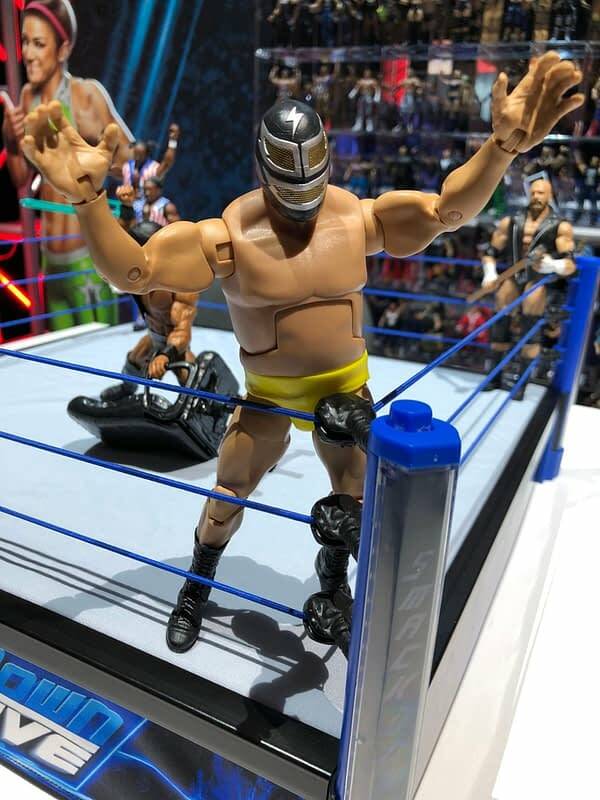 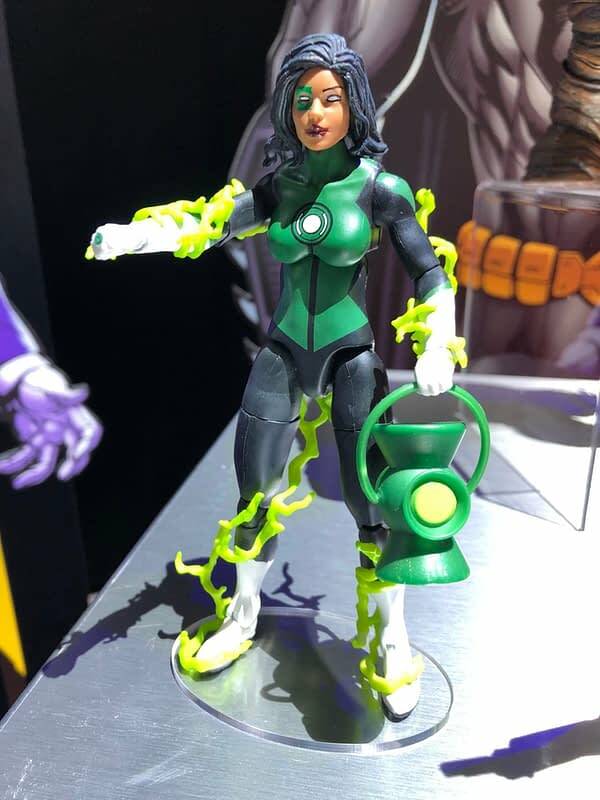 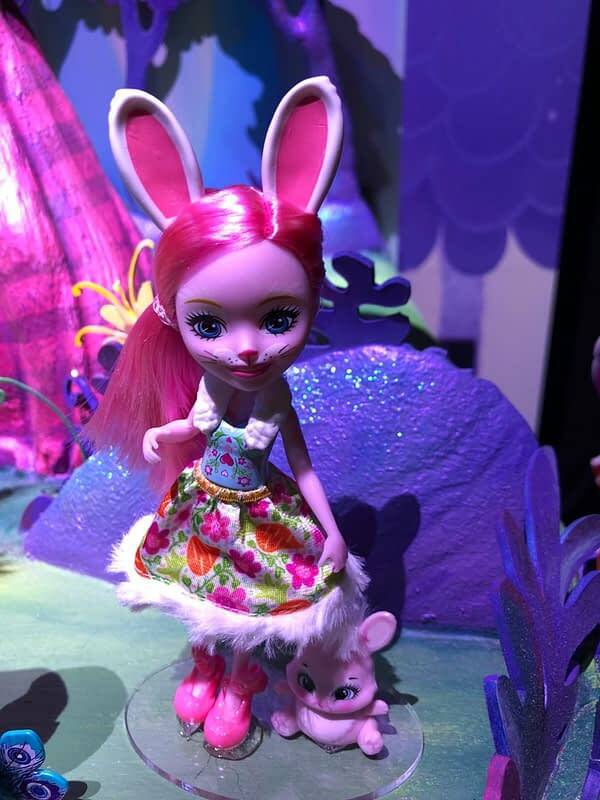 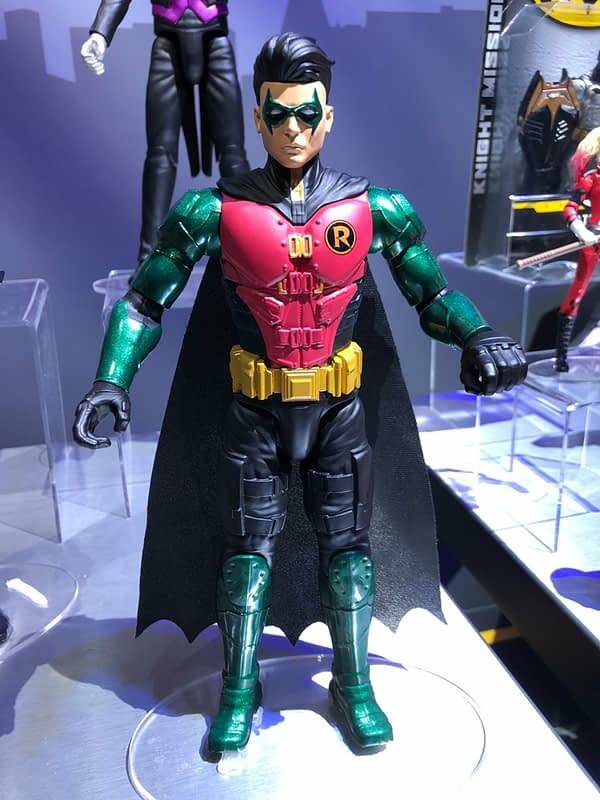 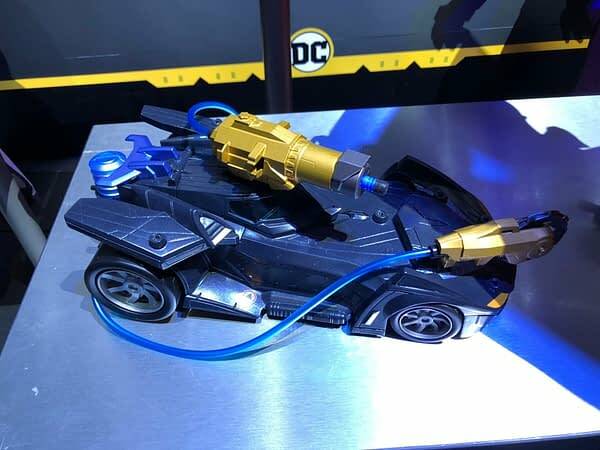 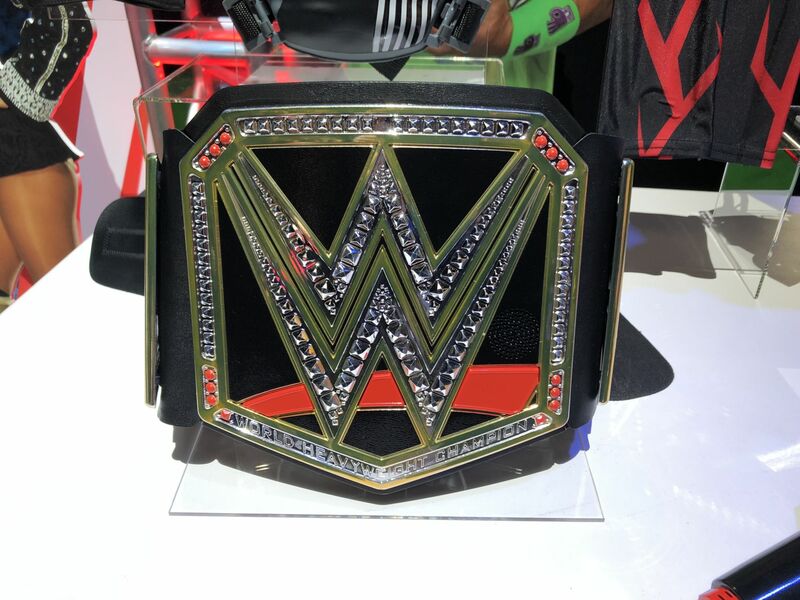 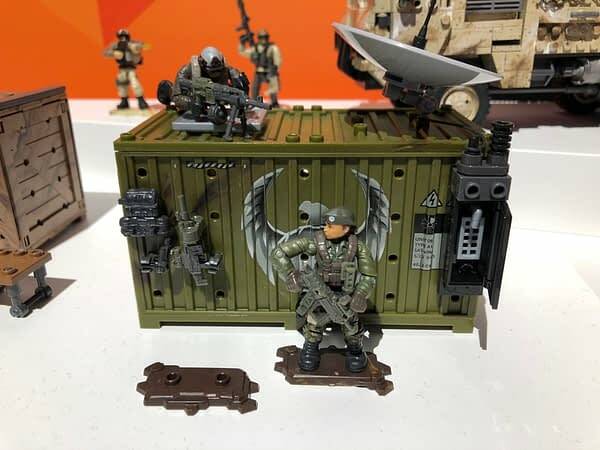 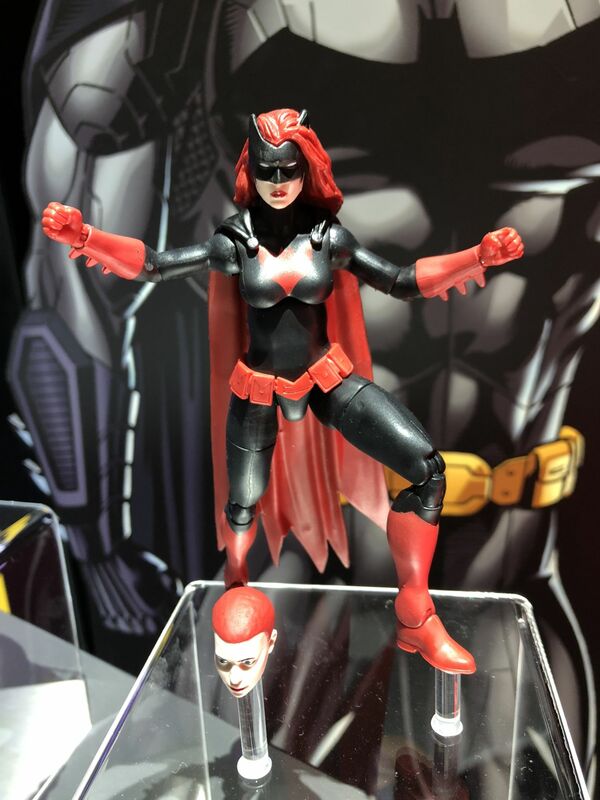 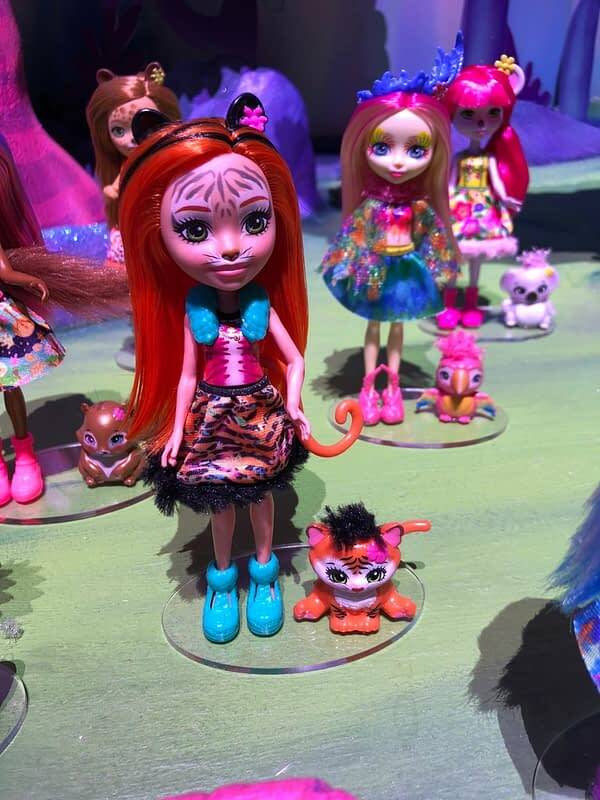 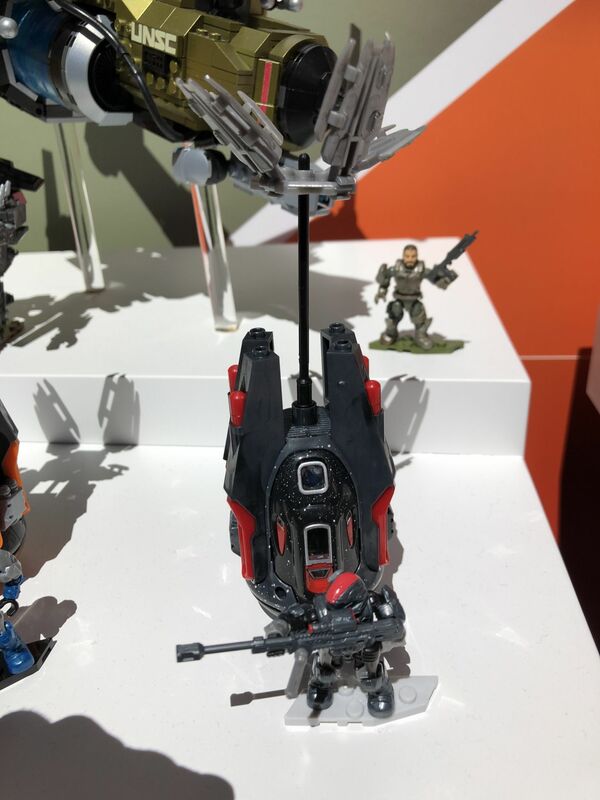 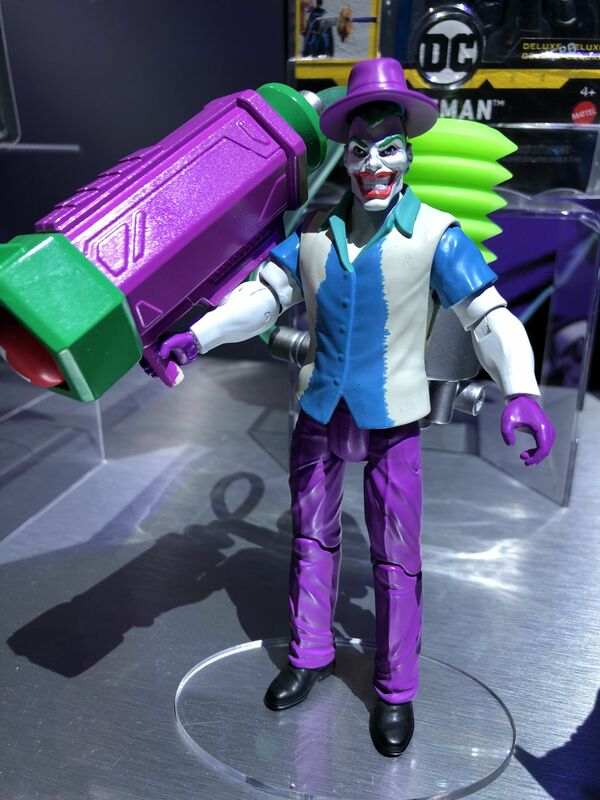 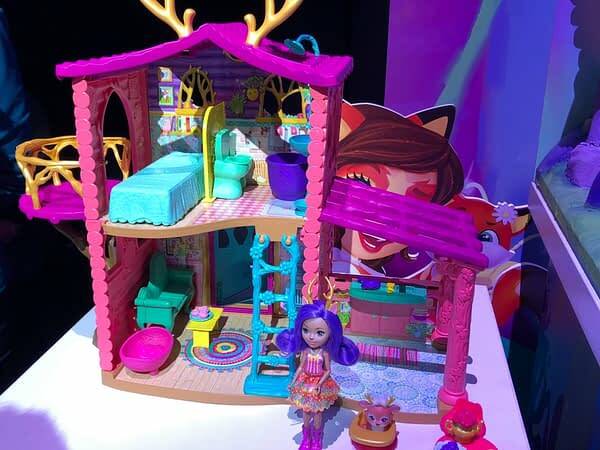 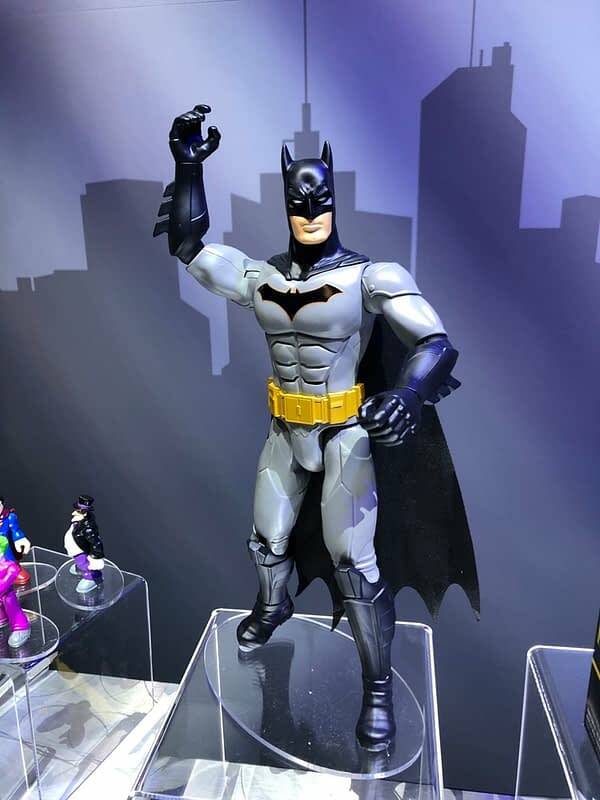 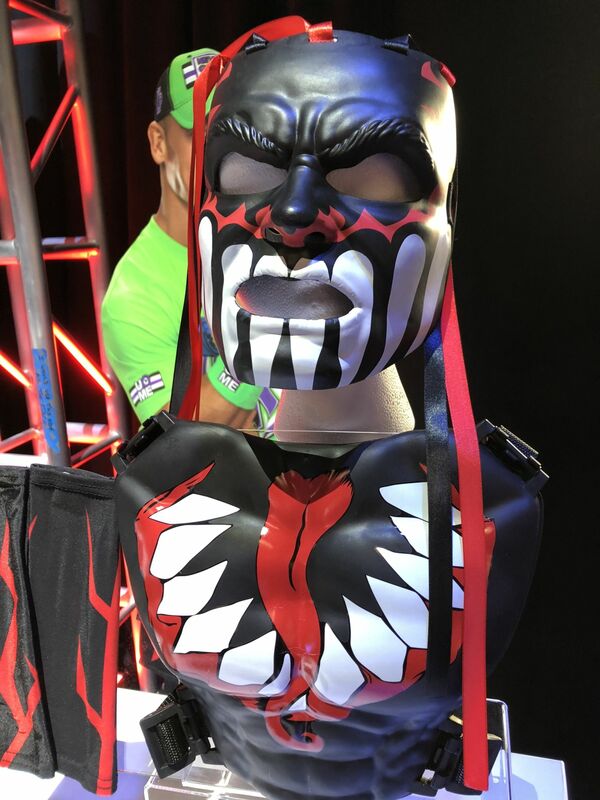 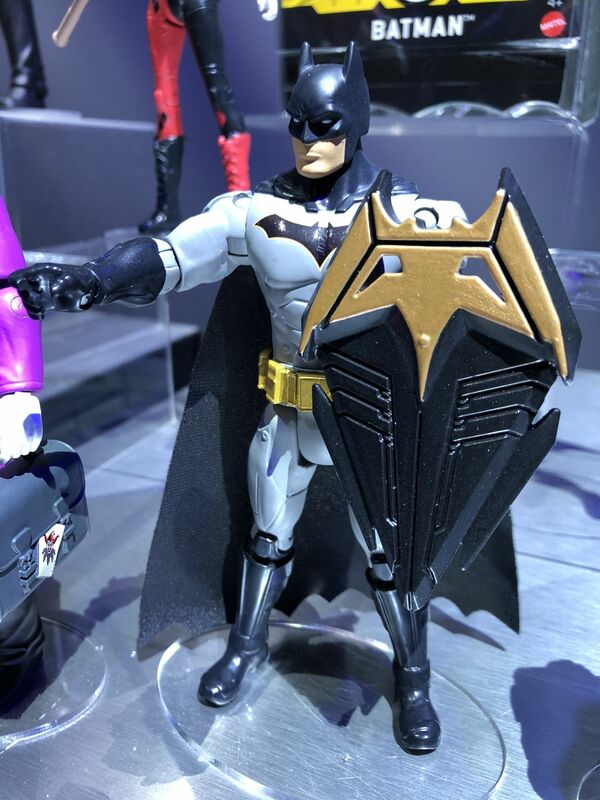 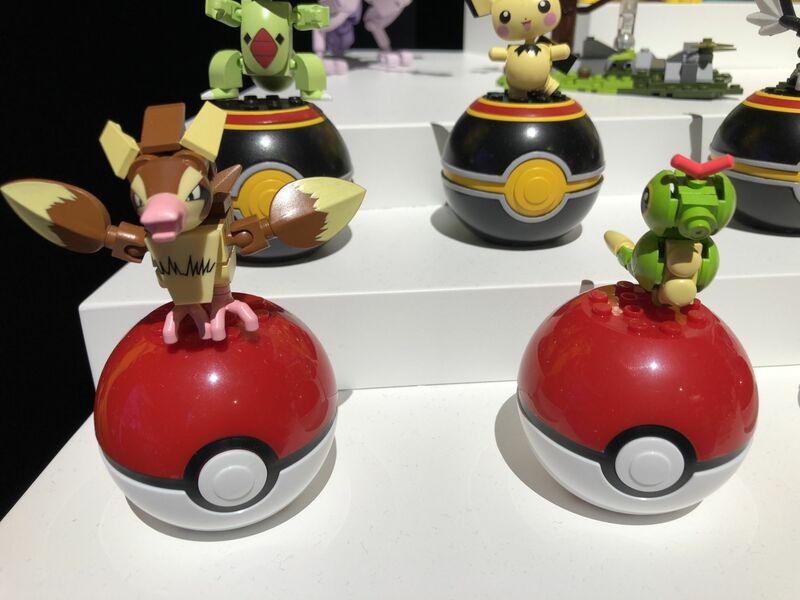 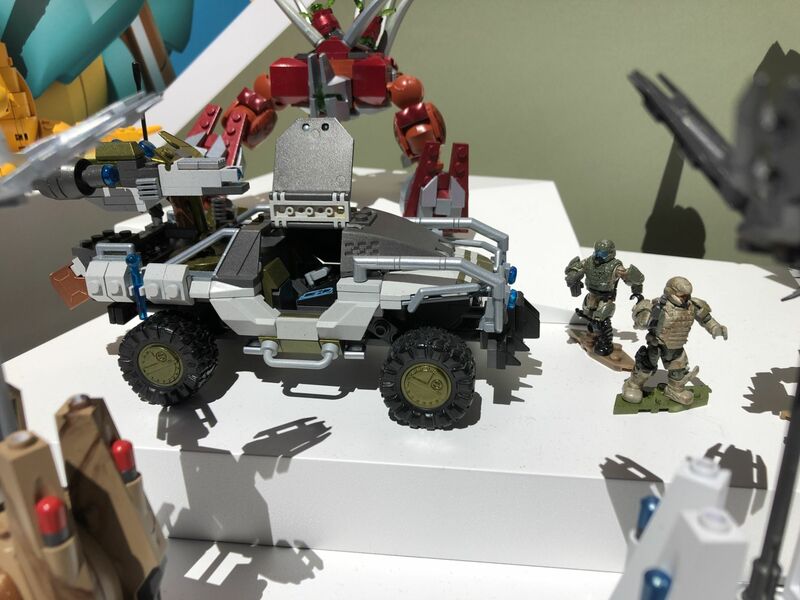 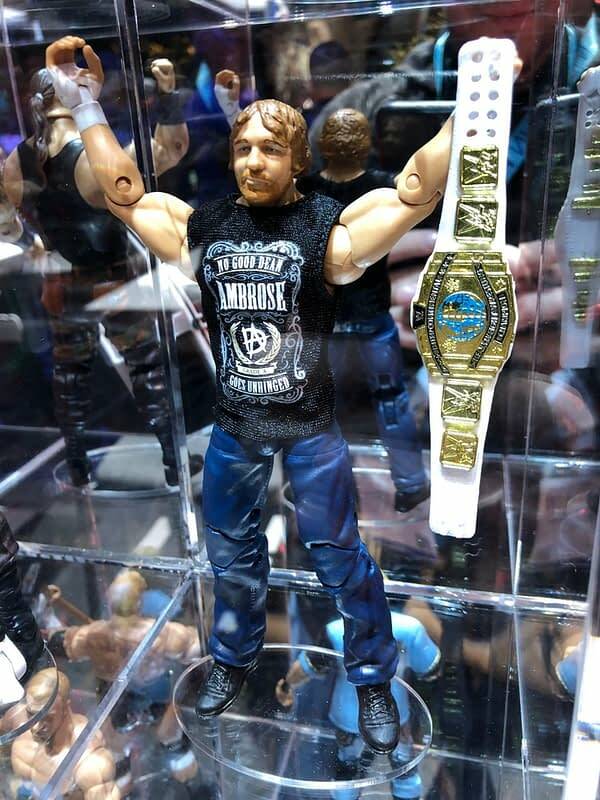 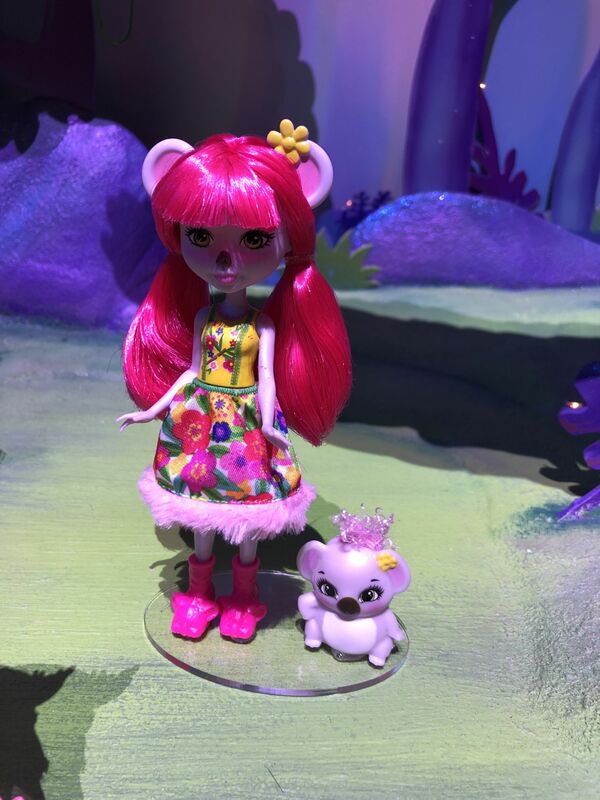 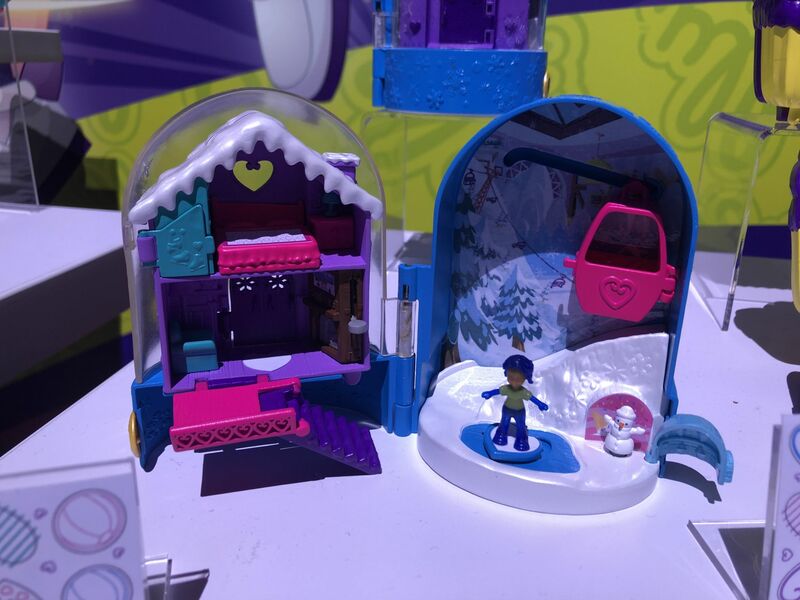 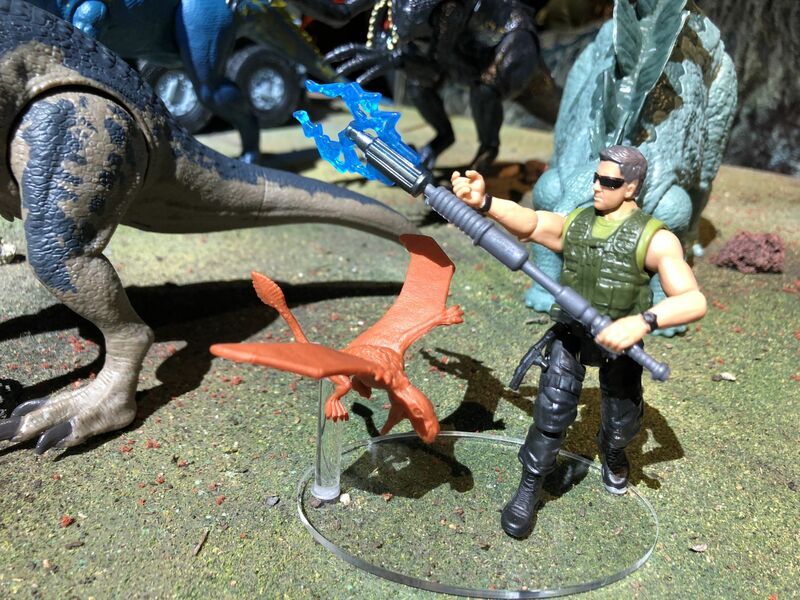 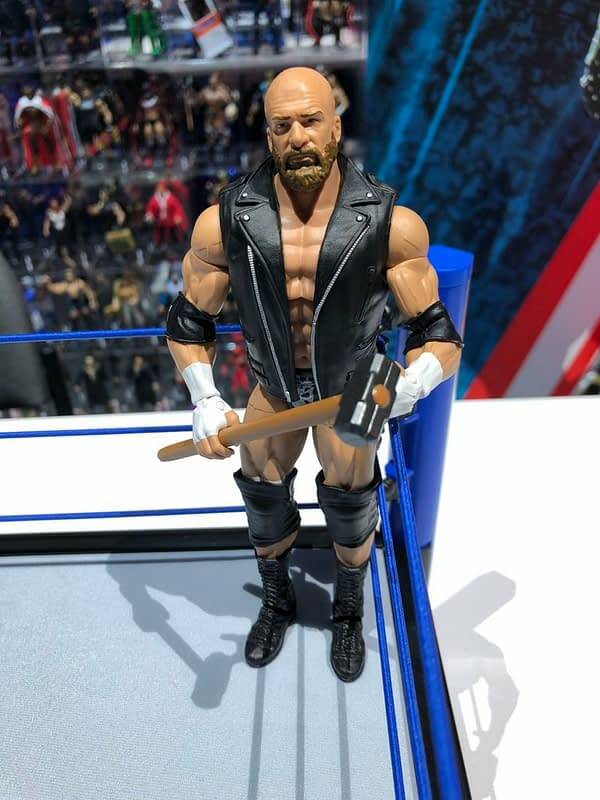 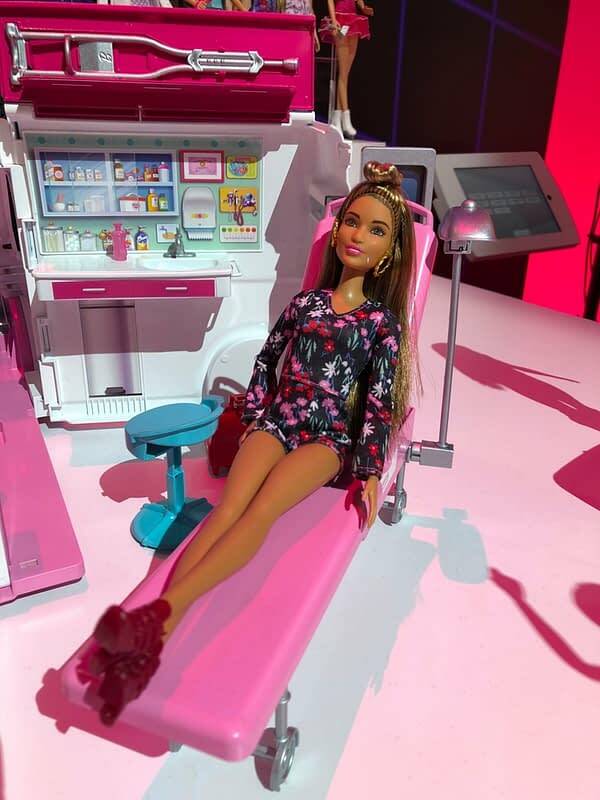 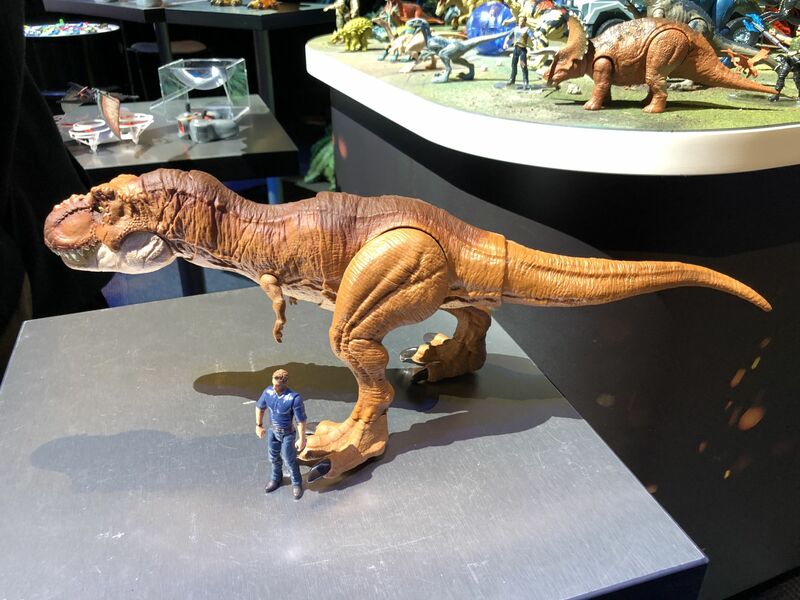 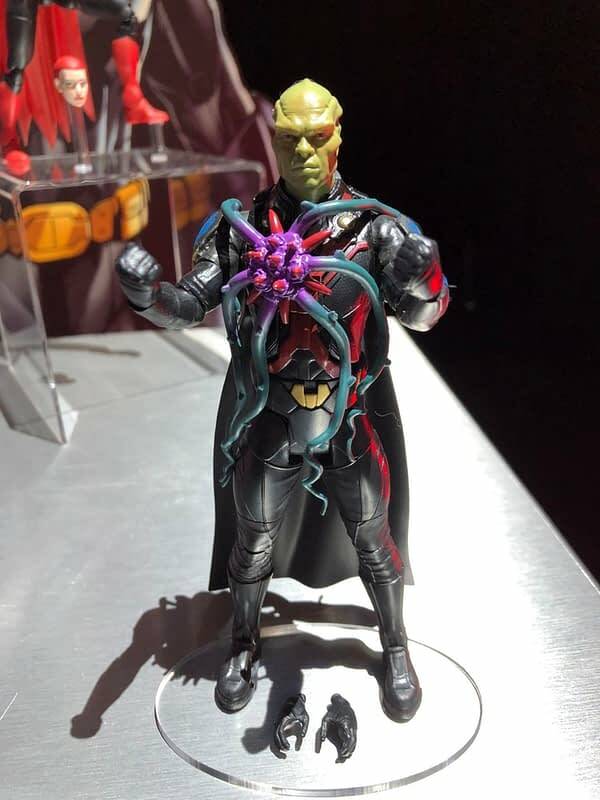 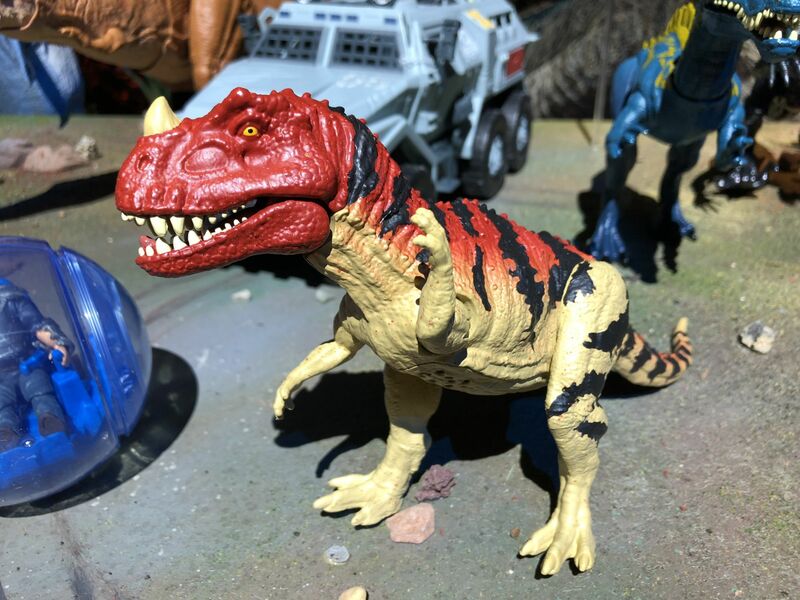 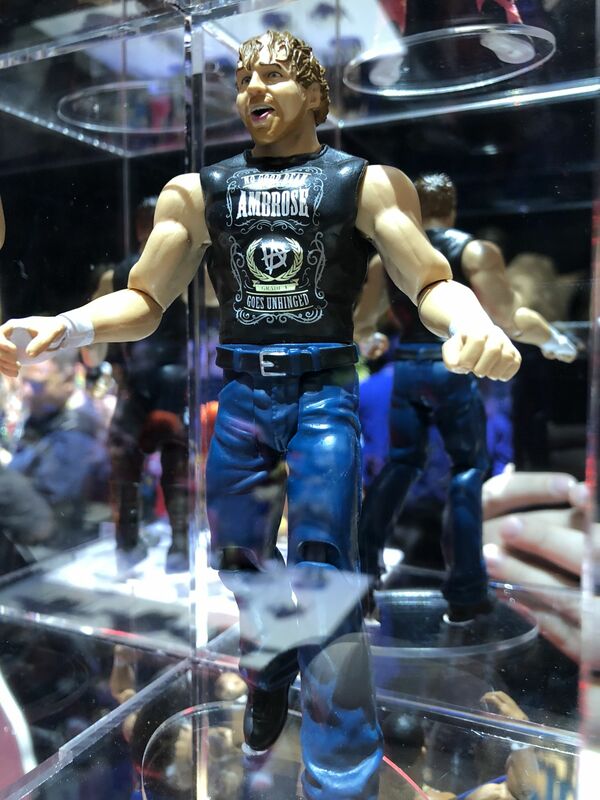 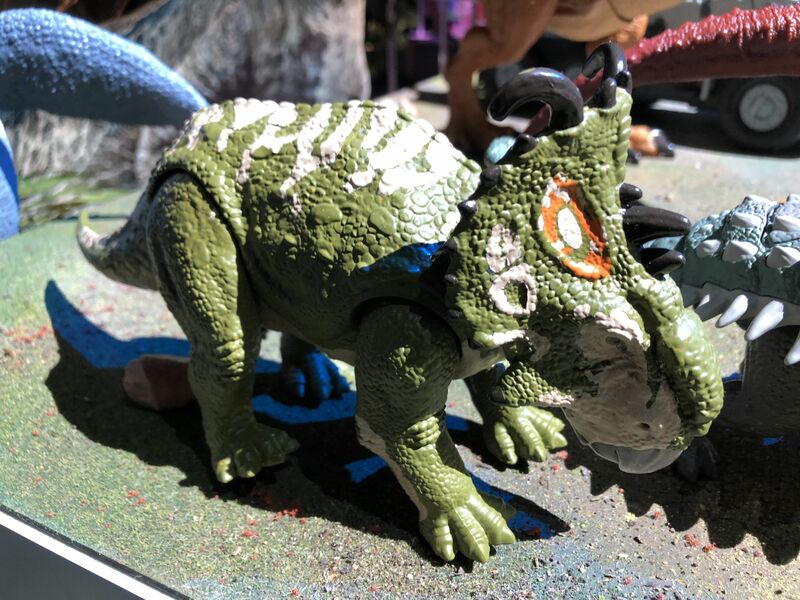 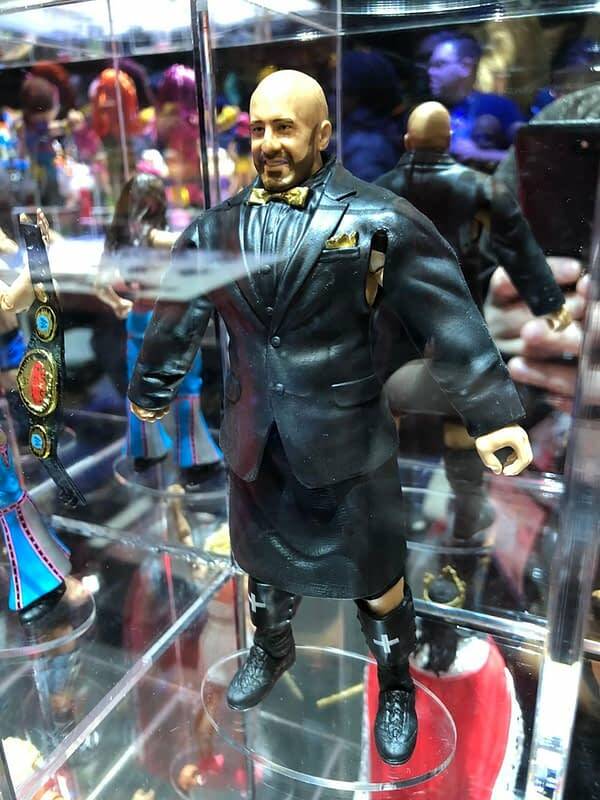 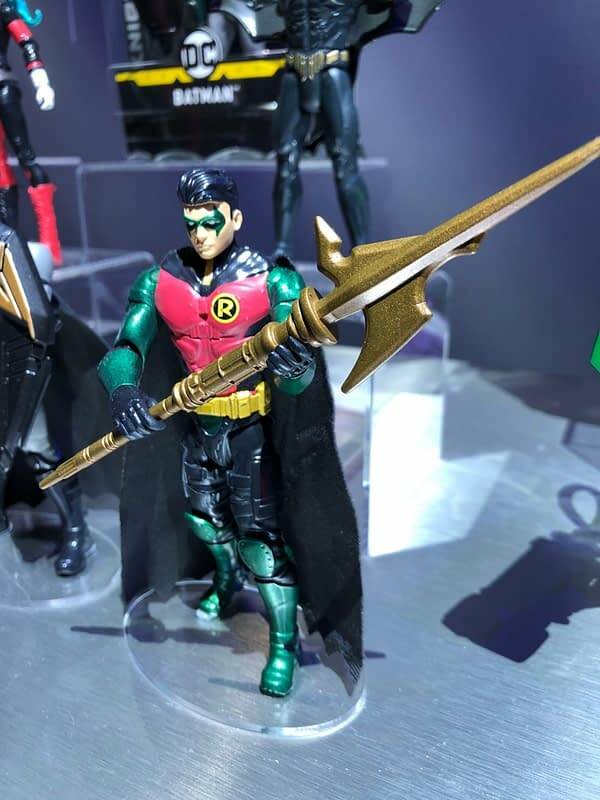 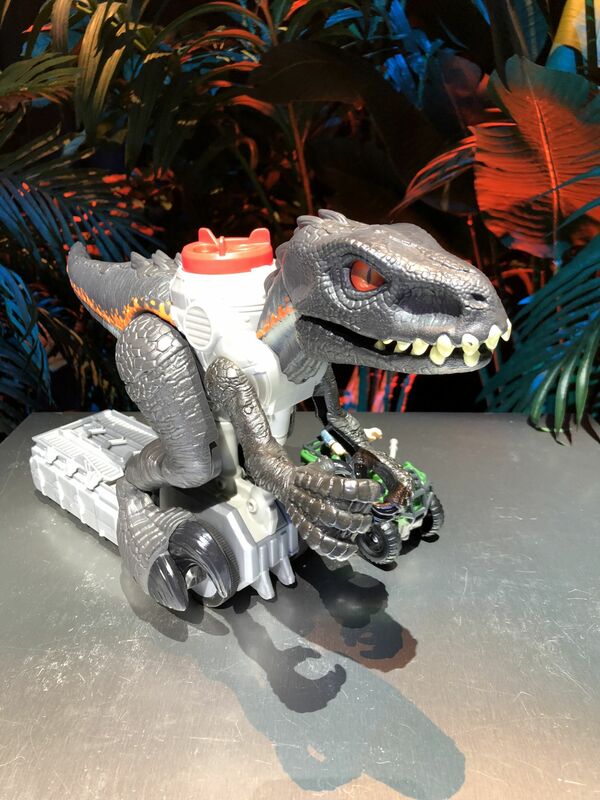 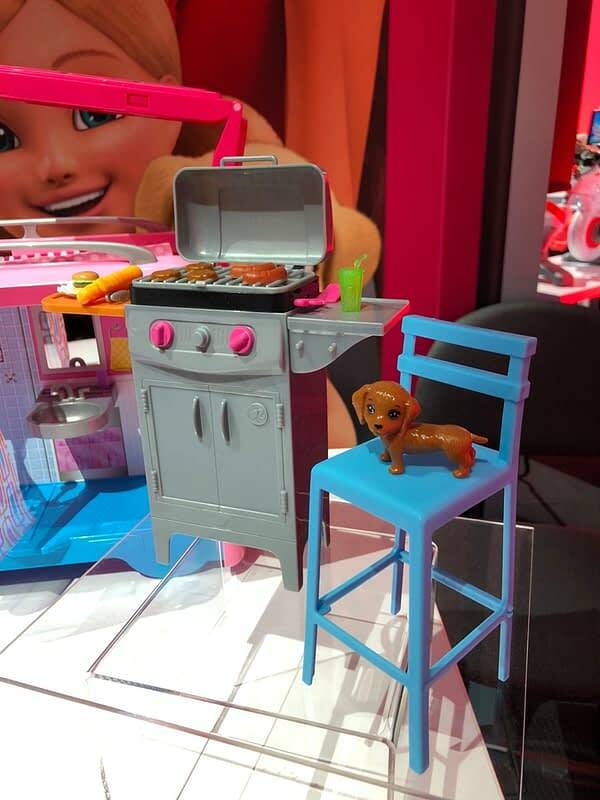 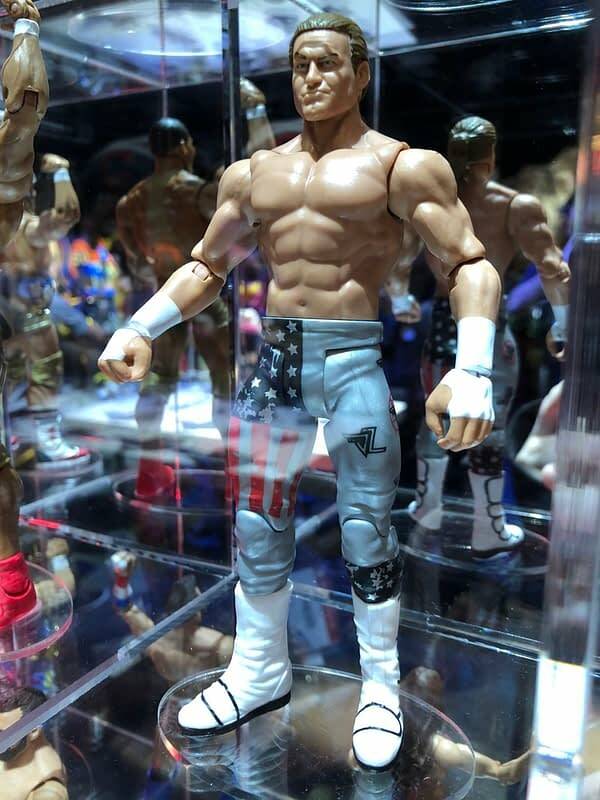 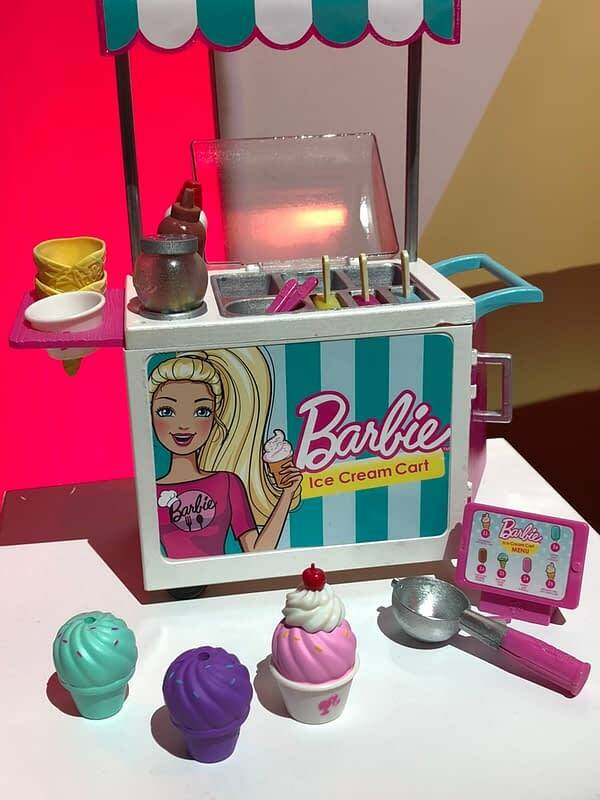 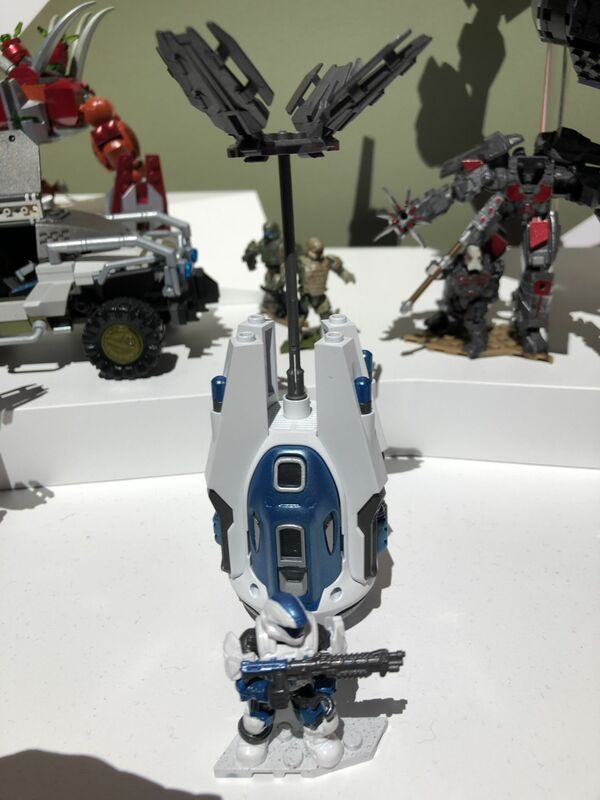 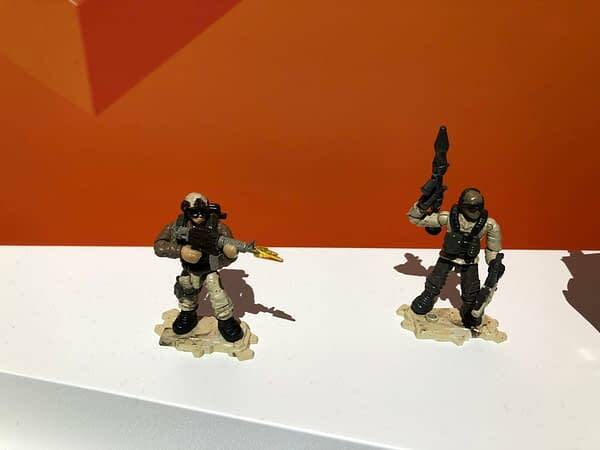 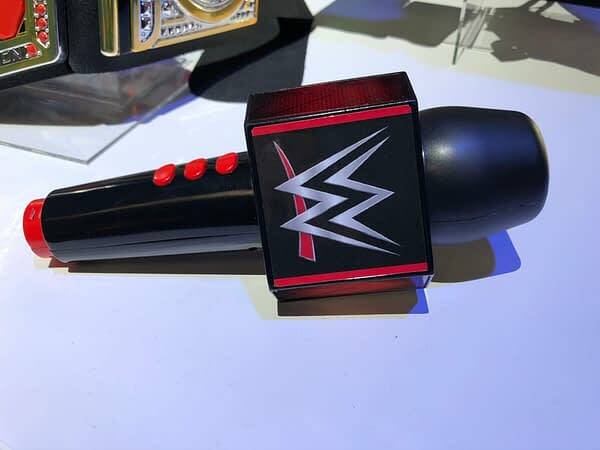 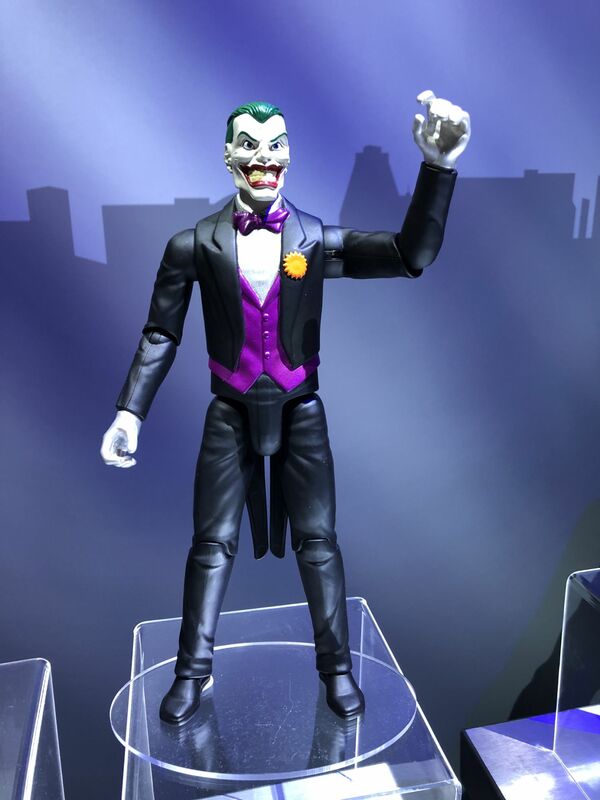 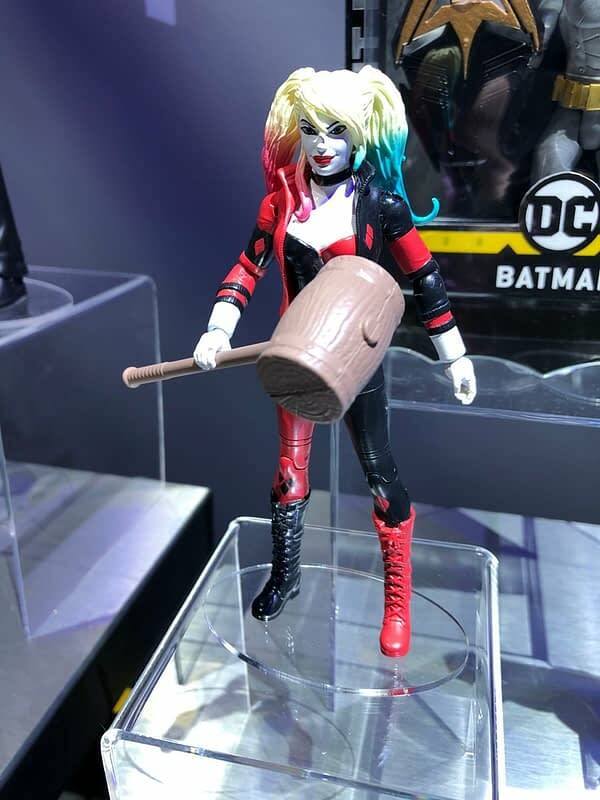 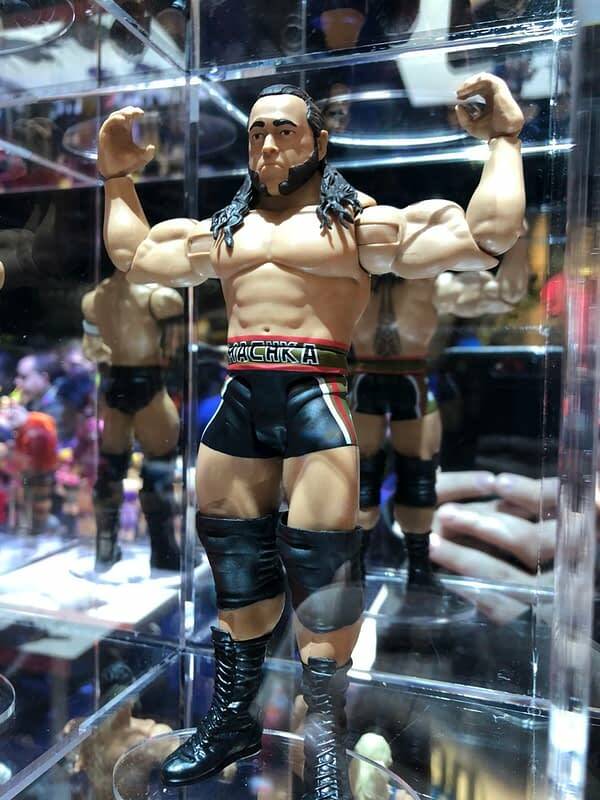 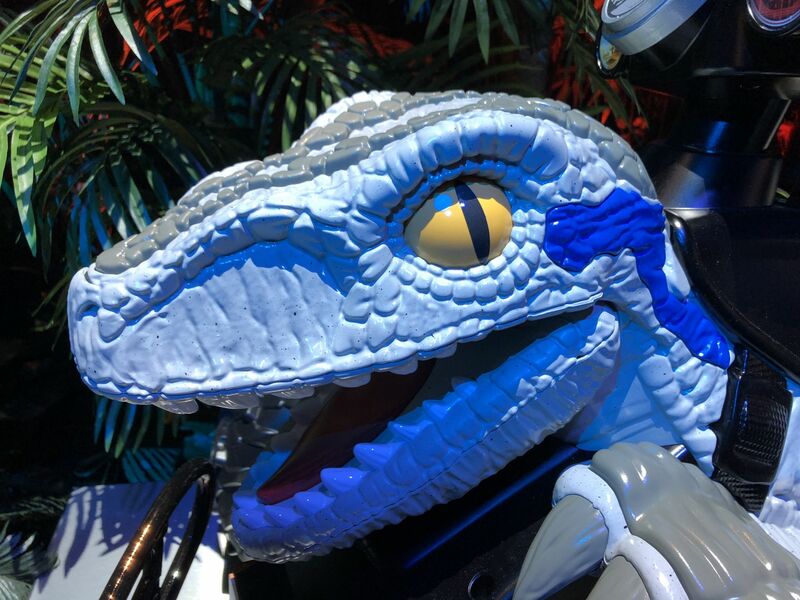 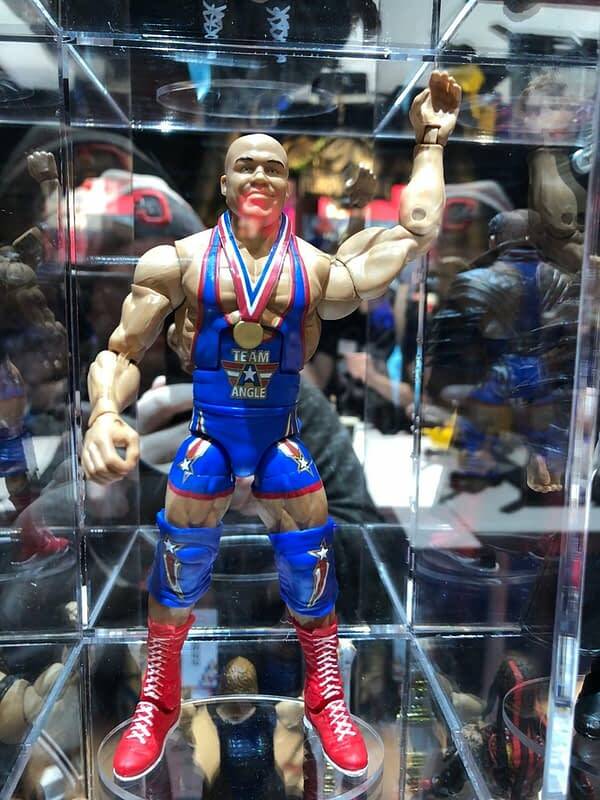 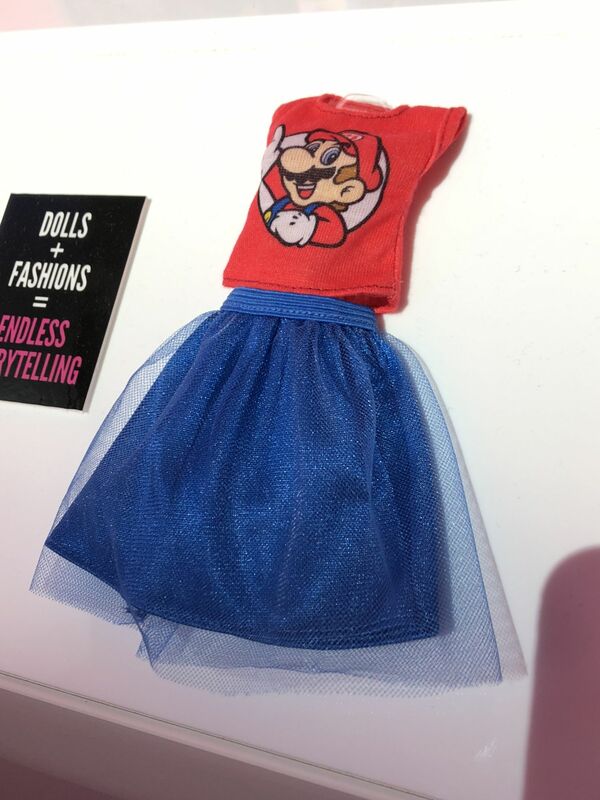 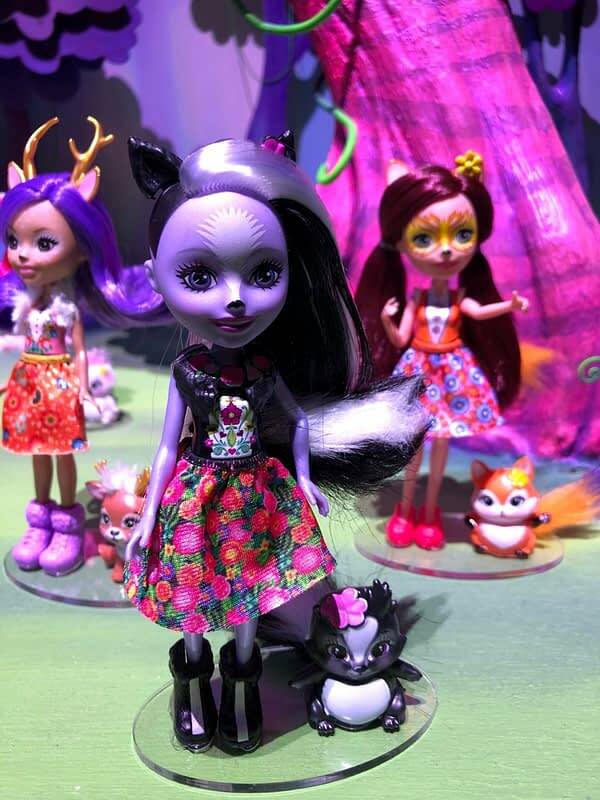 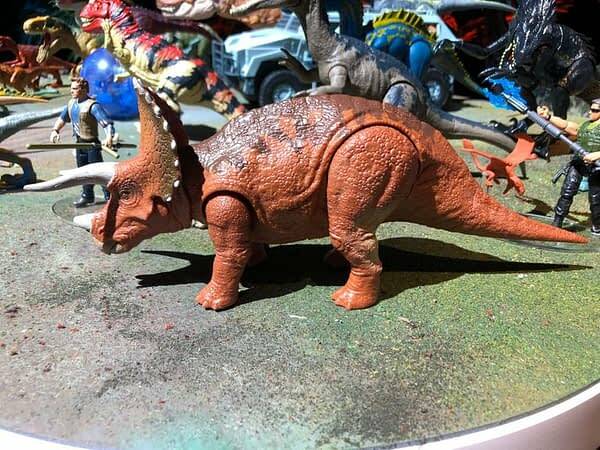 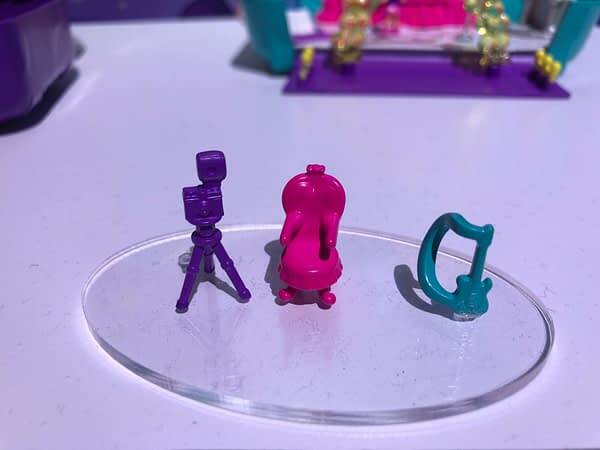 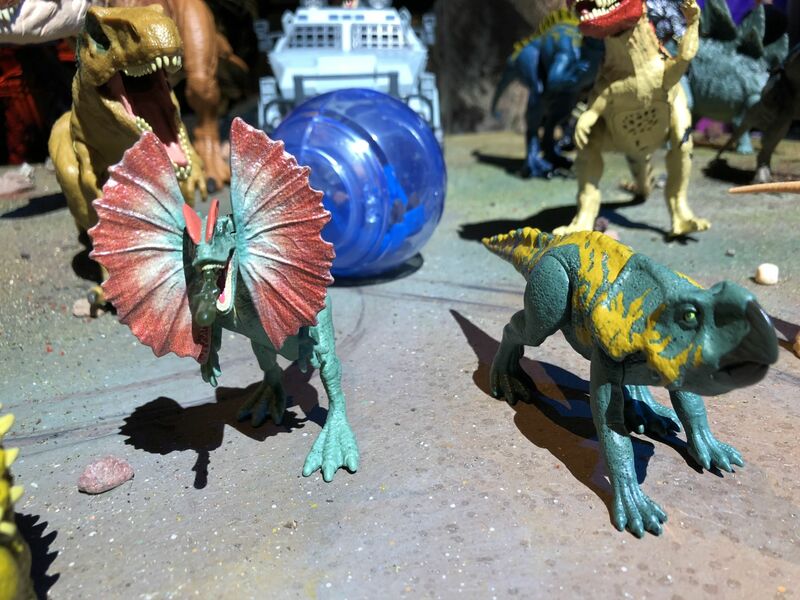 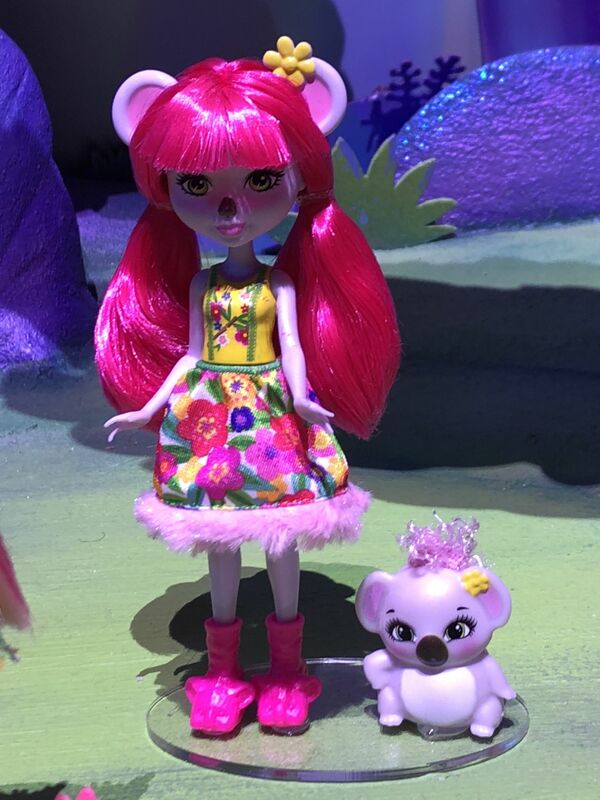 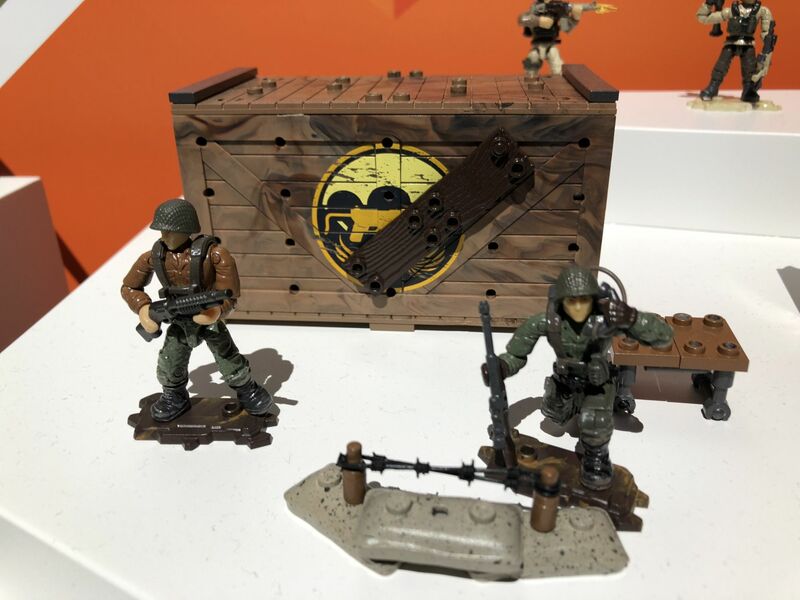 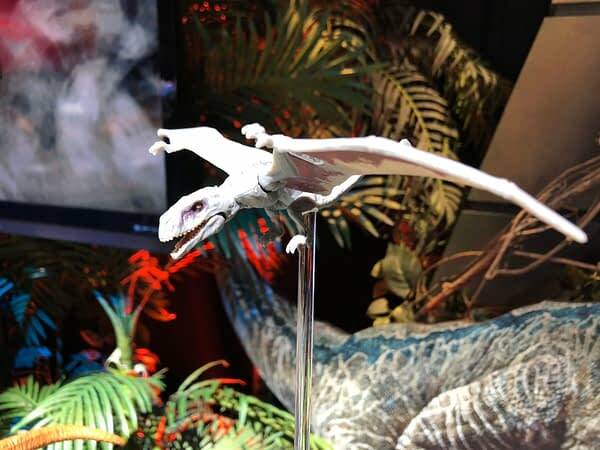 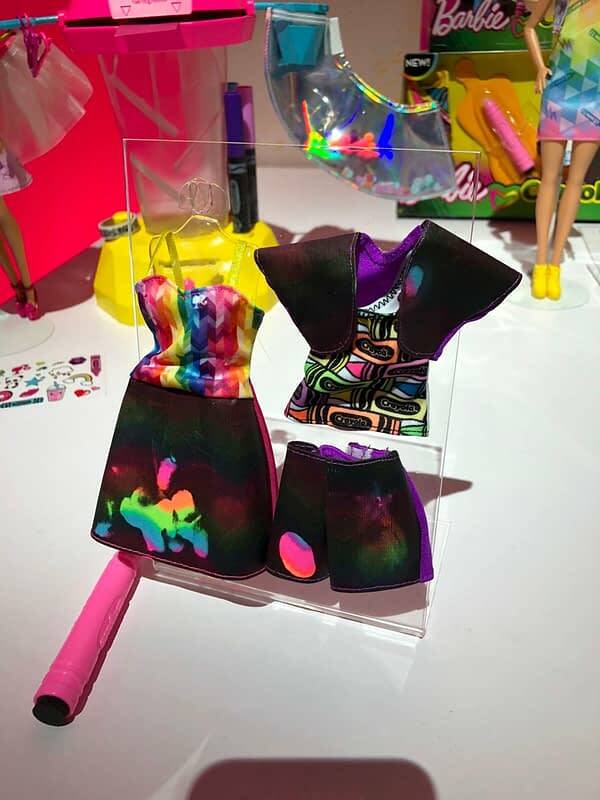 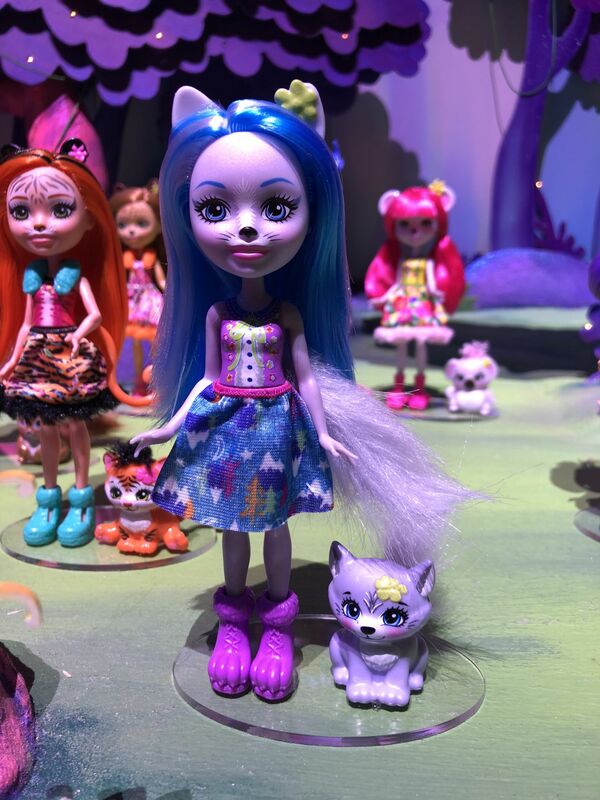 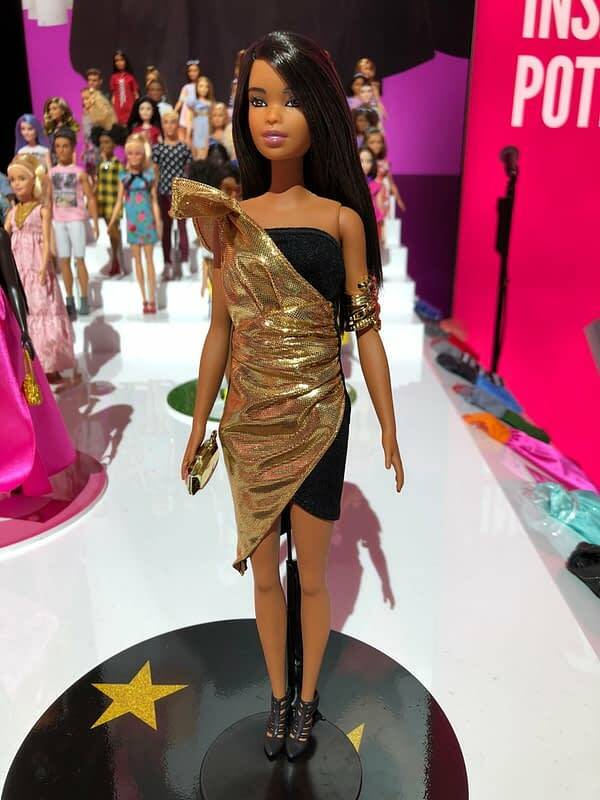 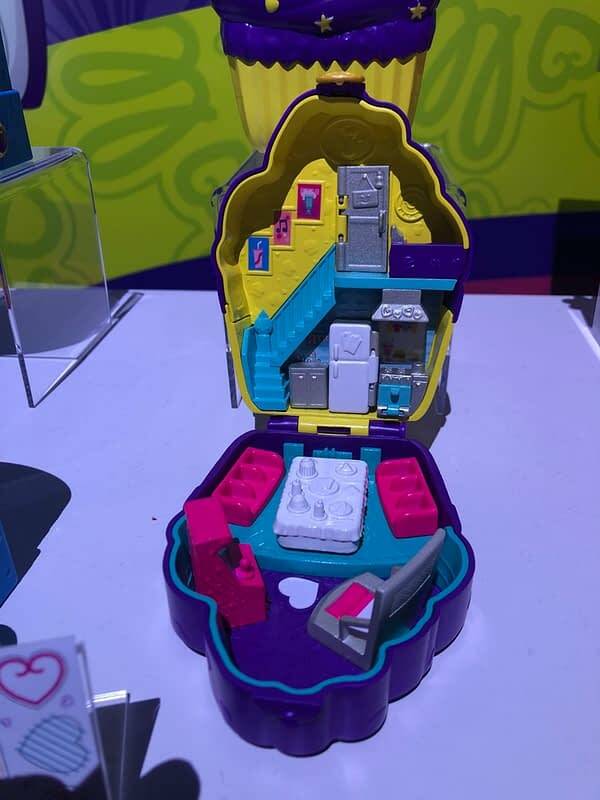 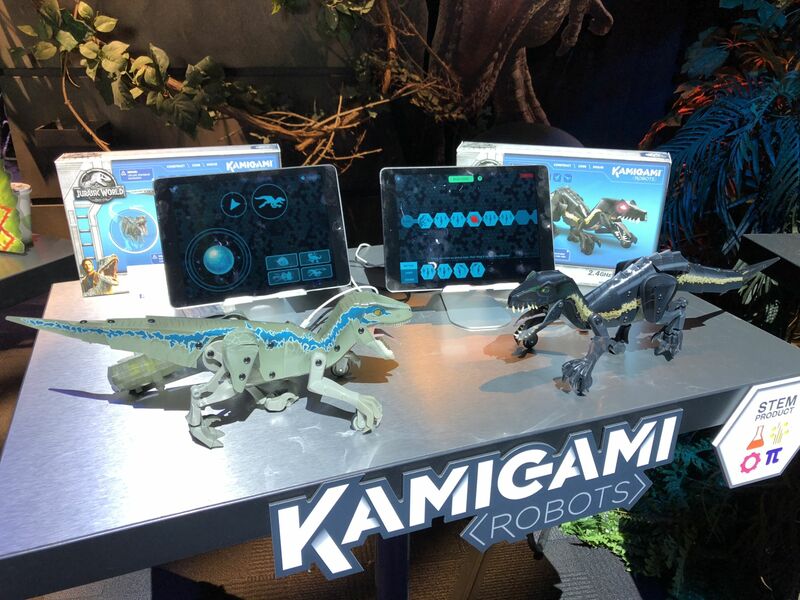 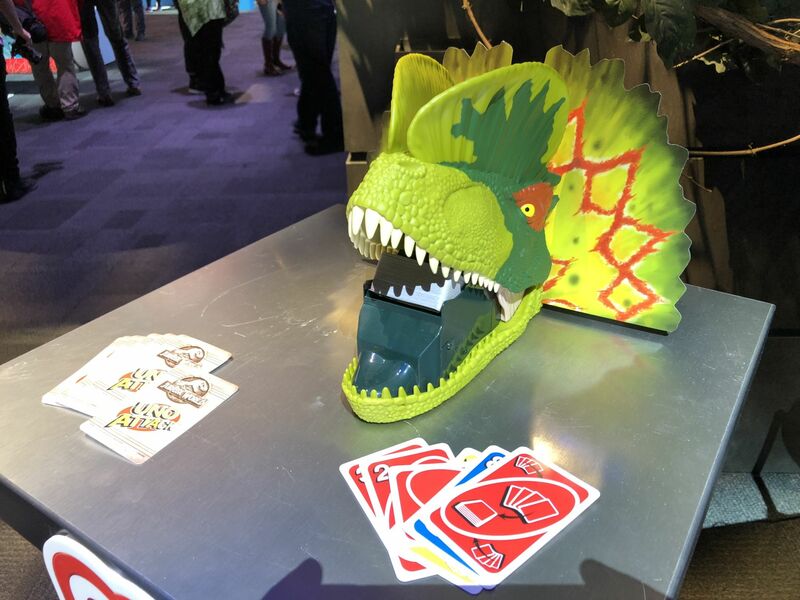 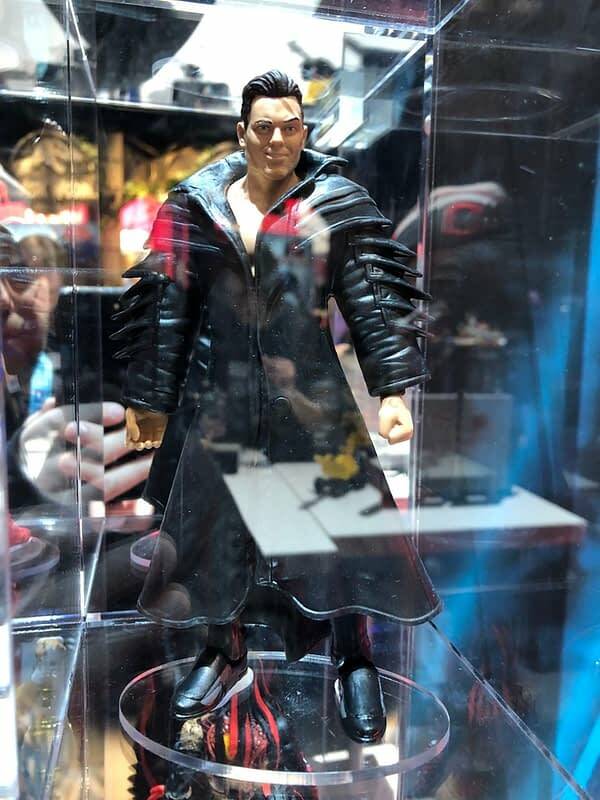 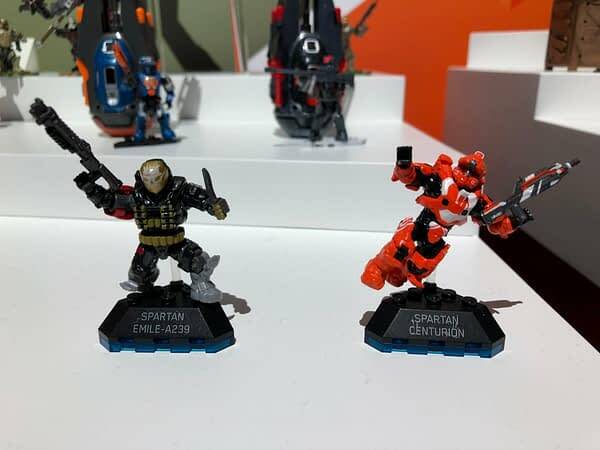 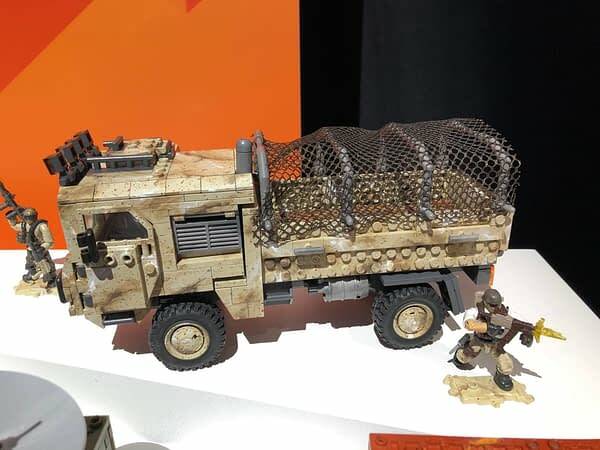 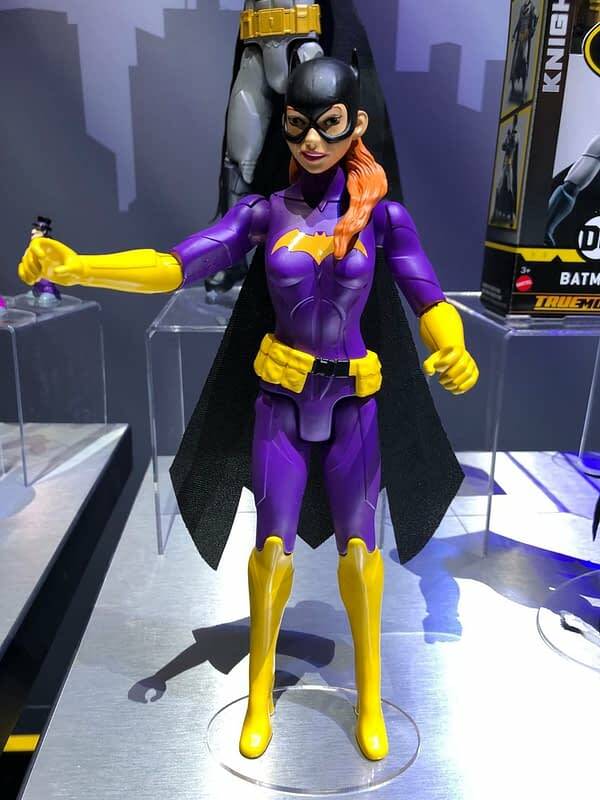 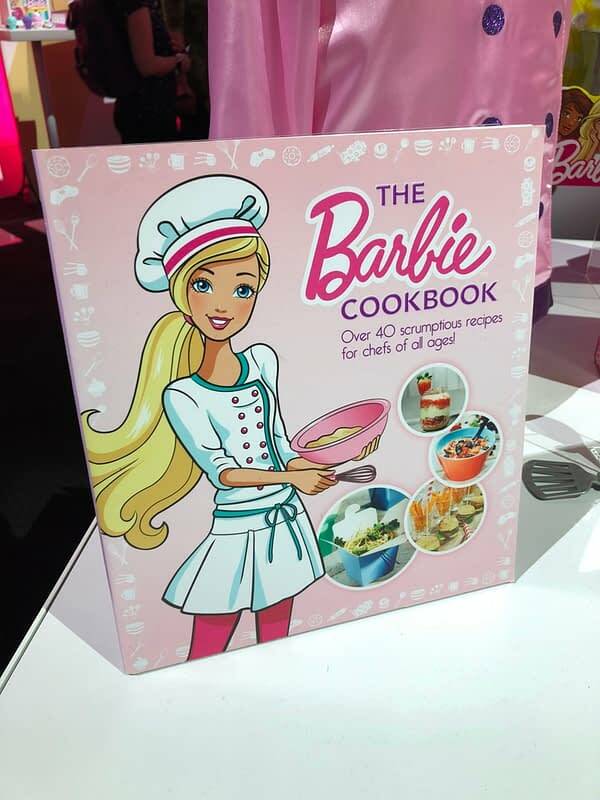 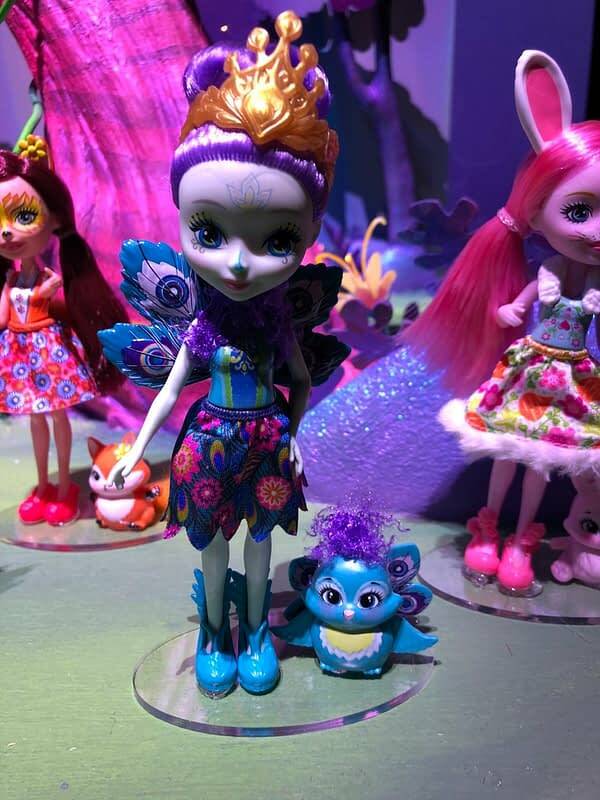 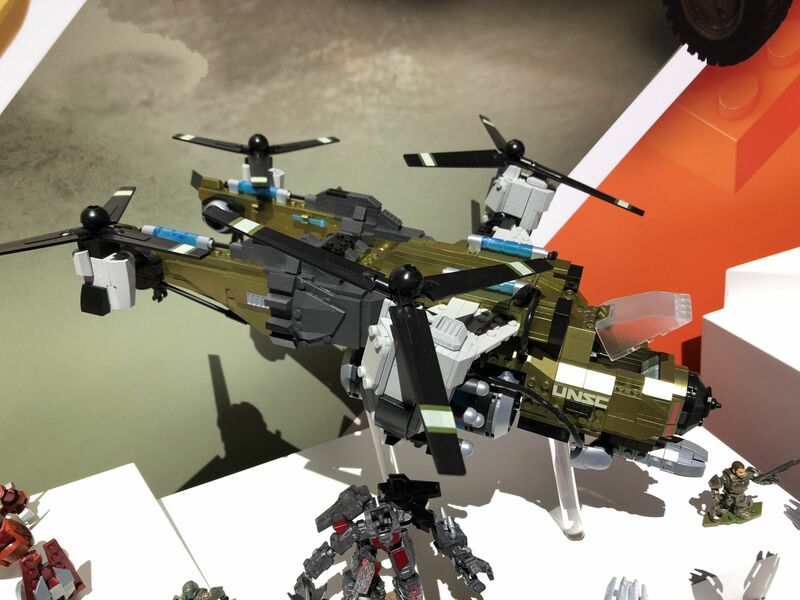 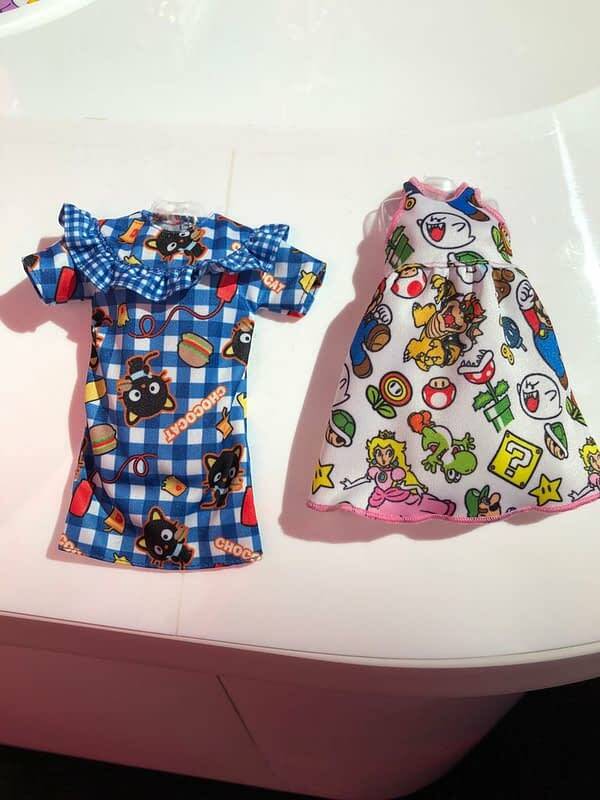 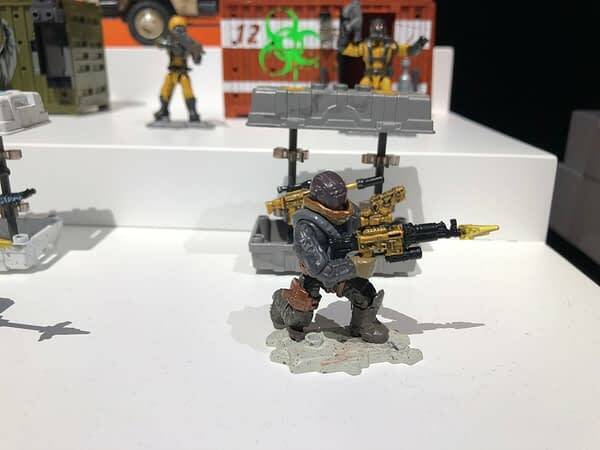 Home » Games » Toy Fair New York: Mattel Shows off New WWE, Barbie, Batman, Jurassic World, Polly Pocket, and More! 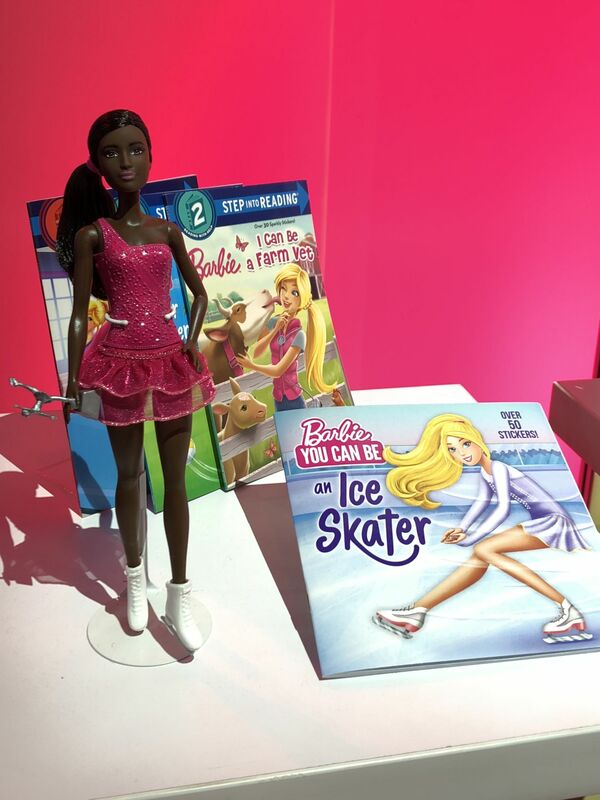 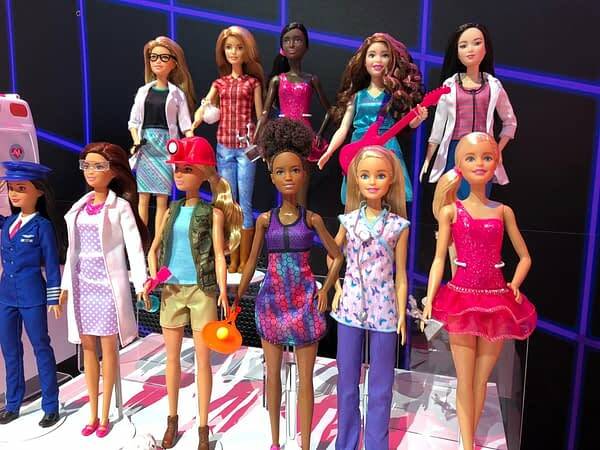 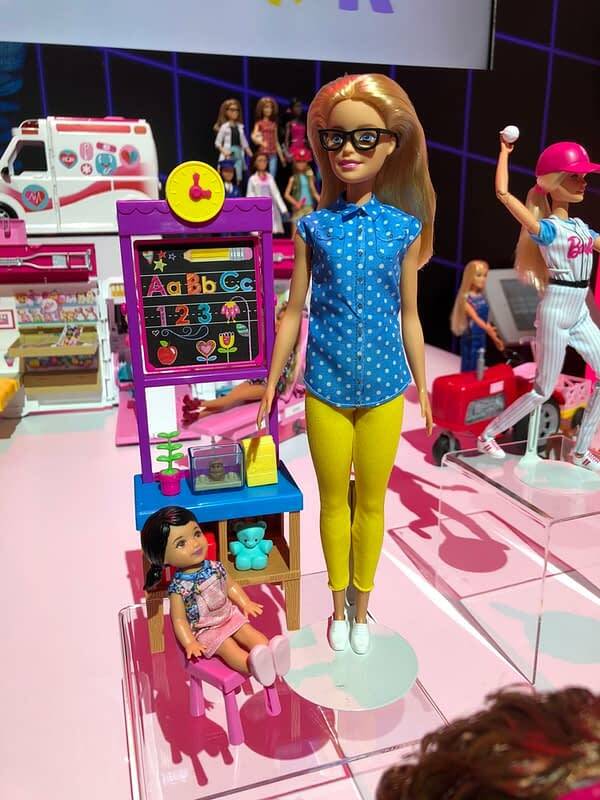 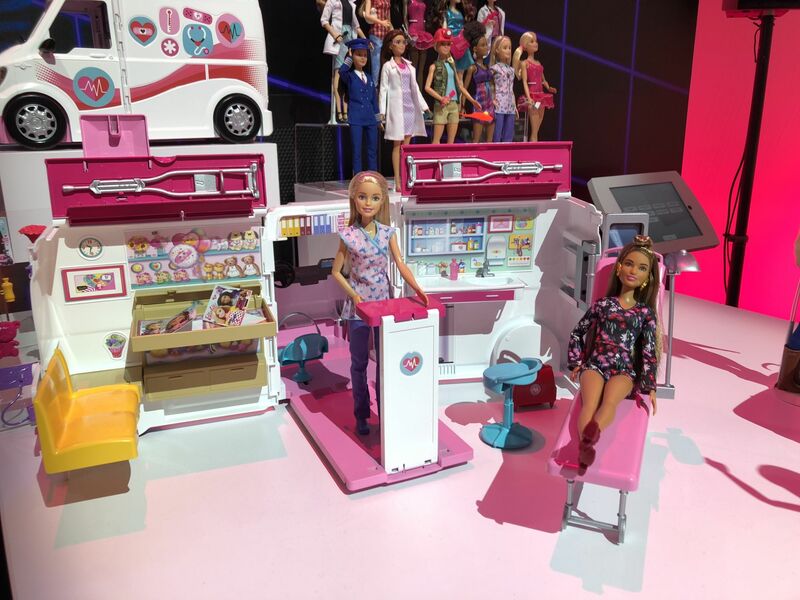 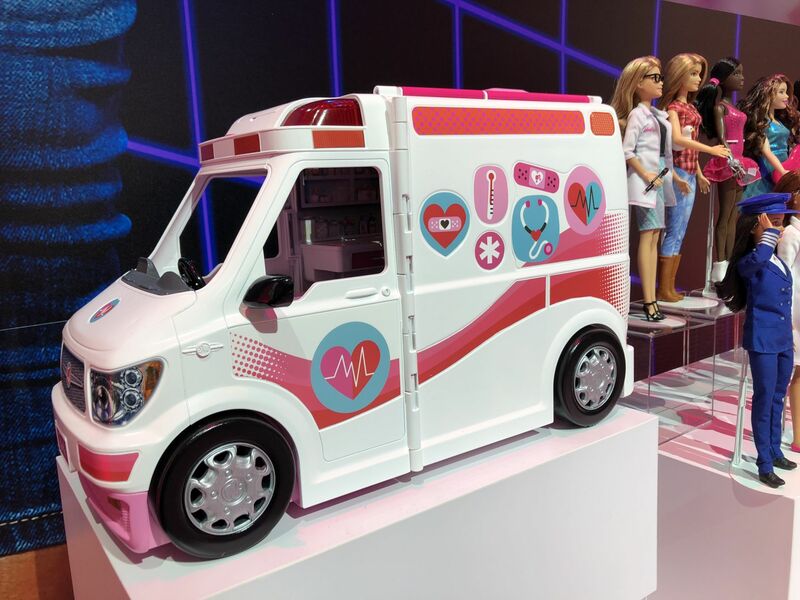 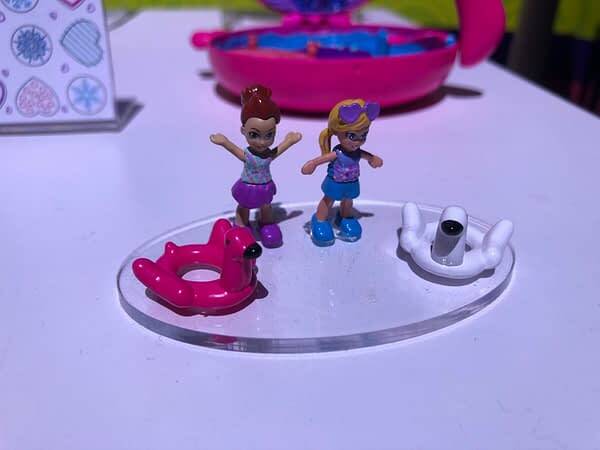 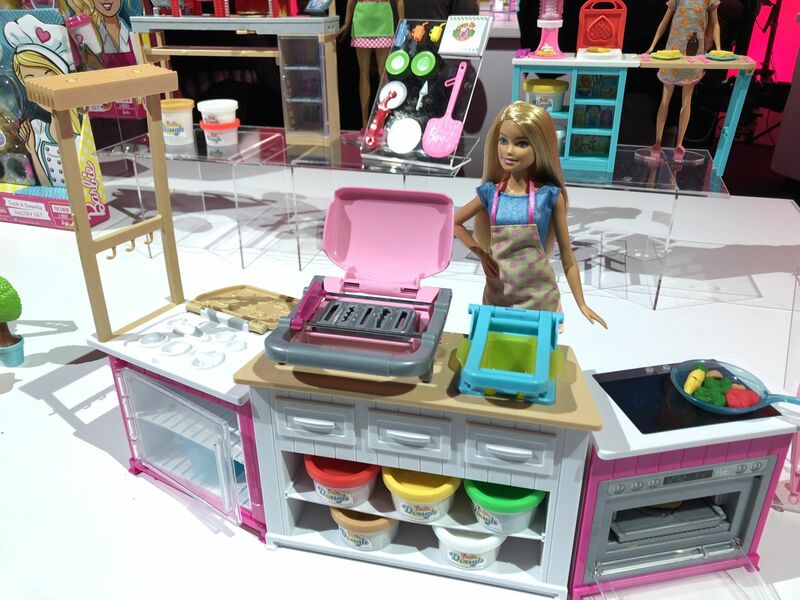 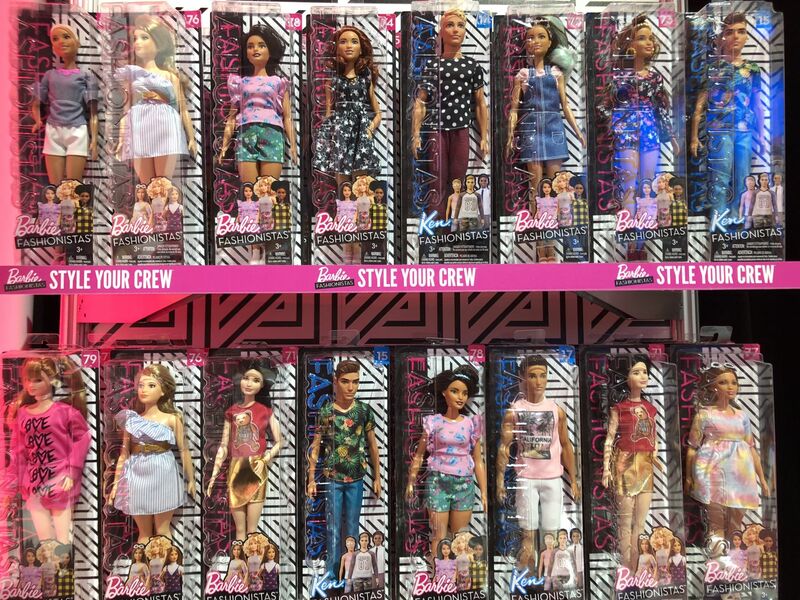 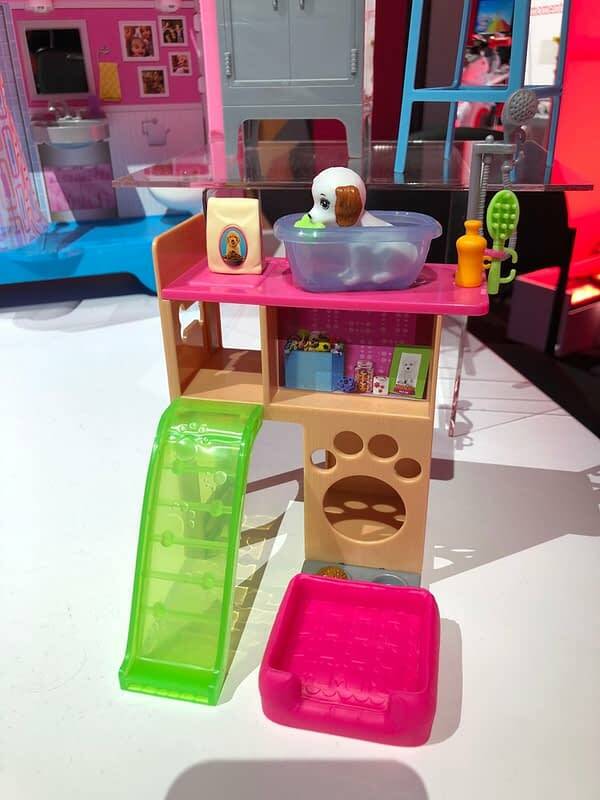 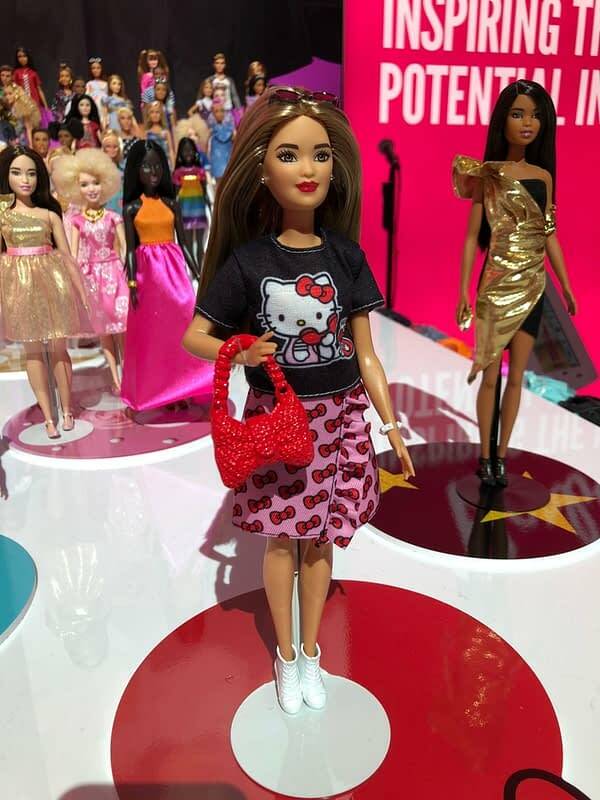 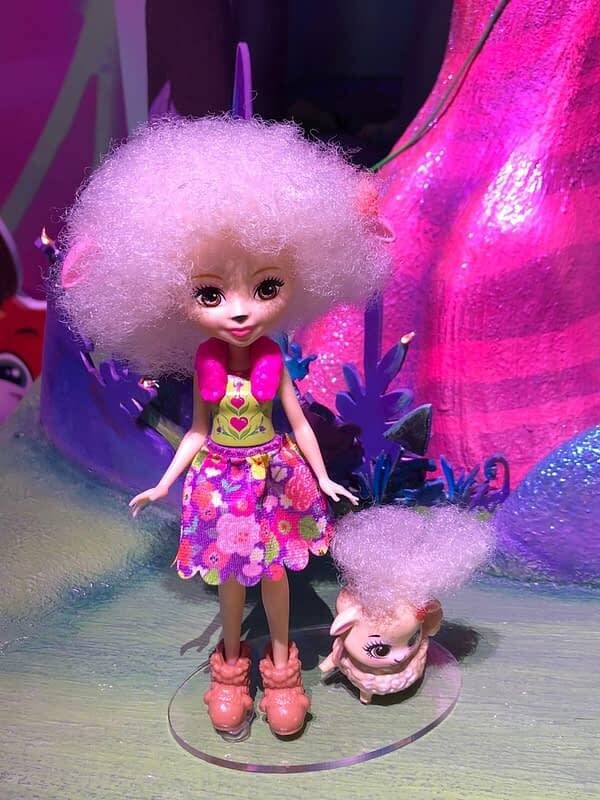 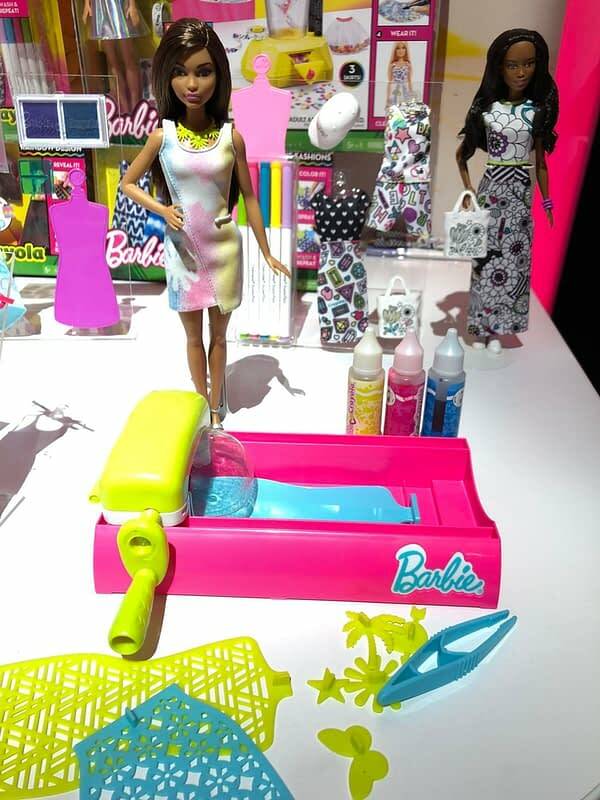 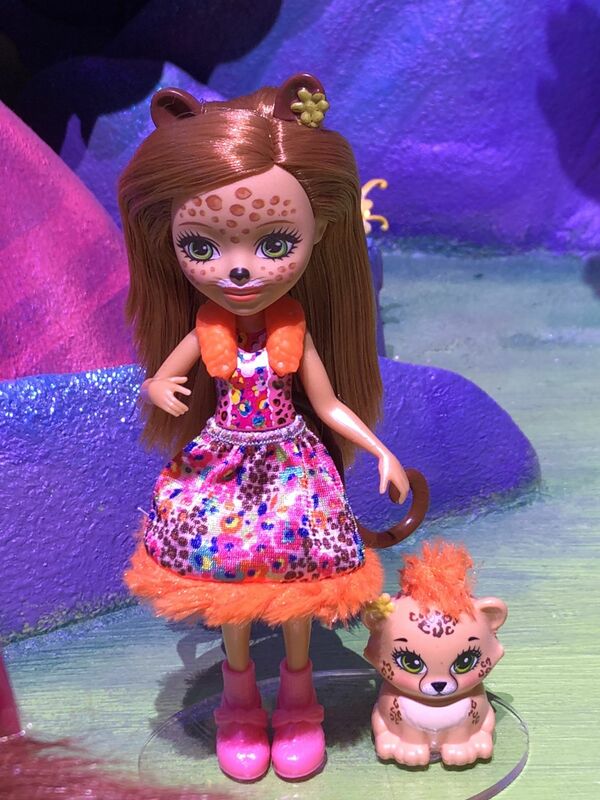 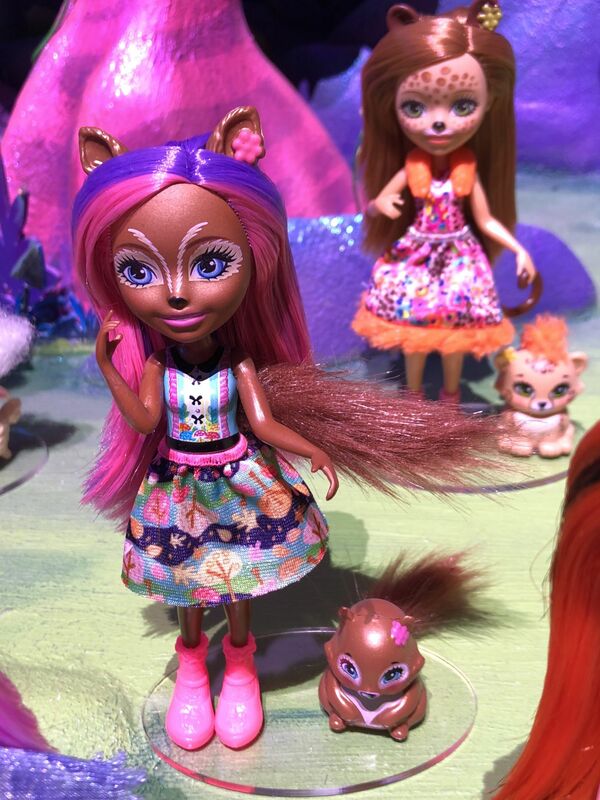 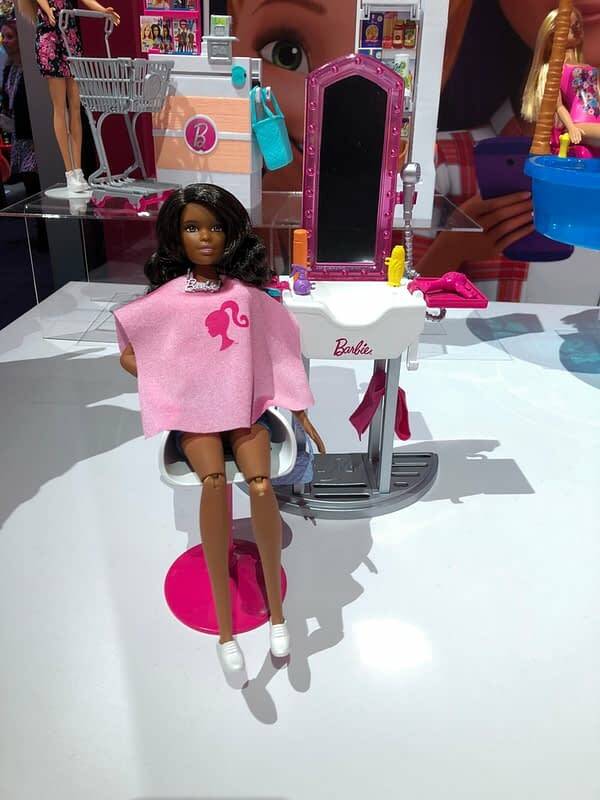 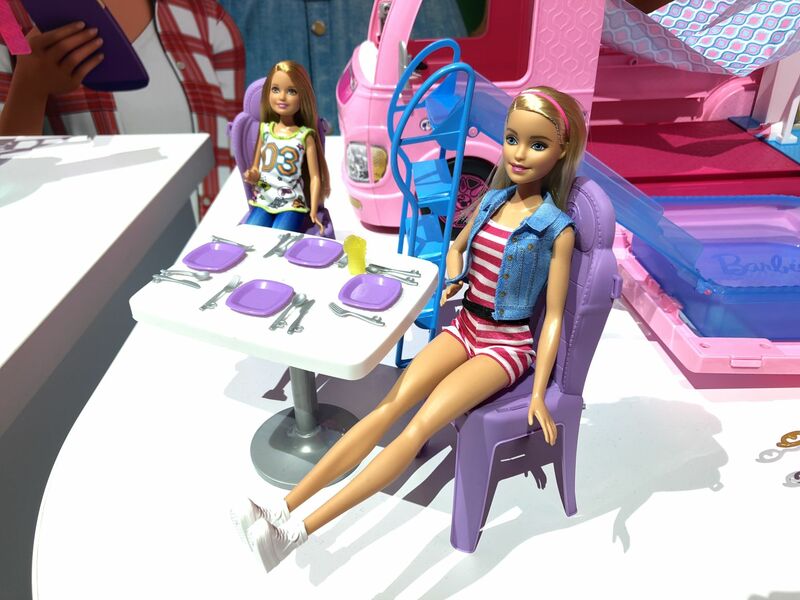 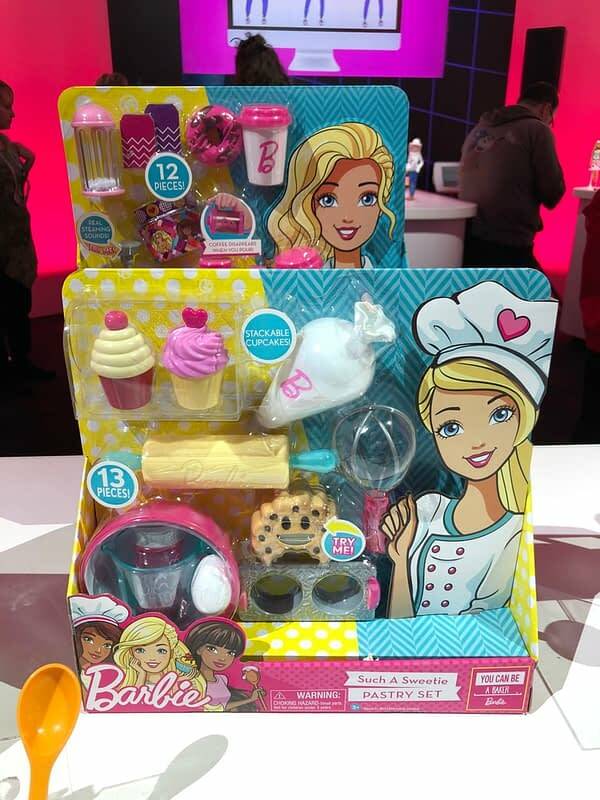 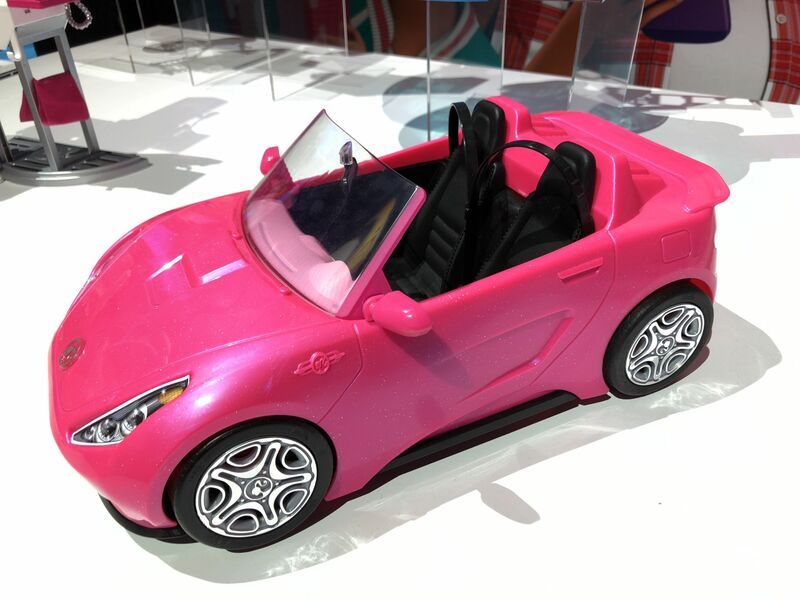 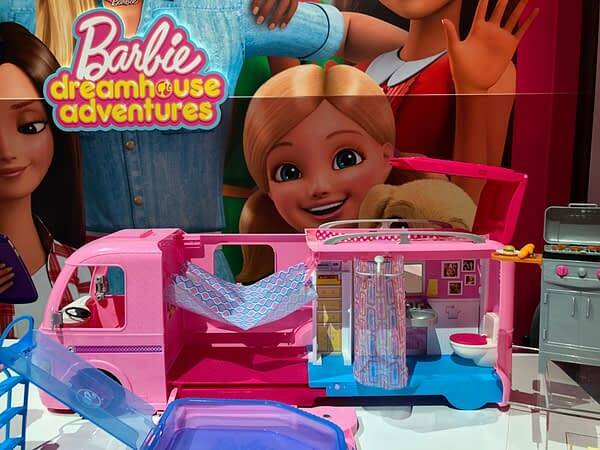 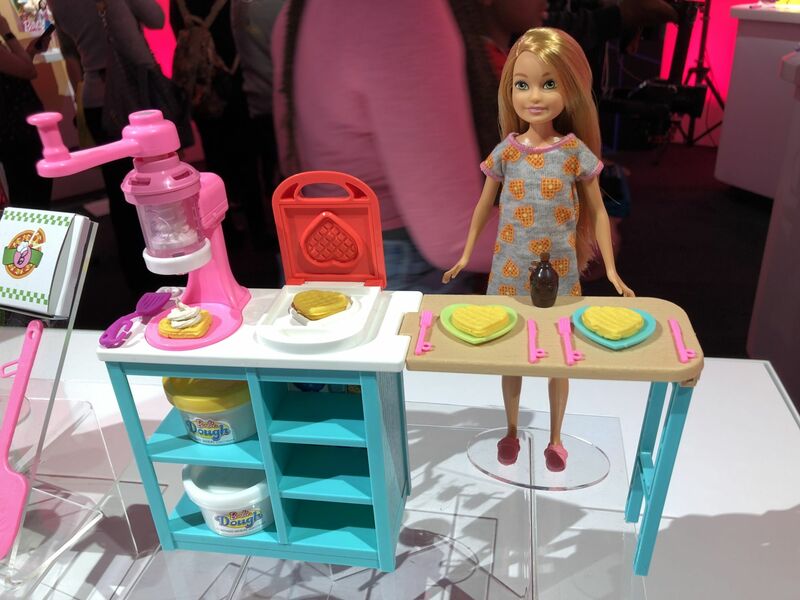 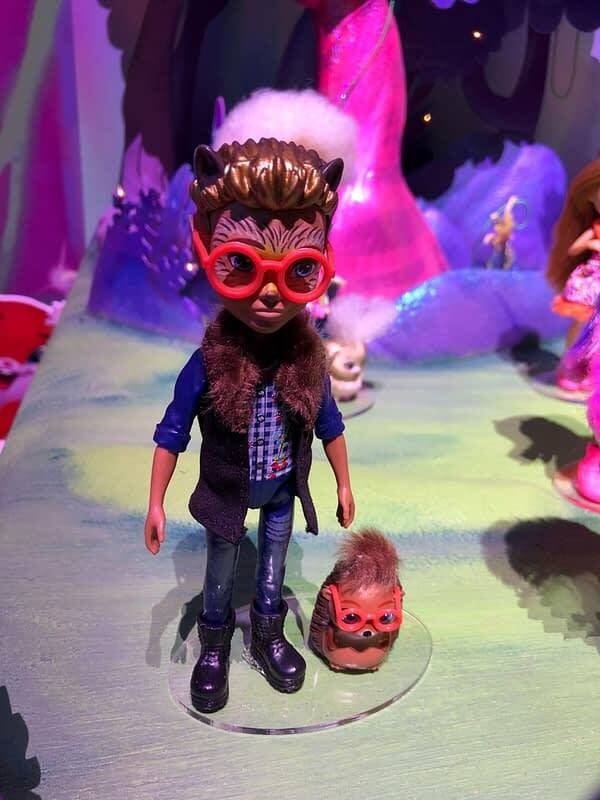 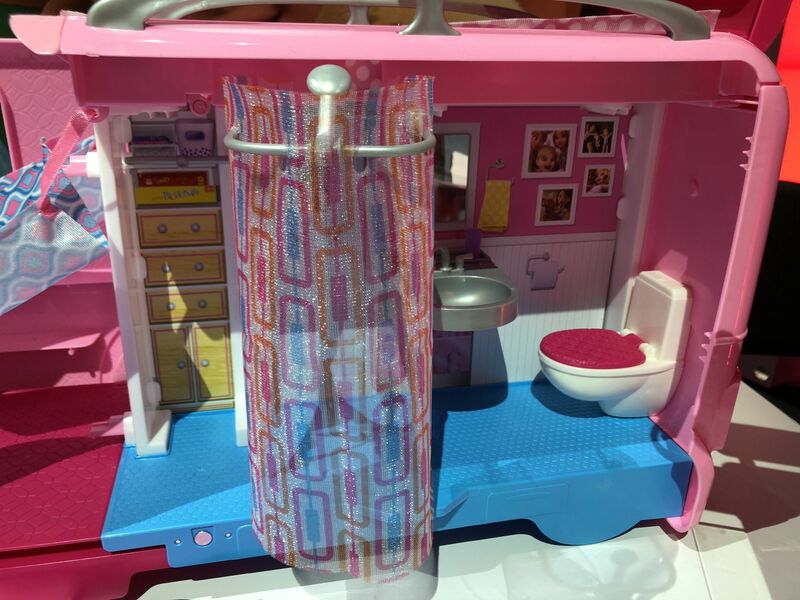 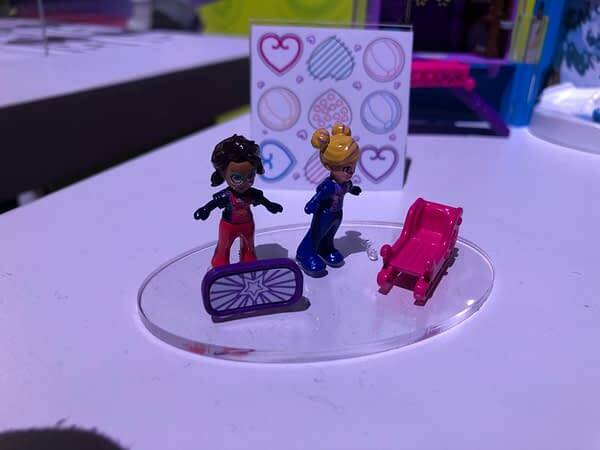 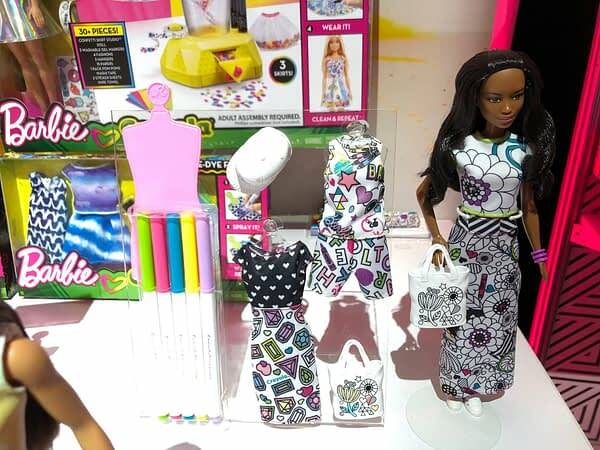 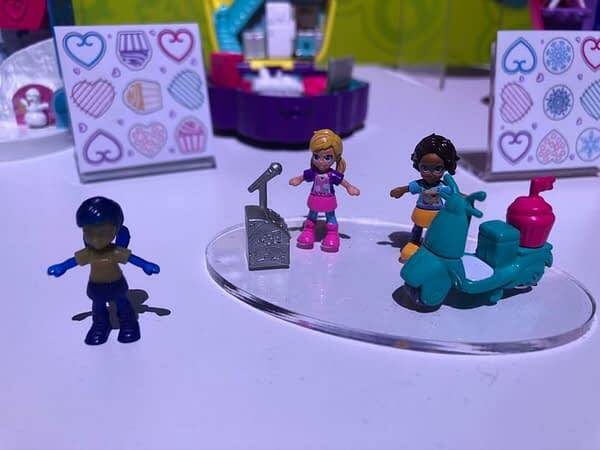 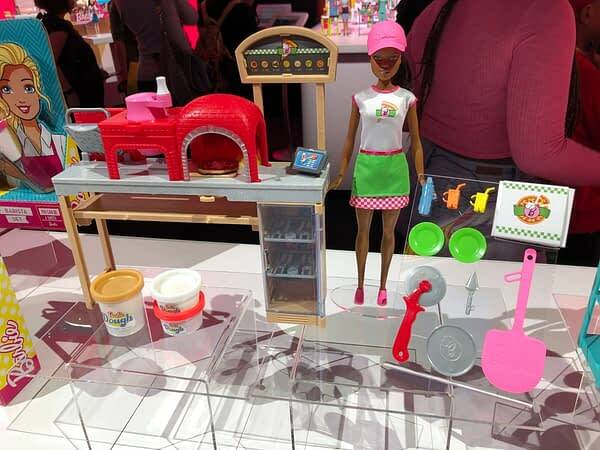 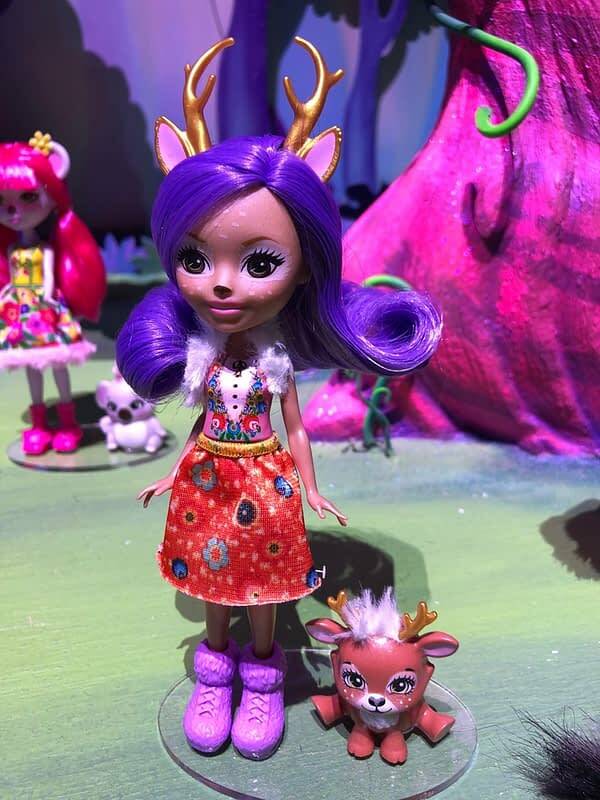 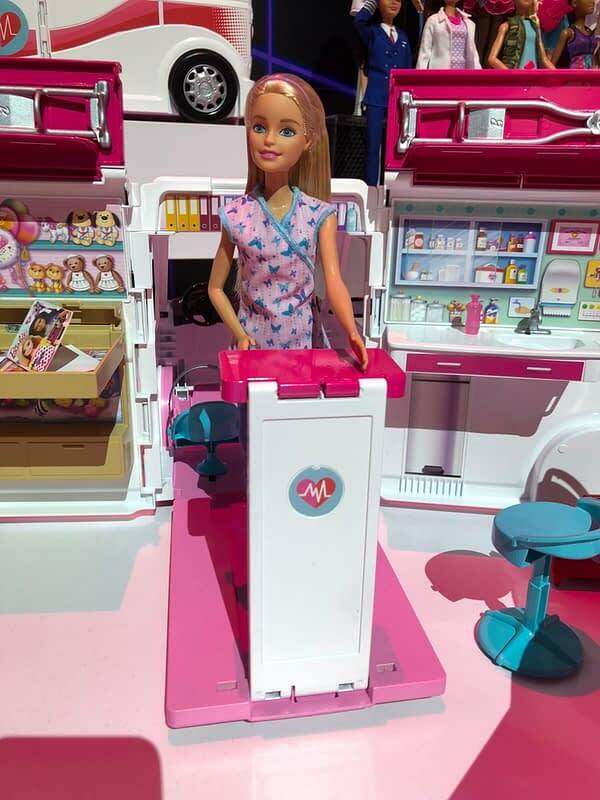 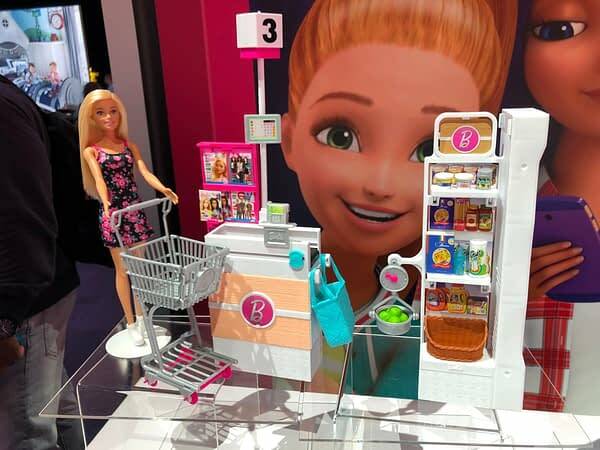 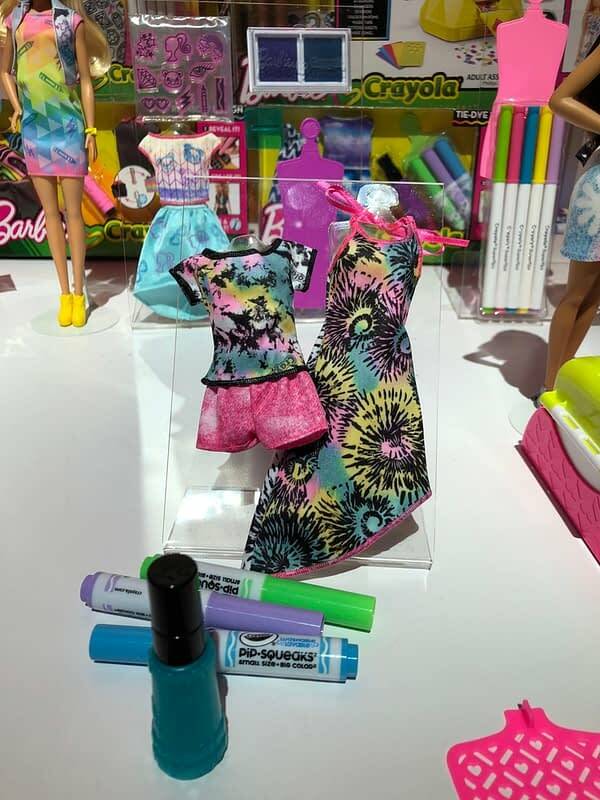 Mattel had their very own floor at the Javits Center this past weekend at Toy Fair New York and with good reason. 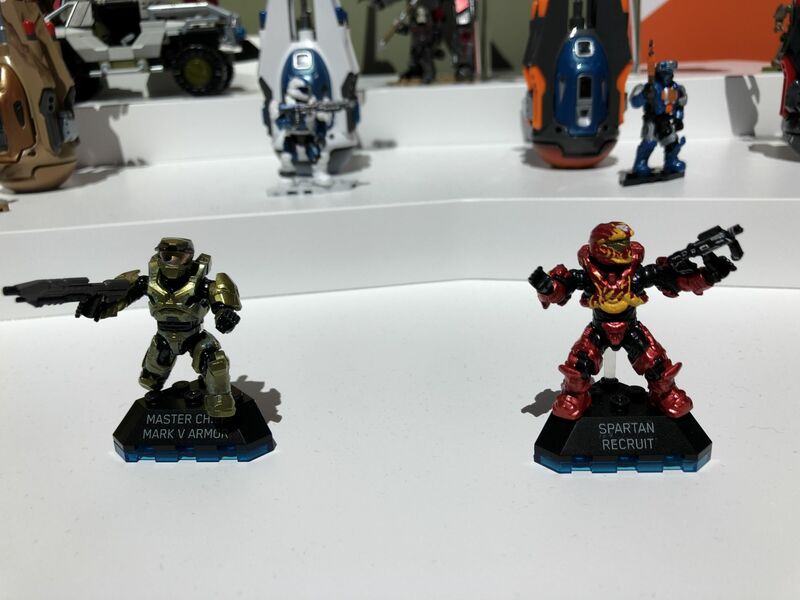 Sporting some of the biggest toy brands there are, they had quite a bit to show off. 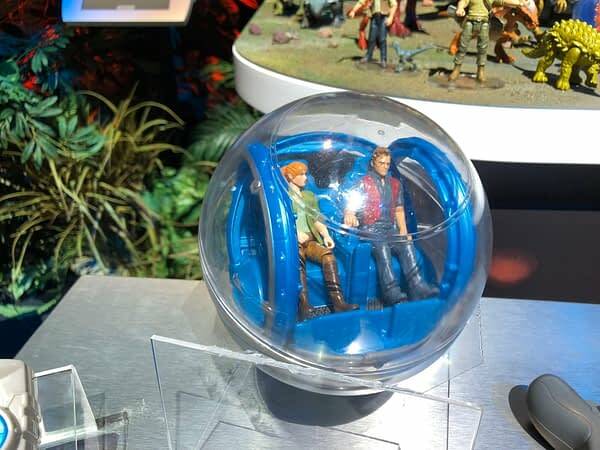 Their focus was on the future, that is for sure. 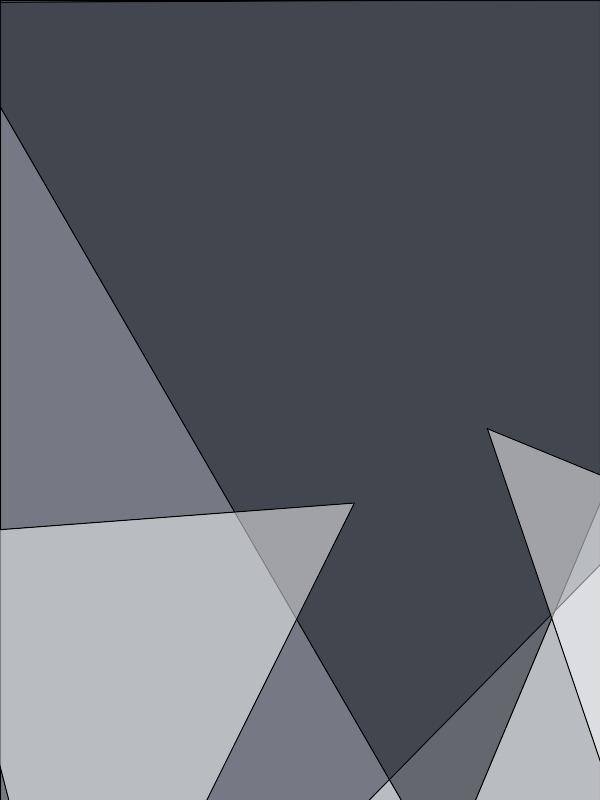 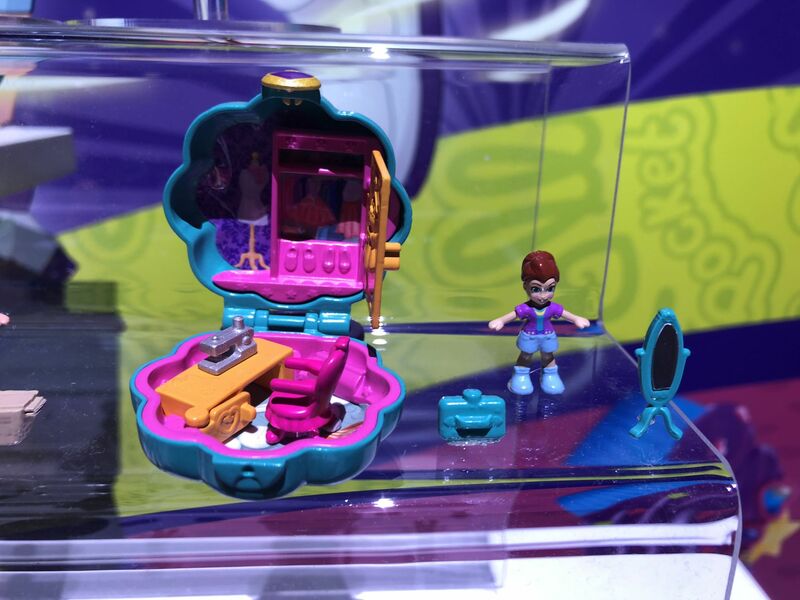 New lines from Polly Pocket, Batman, and of course Jurassic World were the main events. 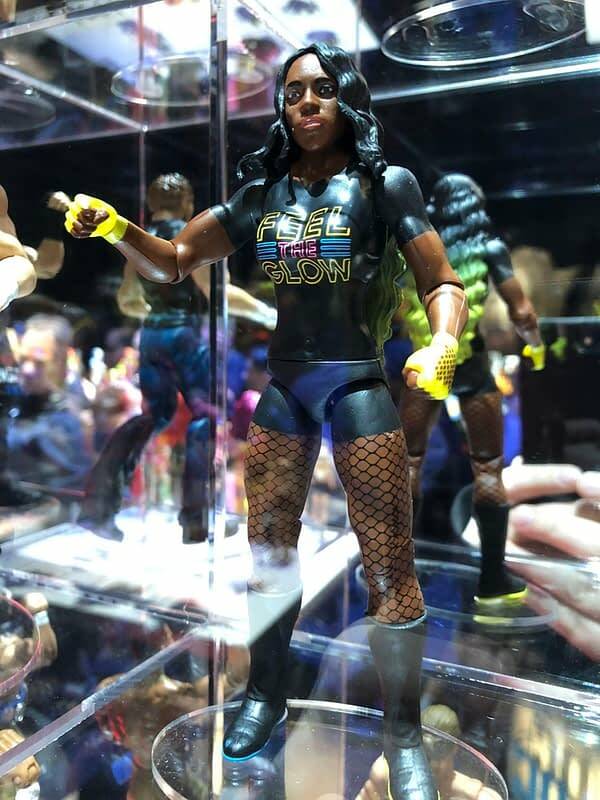 Also all of the newest figures in the now #1 selling action figure line in the world supporting the WWE, new Barbies, Hot Wheels, and Mega Construx to name a few. 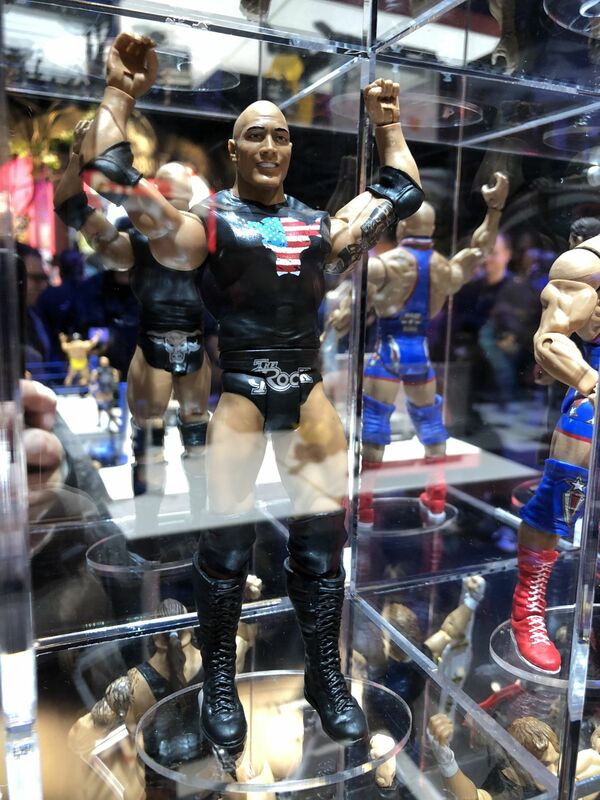 The WWE line will continue to add to its impressive roster of figures, in both the Elite and Basic style. 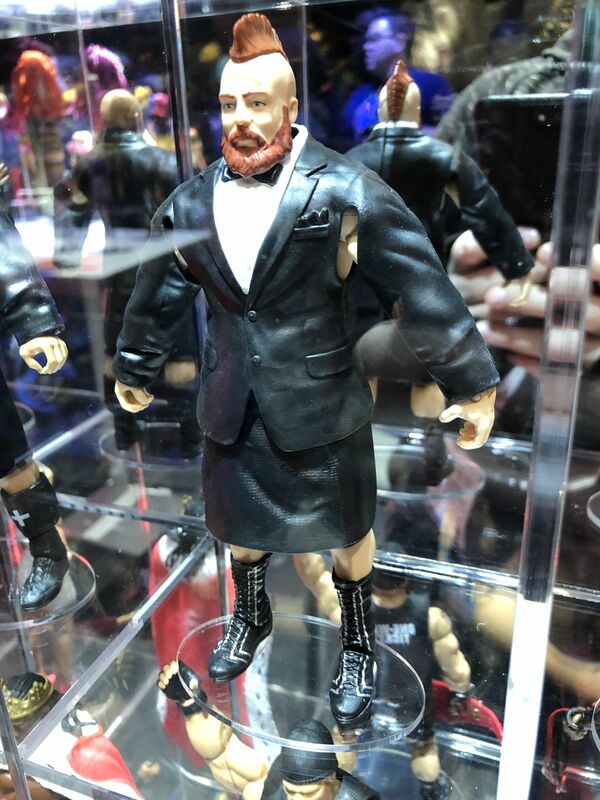 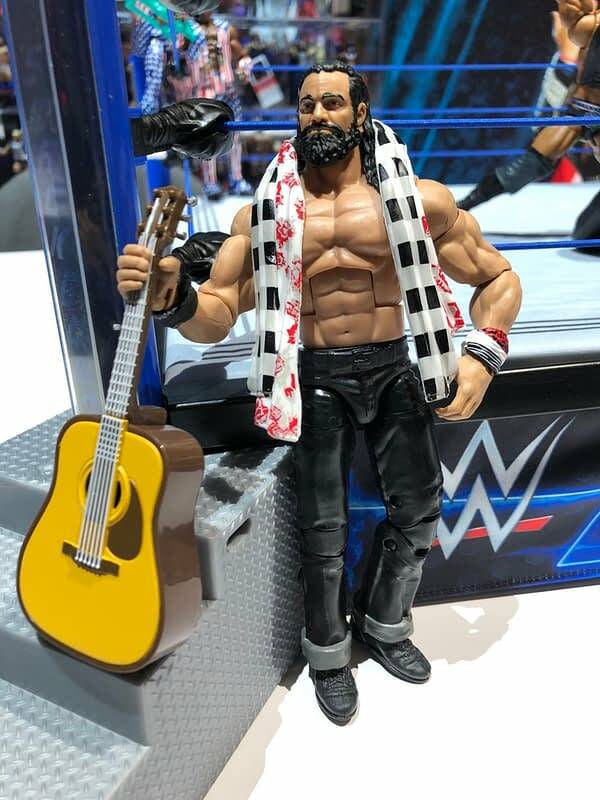 Personally, my collection is ready to walk with Elias, and his figure looks fantastic. 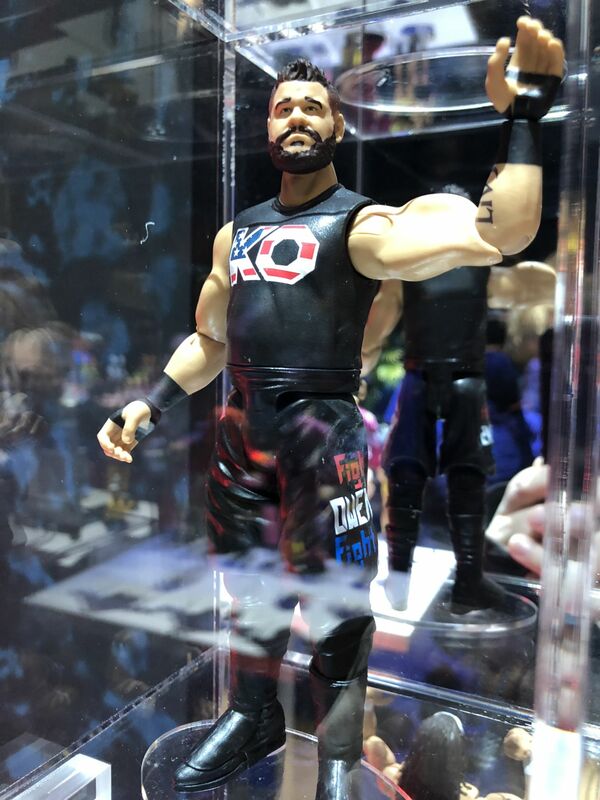 New versions of Kurt Angle, Andre The Giant, Jinder Mahal, Dean Ambrose, Seth Rollins, Mickie James, and more are all on the way. 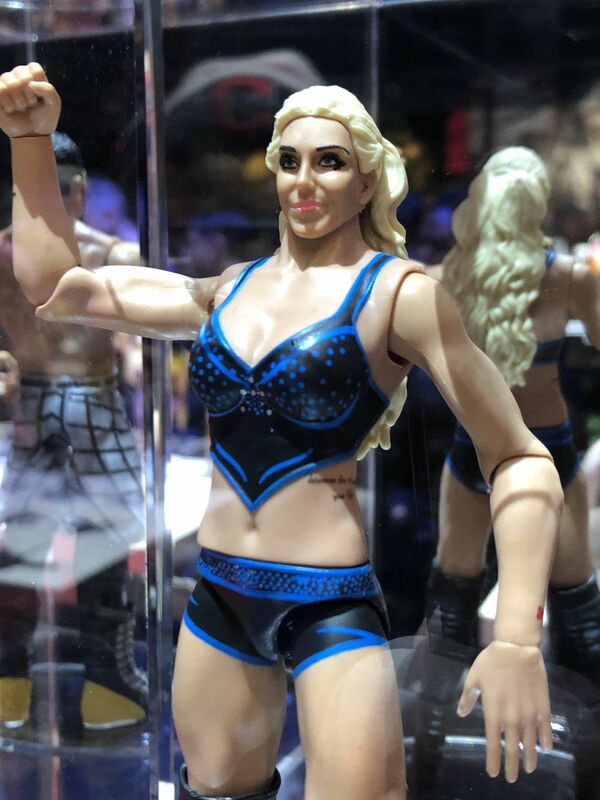 Charlotte Flair and Alexa Bliss were also on display using the new face-printing tech they have incorporated, and boy do they look great. 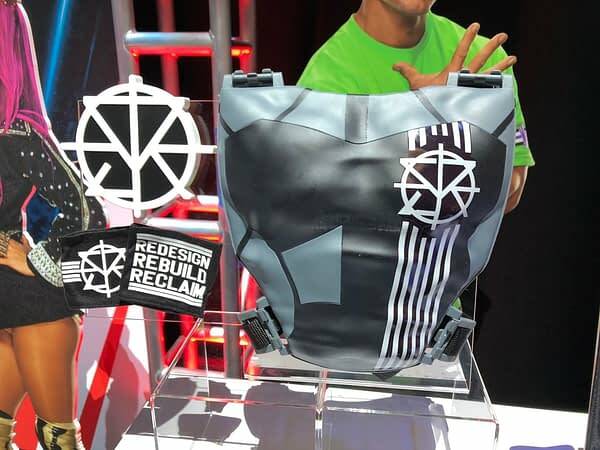 Jinder will come packed into a new SmackDown Elite Scale ring, the same as the Raw one that came with Goldberg last year. 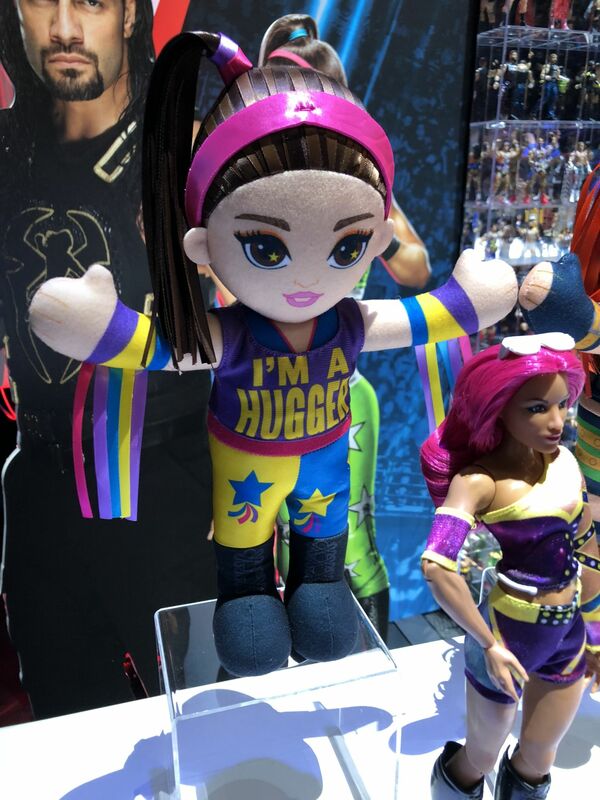 The WWE line of dolls will continue for the female superstars with Alexa Bliss, Nattie, and more getting the doll treatment. 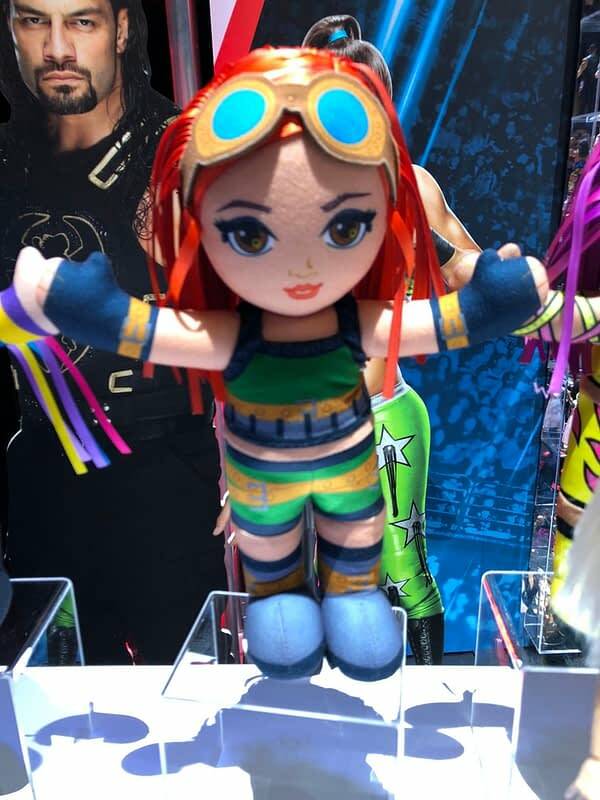 And we are getting new mini-wrestling buddies of female wrestlers like Bayley and Sasha Banks as well. 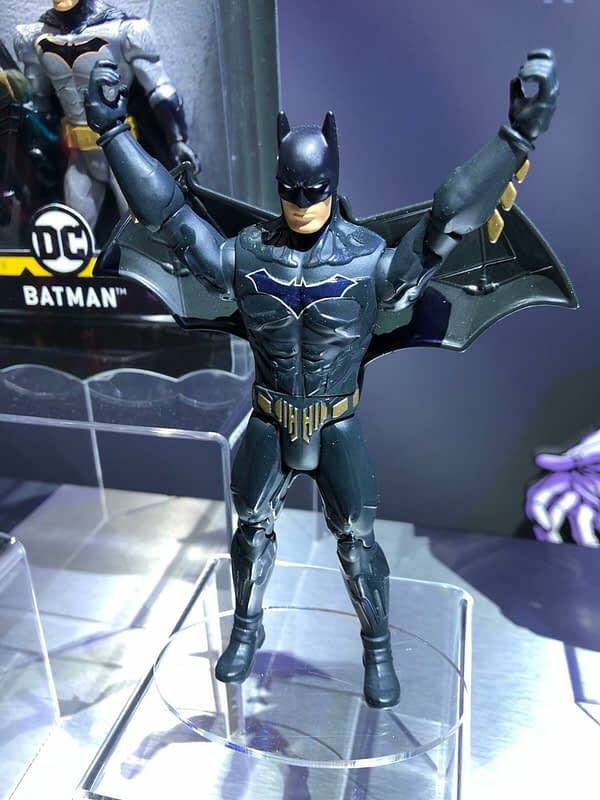 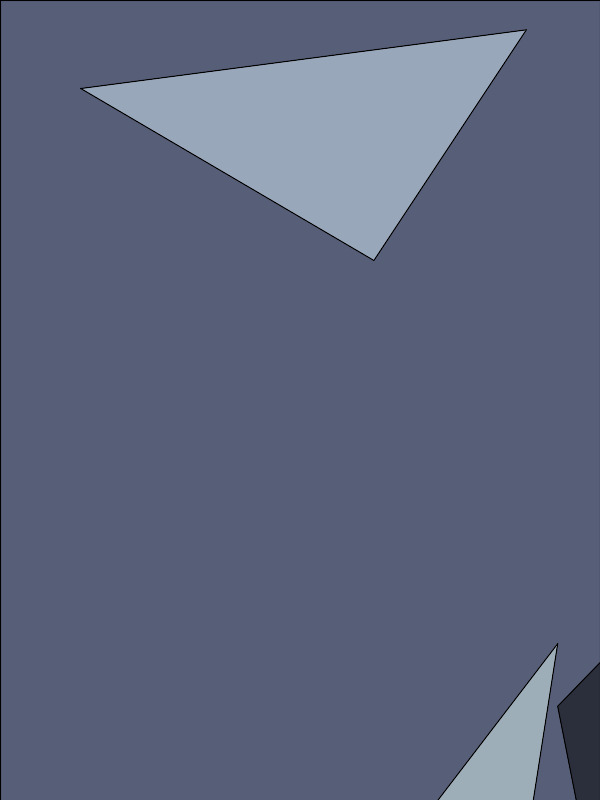 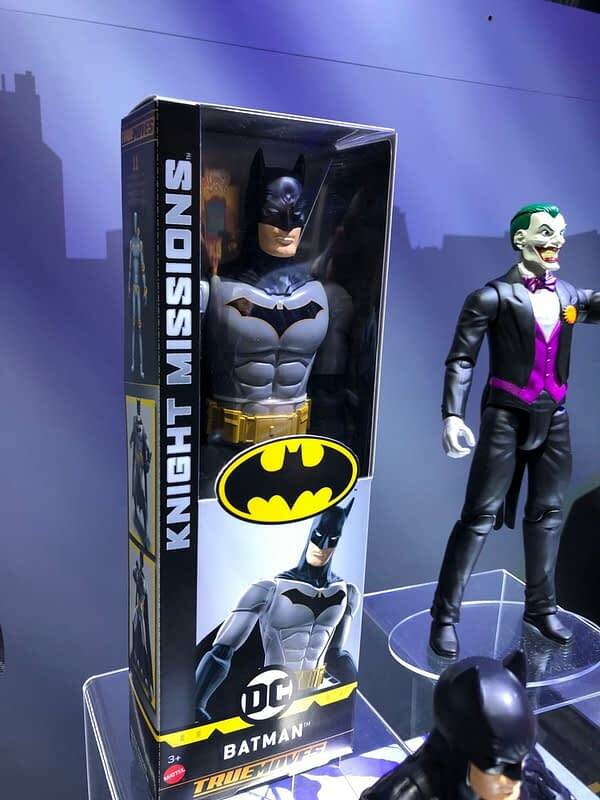 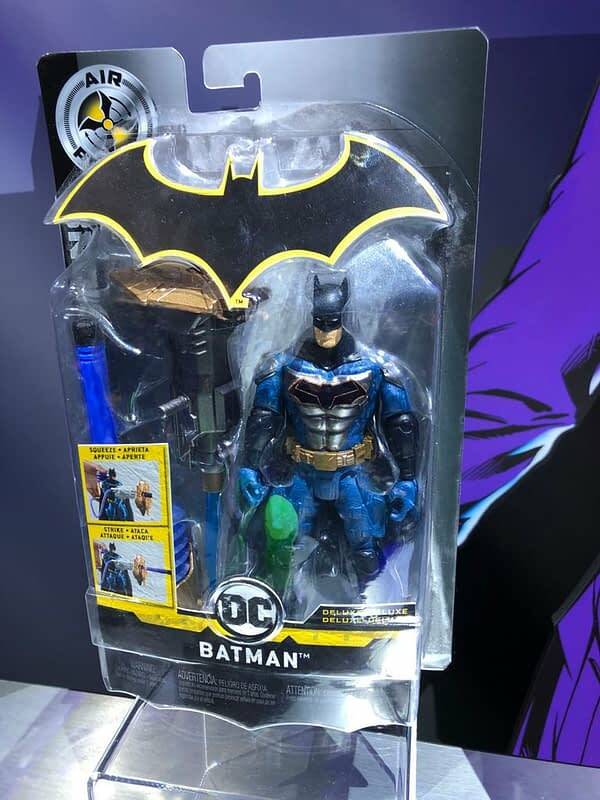 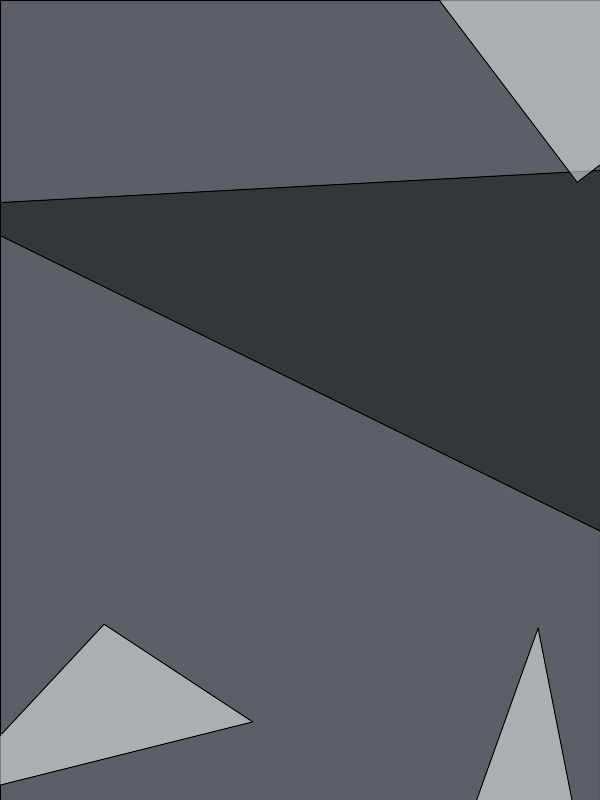 Batman is getting a new line of figures, where each is related to the other to create scenes. 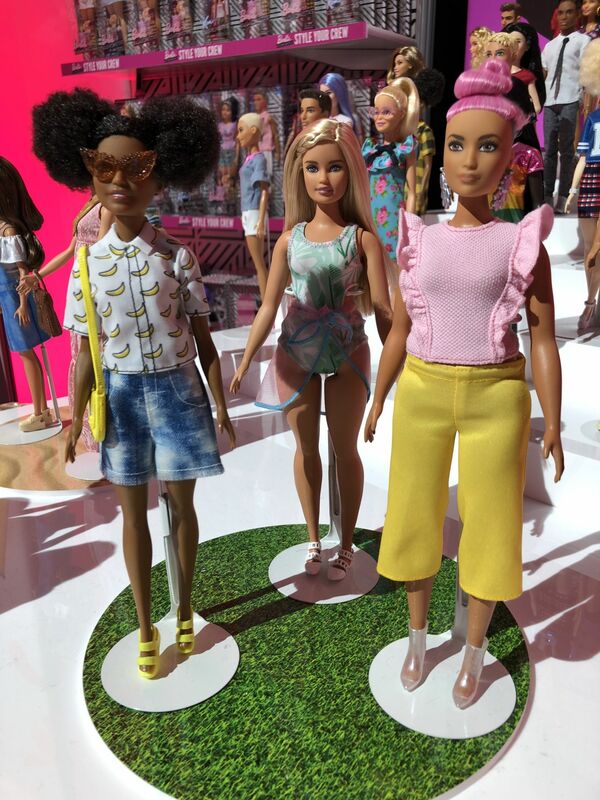 Mattel will also create shorts starring the figures acting out the scenes. 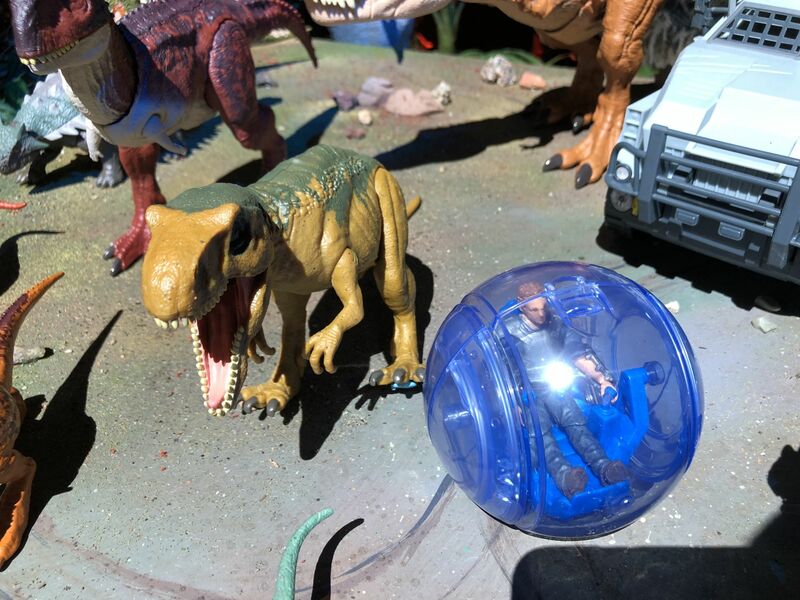 Then it was on to Jurassic World. 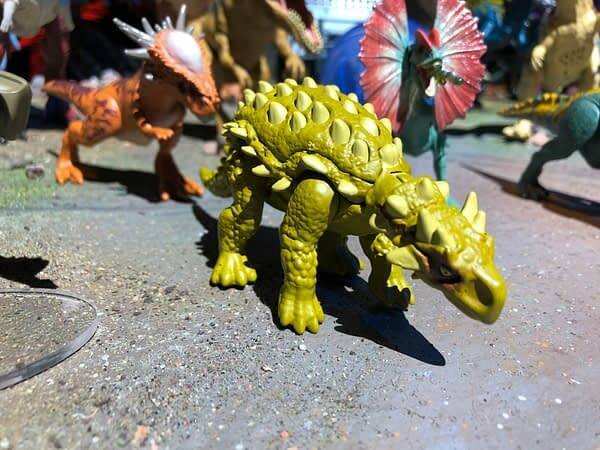 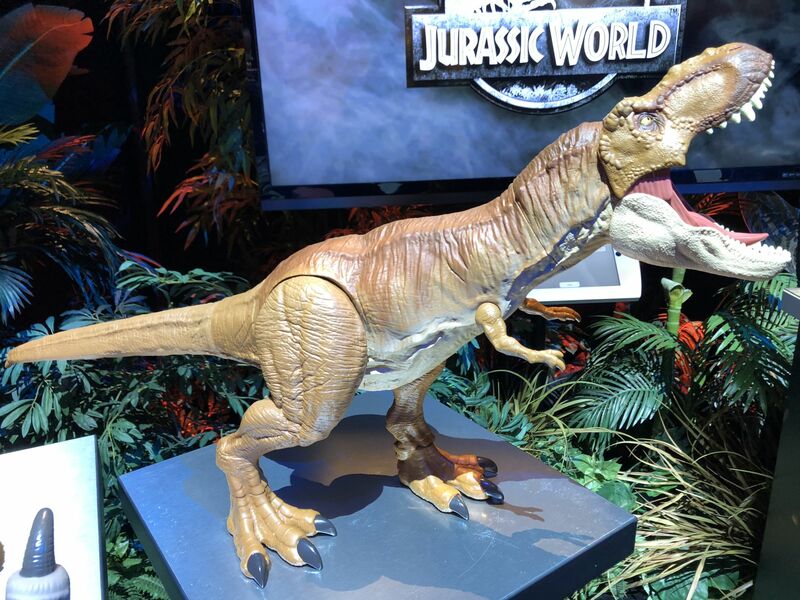 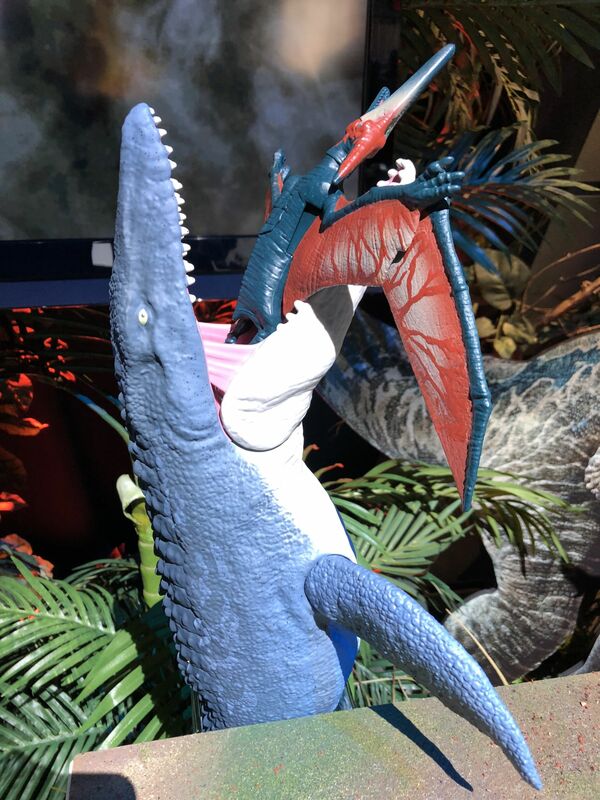 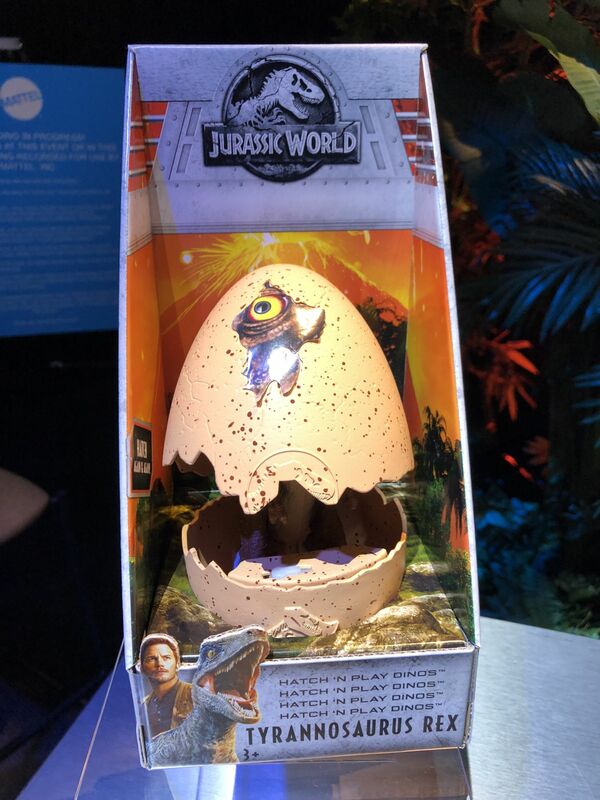 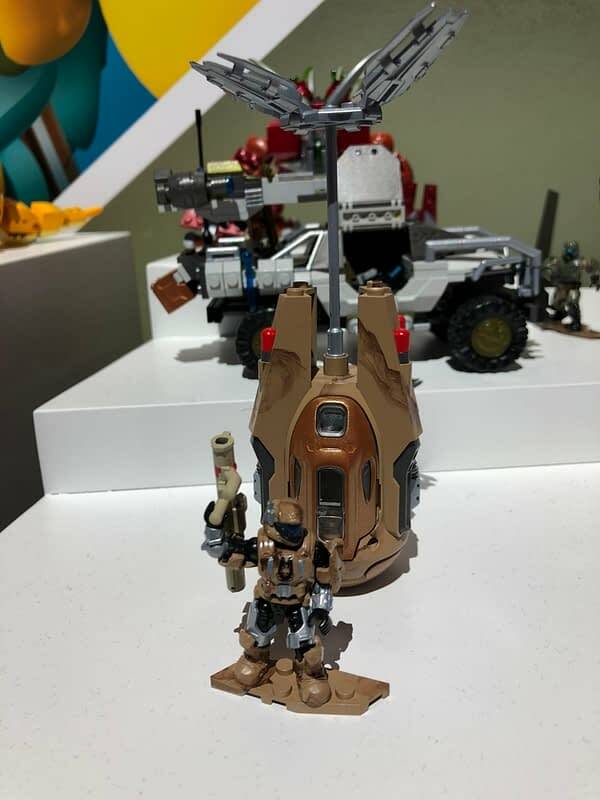 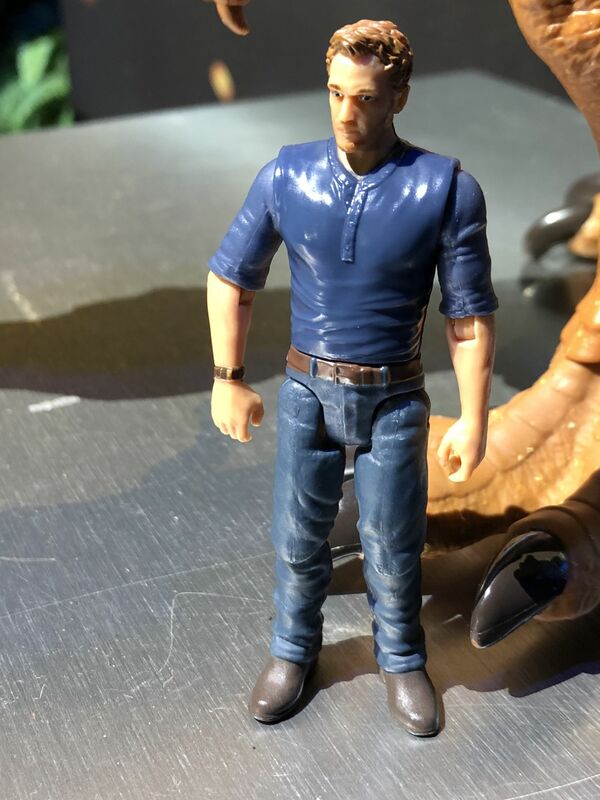 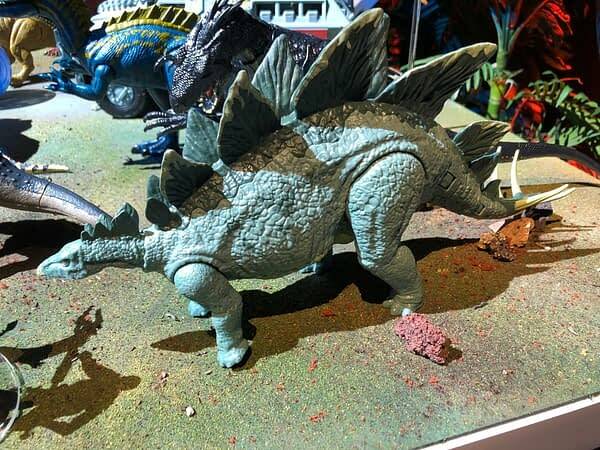 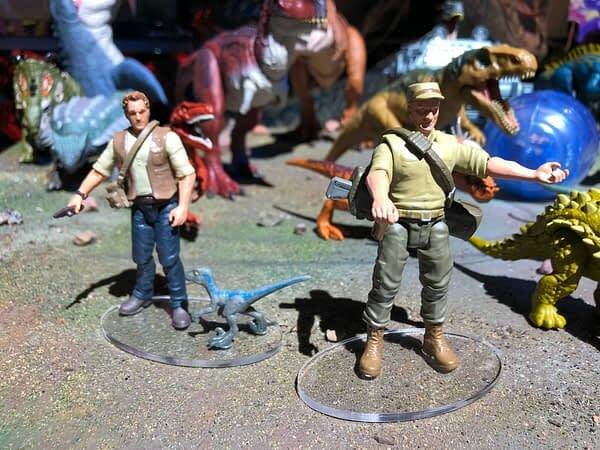 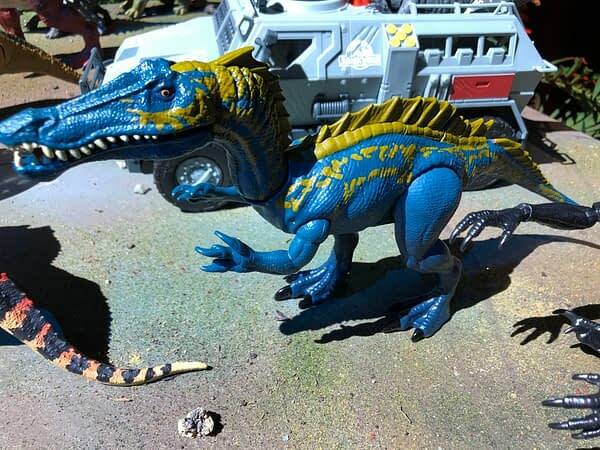 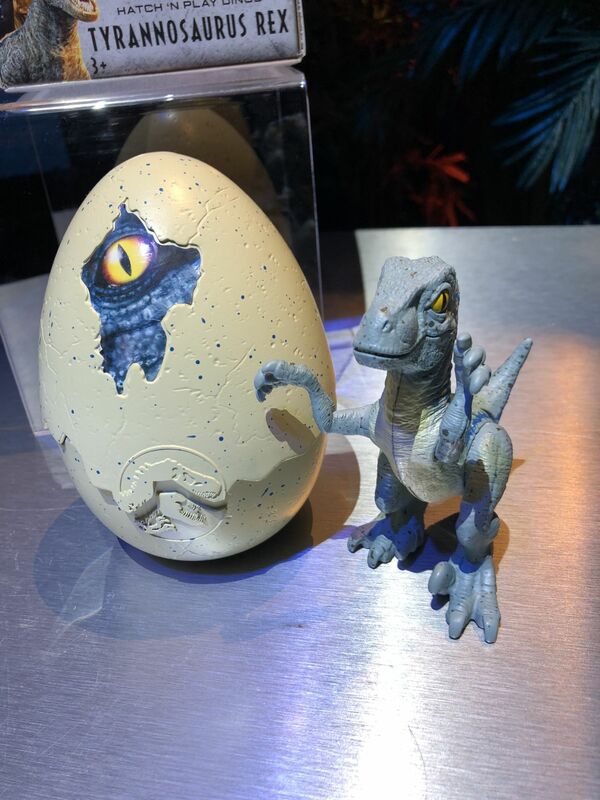 So, so many products are coming, from blind pack dinos to human characters. 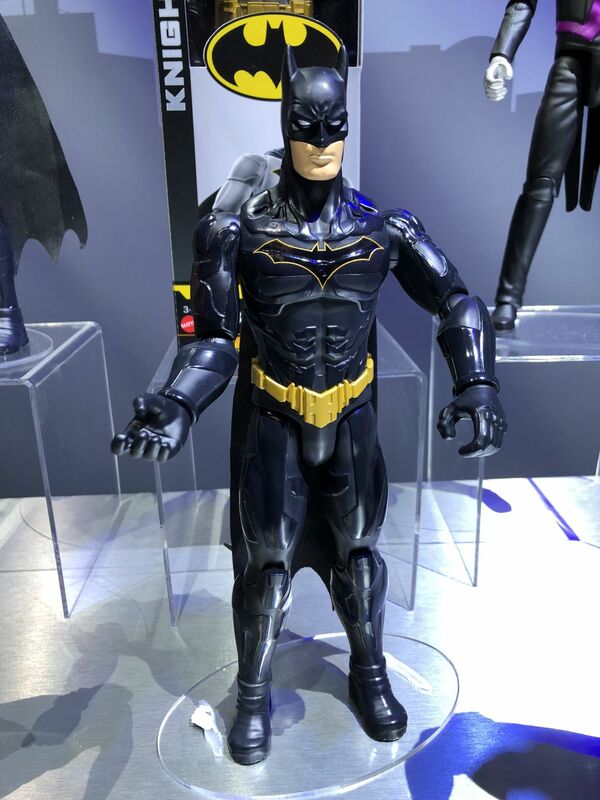 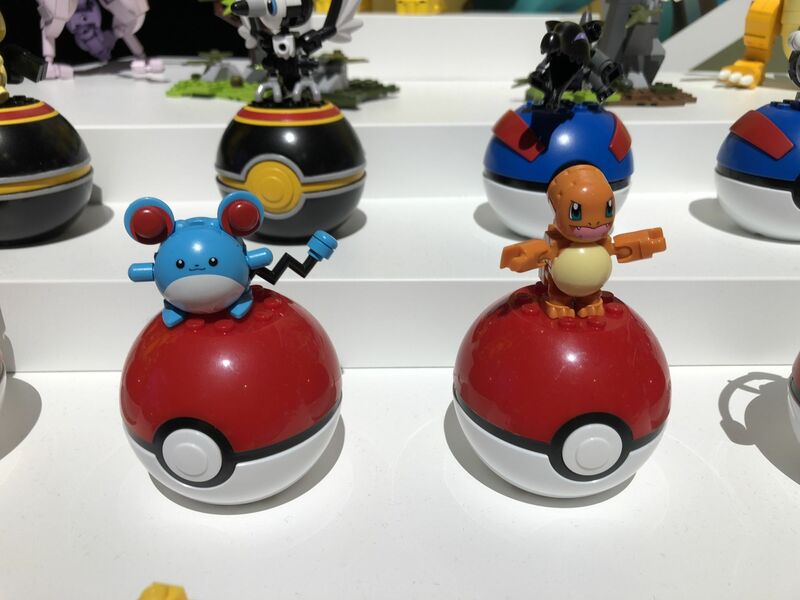 Those will be 3.75 inch figures and feature a surprising amount of articulation. Did I mention dinosaurs? 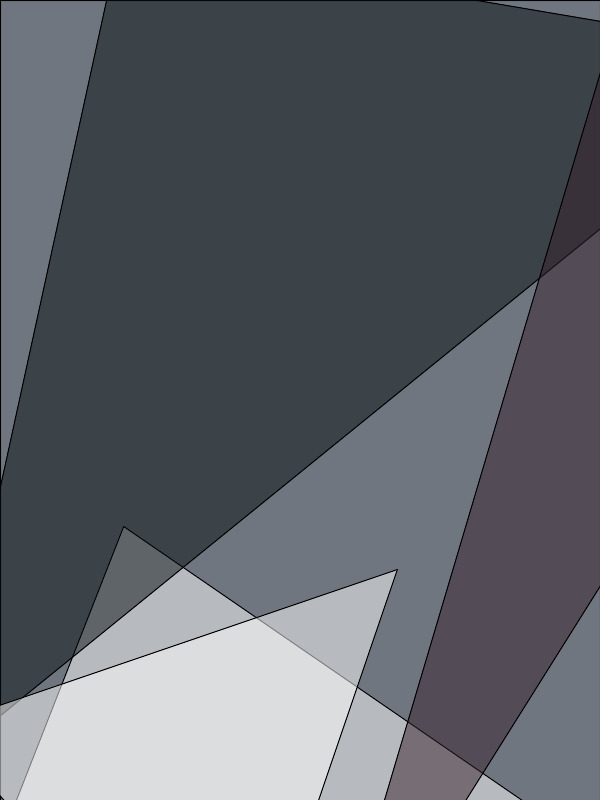 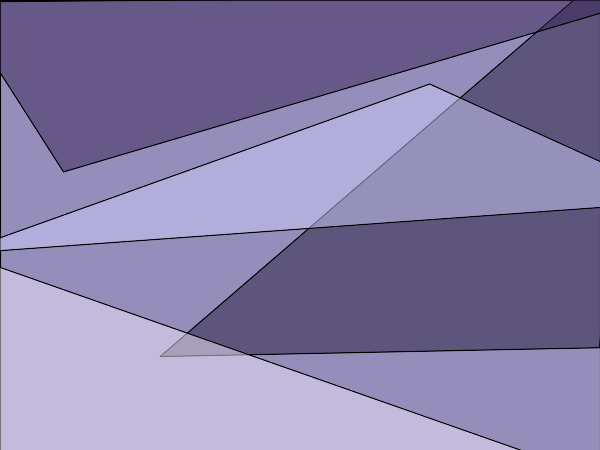 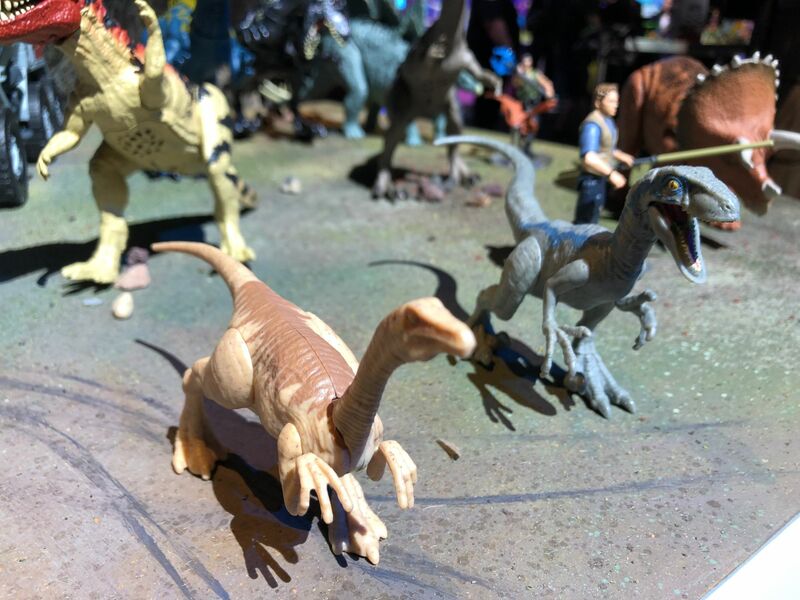 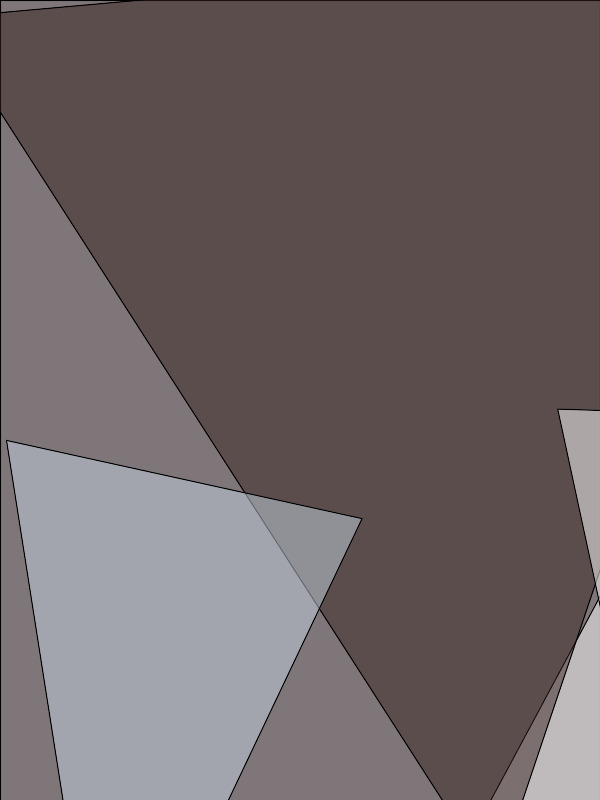 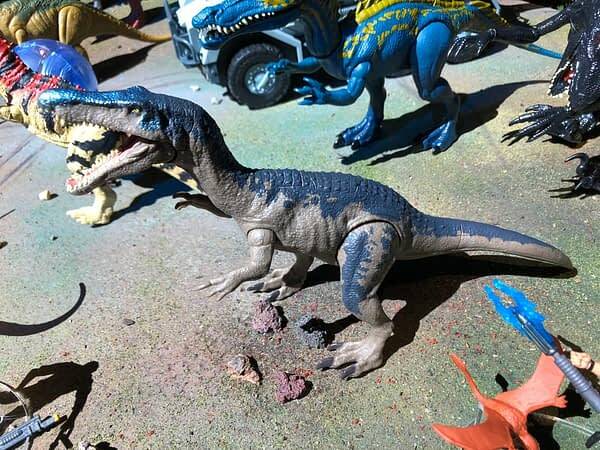 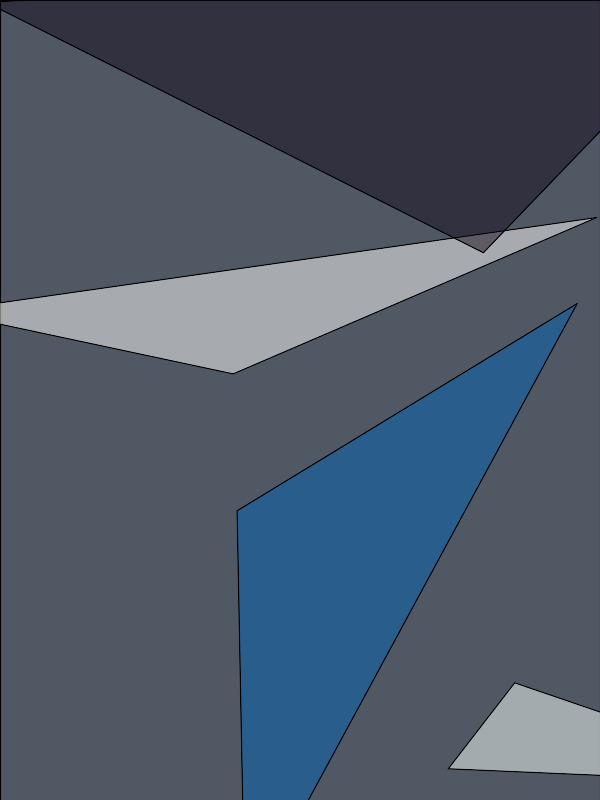 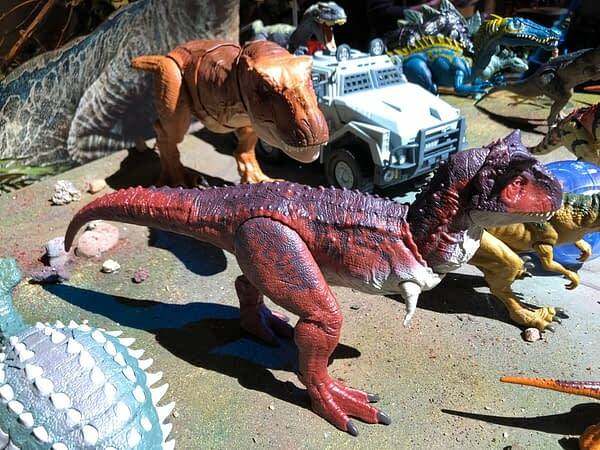 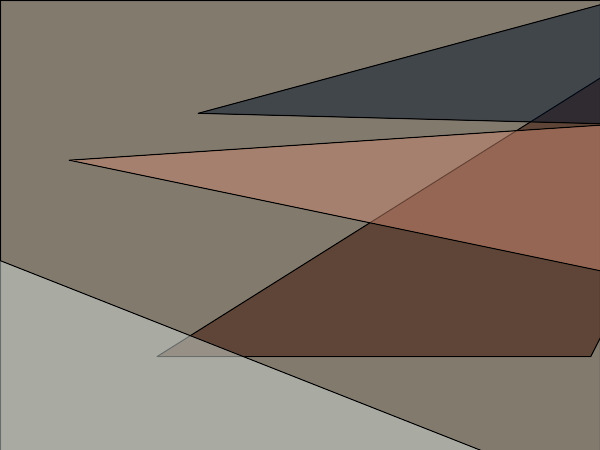 because every dino imaginable is here, many in more than one scale. 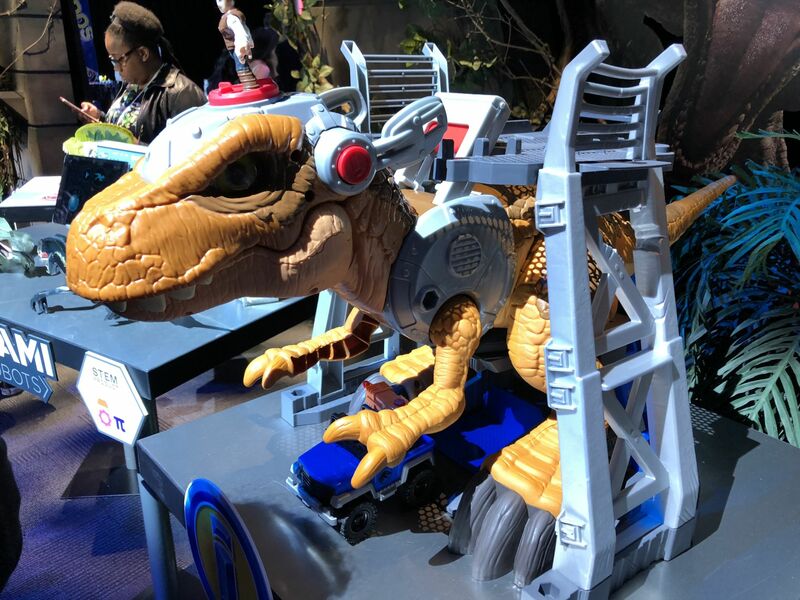 There are app controlled Raptors, Raptor rideable vehicles, drones, everything. 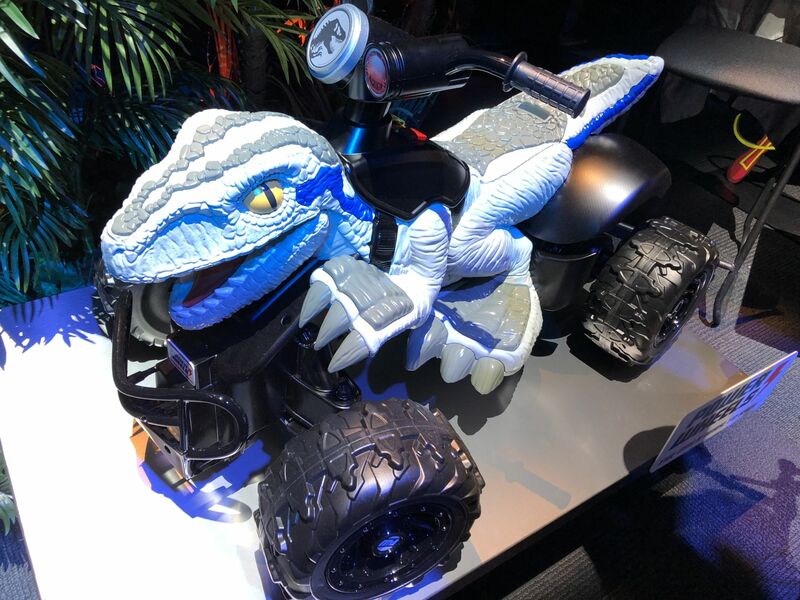 They are going whole hog with the license, and that is ok with me. 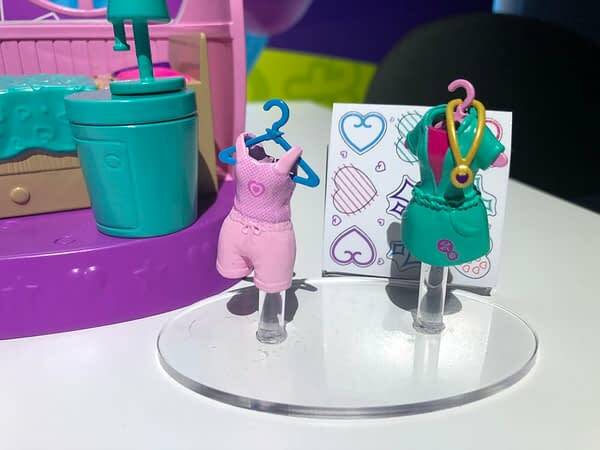 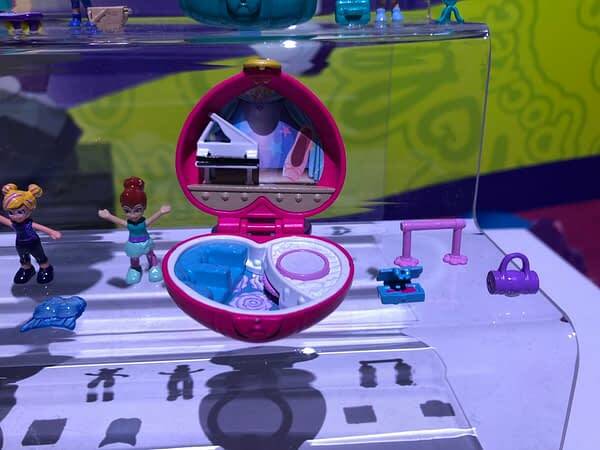 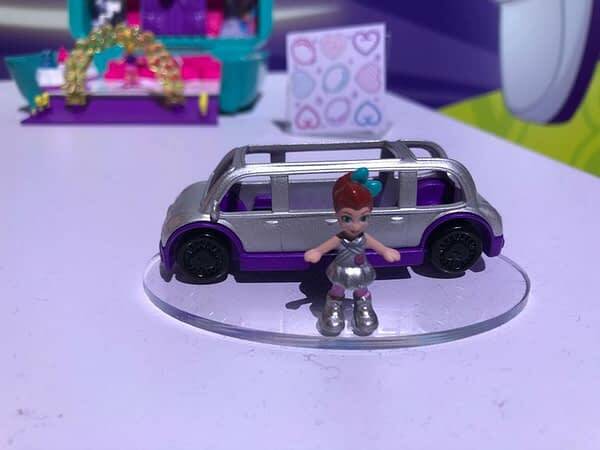 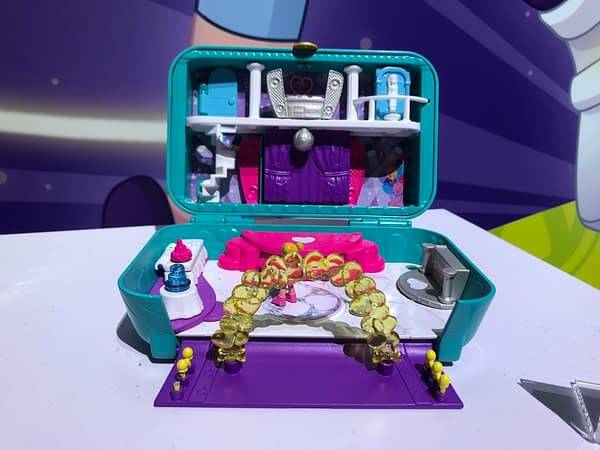 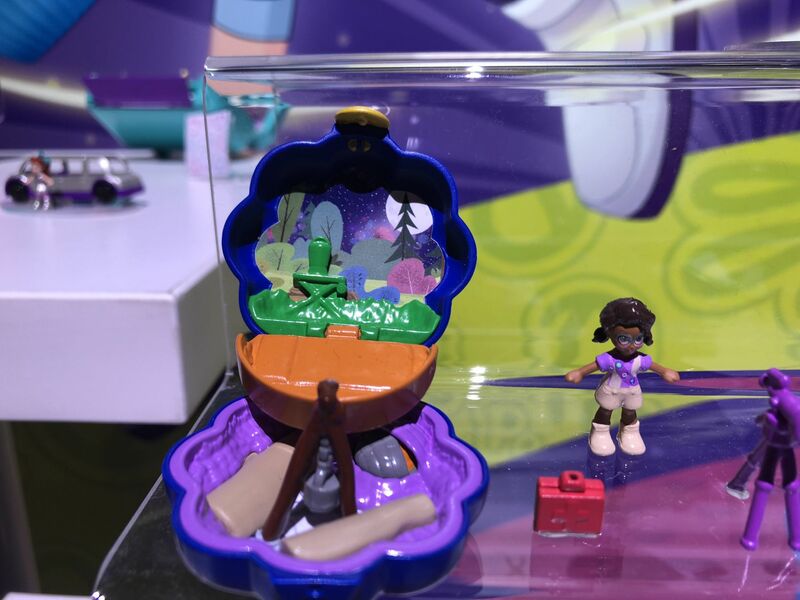 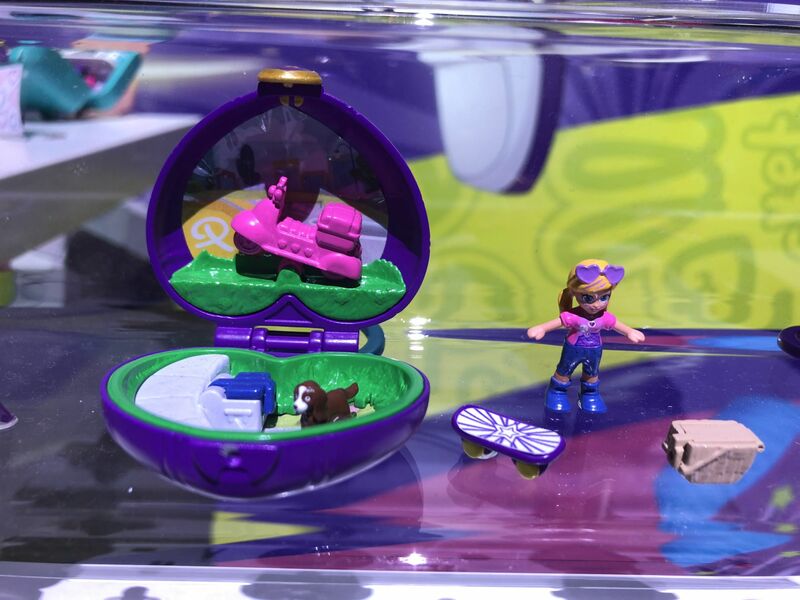 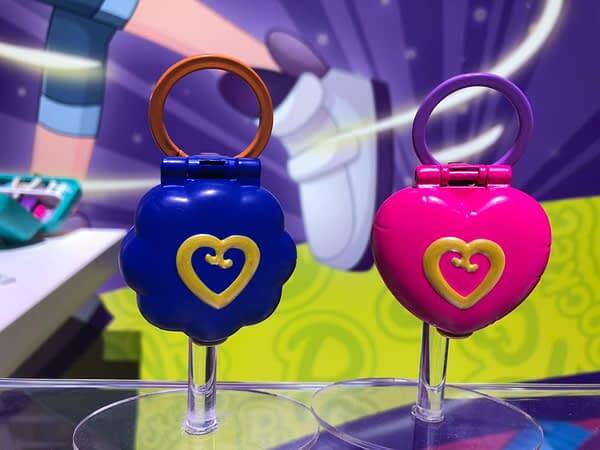 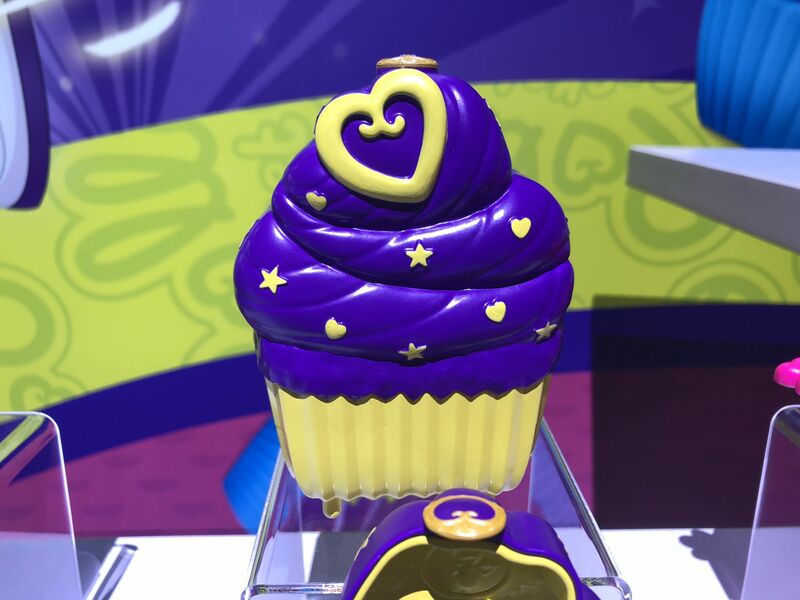 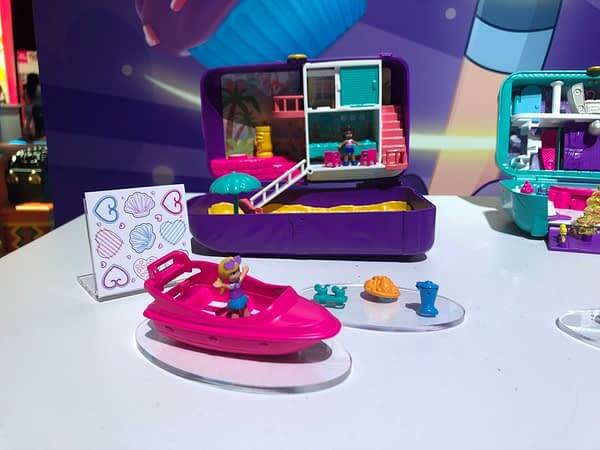 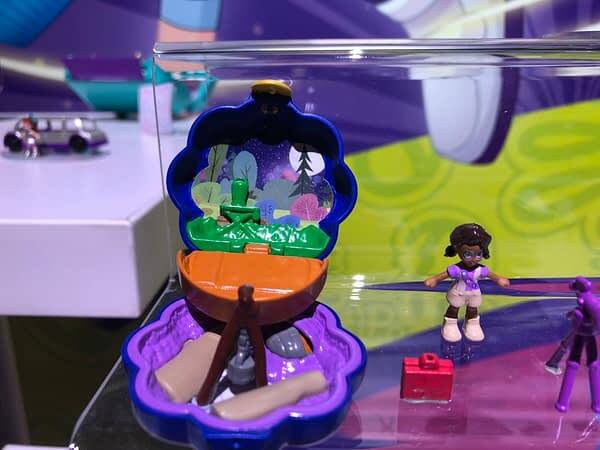 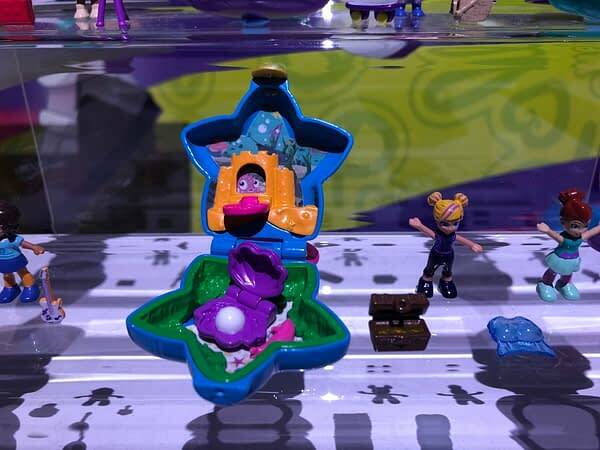 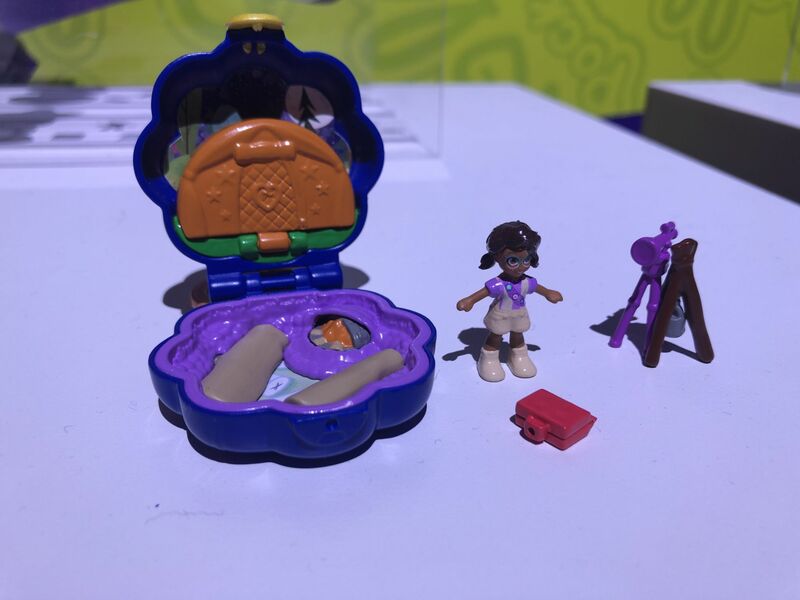 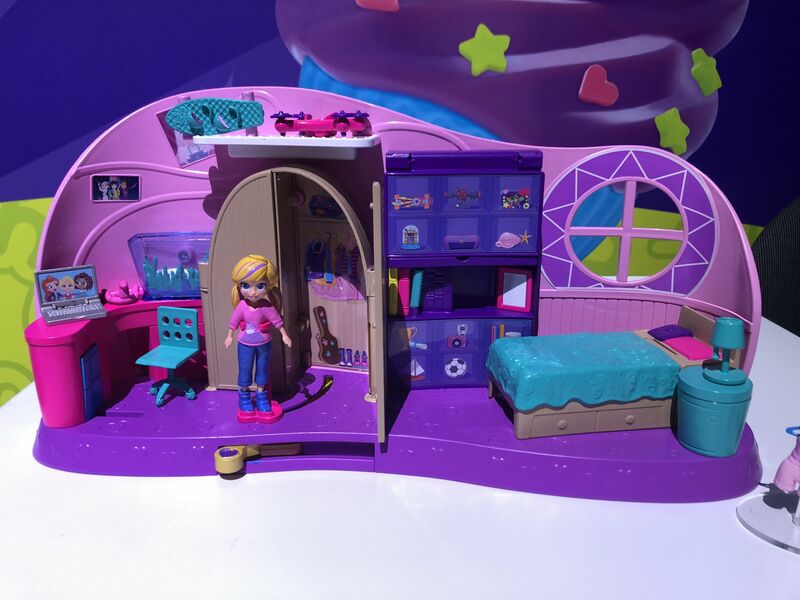 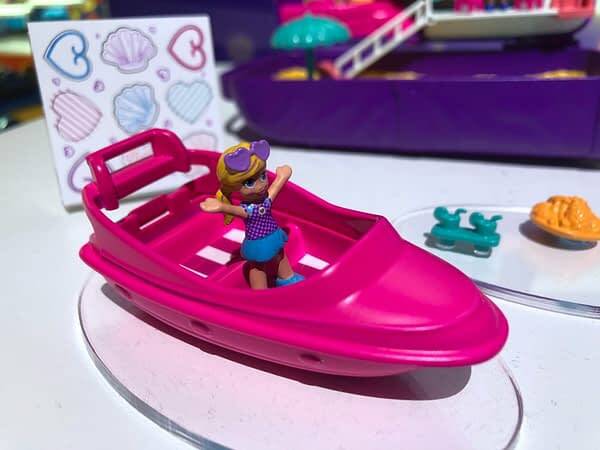 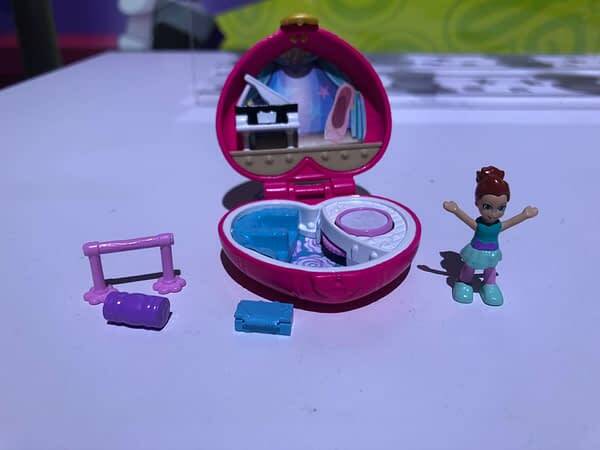 They are also relaunching Polly Pocket! 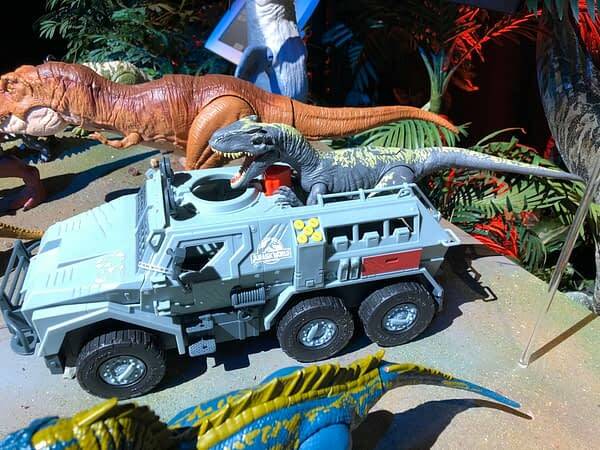 The toys will be just like the classics, with a modern spin of course. 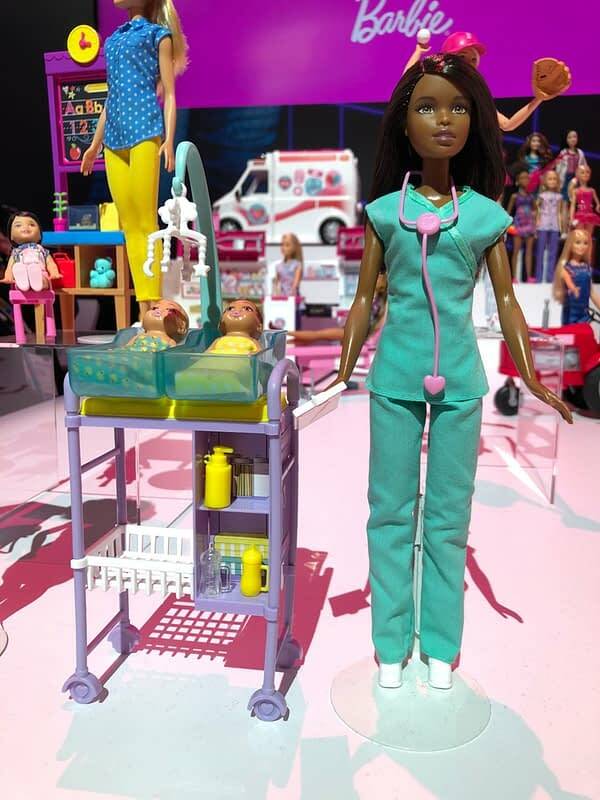 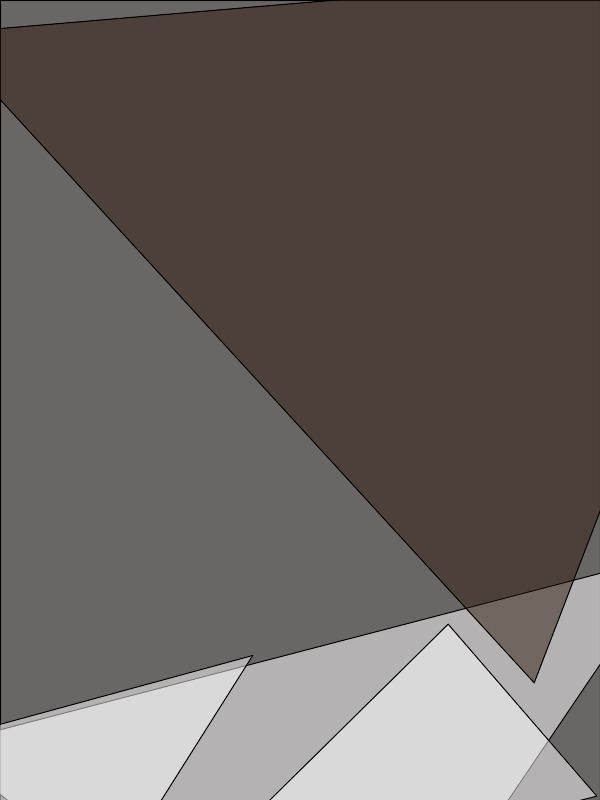 The toys will also be supported by a new animated series. 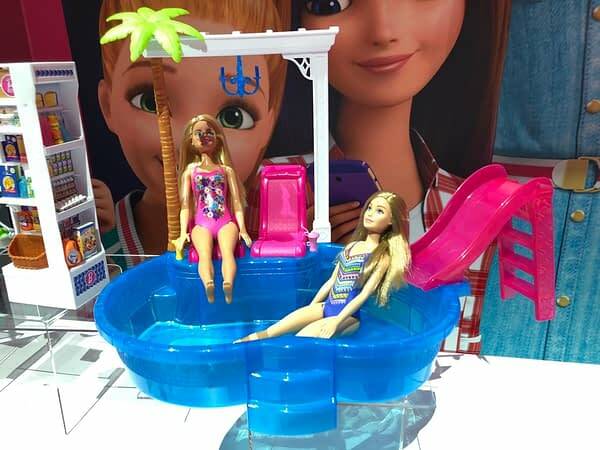 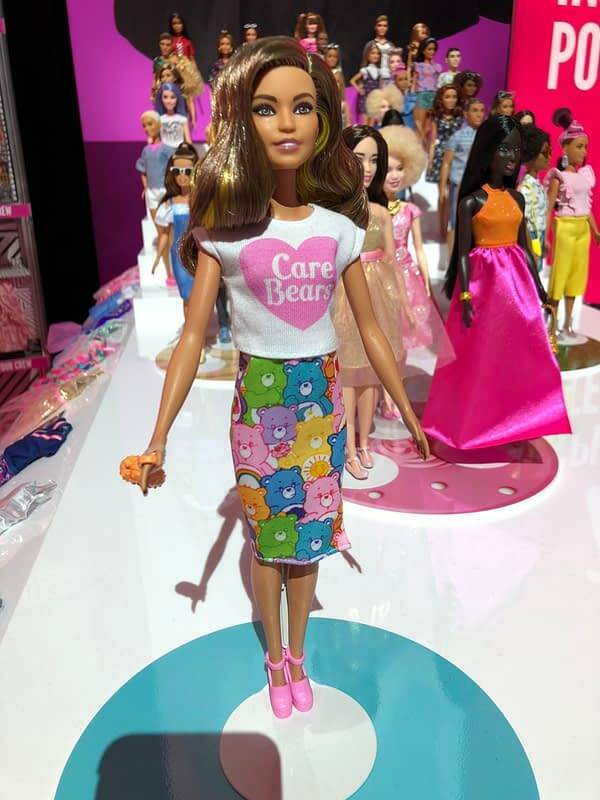 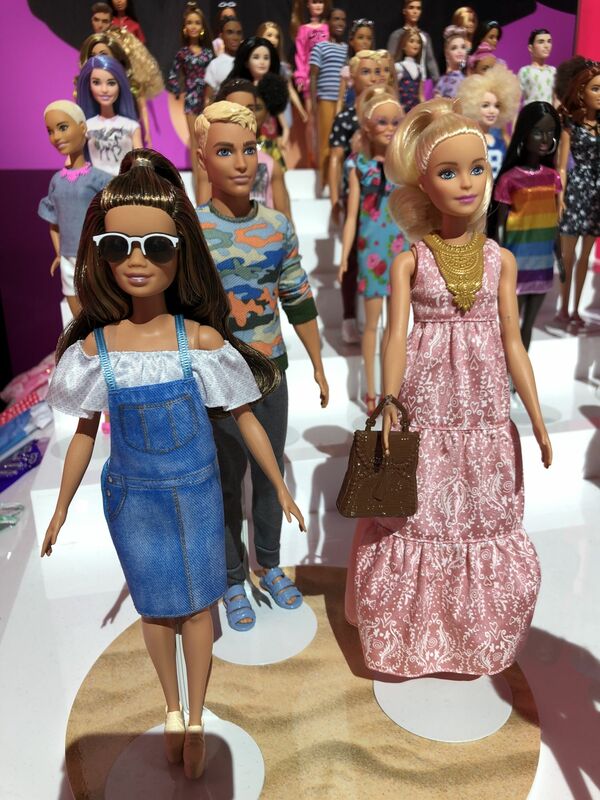 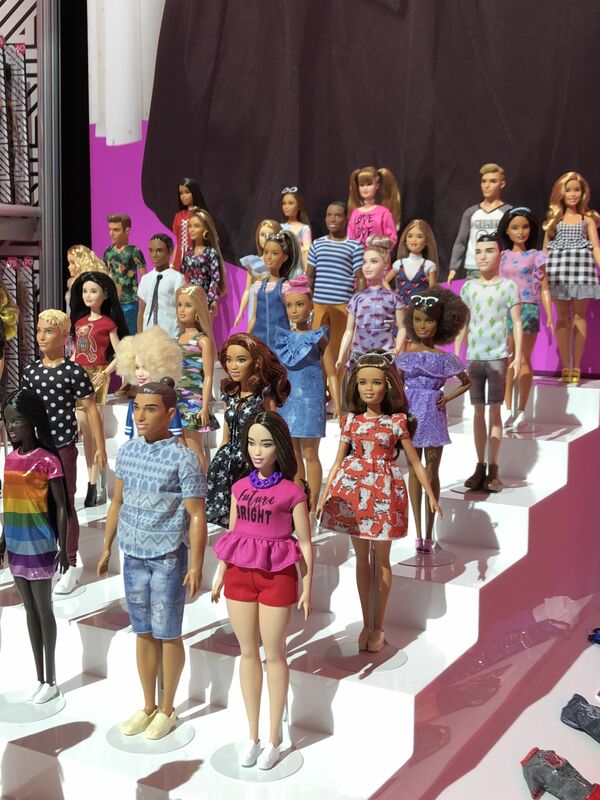 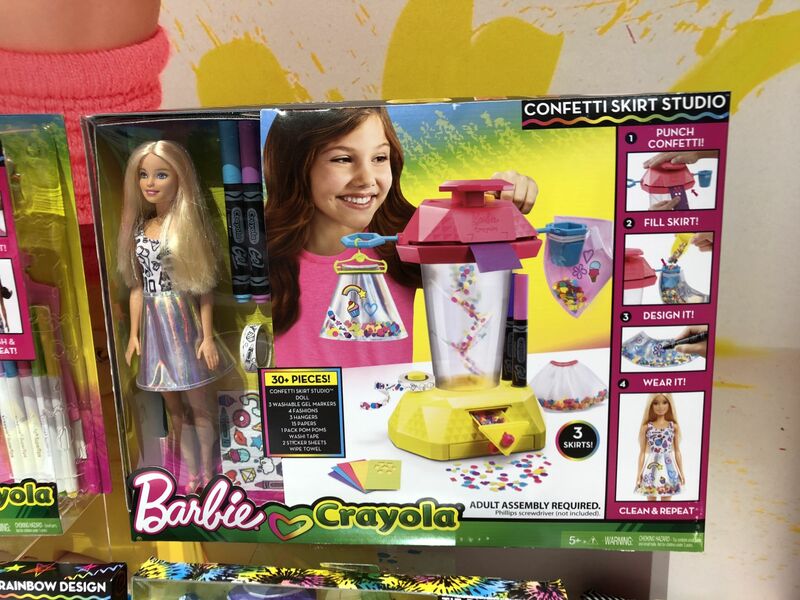 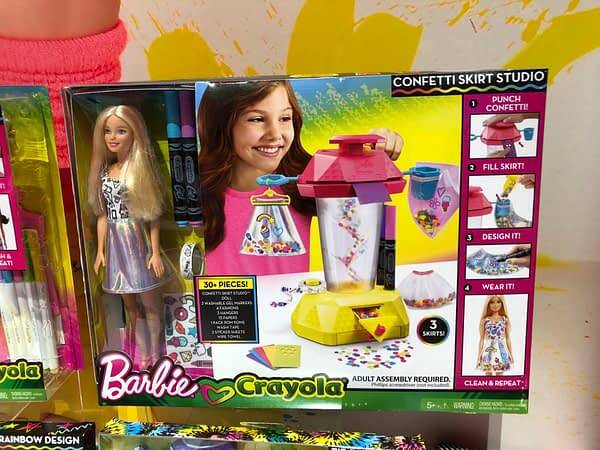 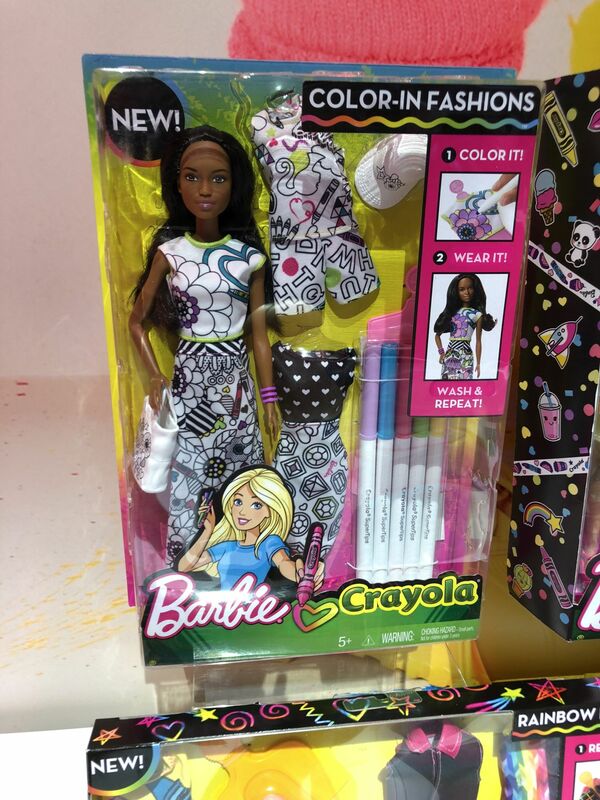 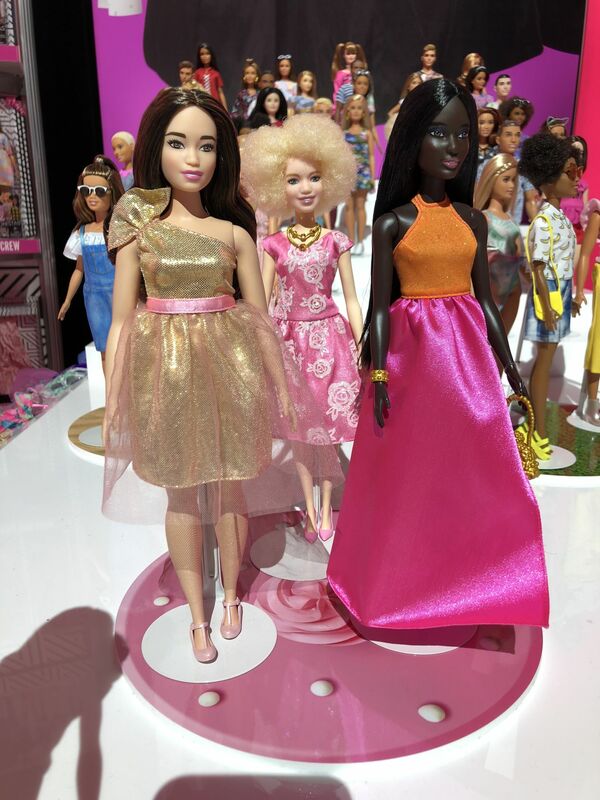 Check out everything down below, including looks at tons of new Barbie products. 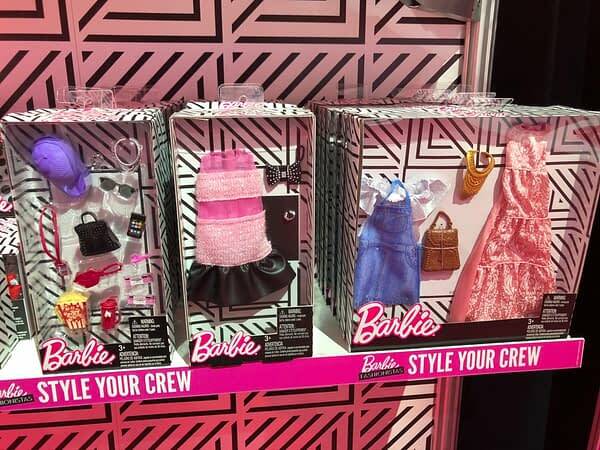 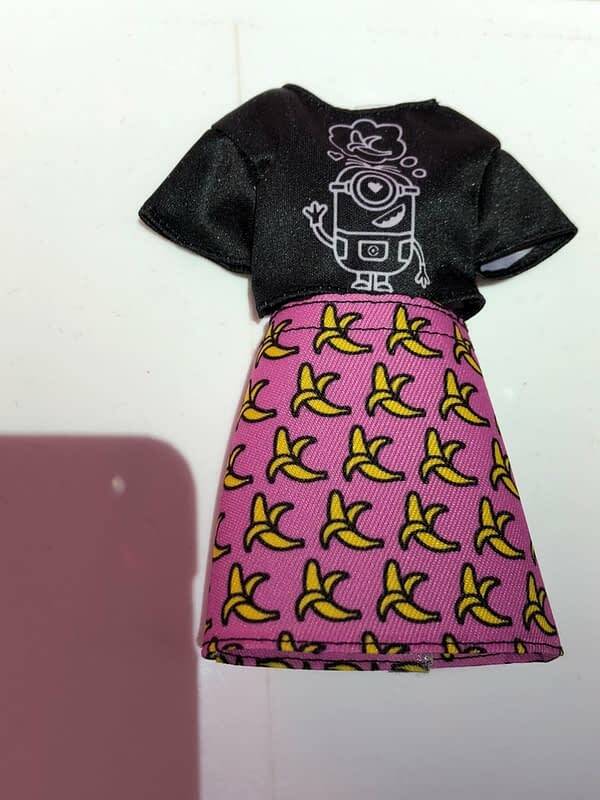 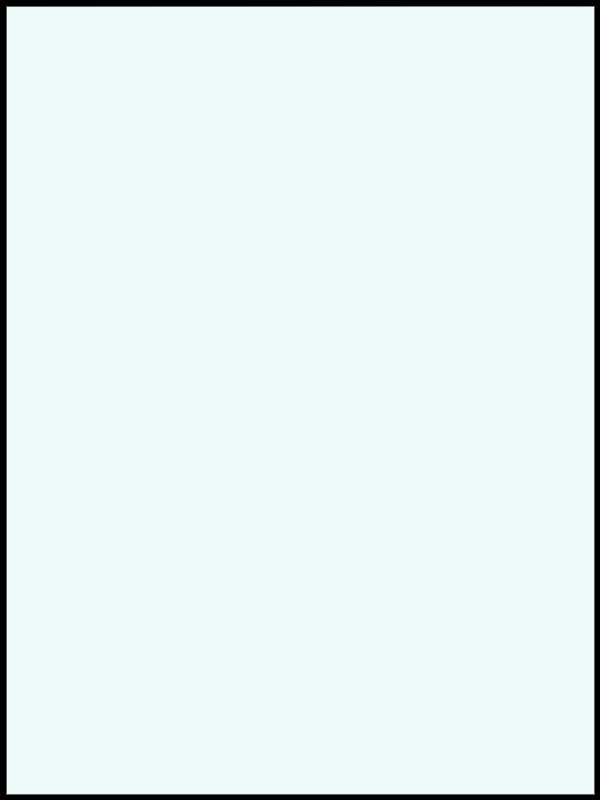 They are doing licensed clothing for the Fasionistas line! 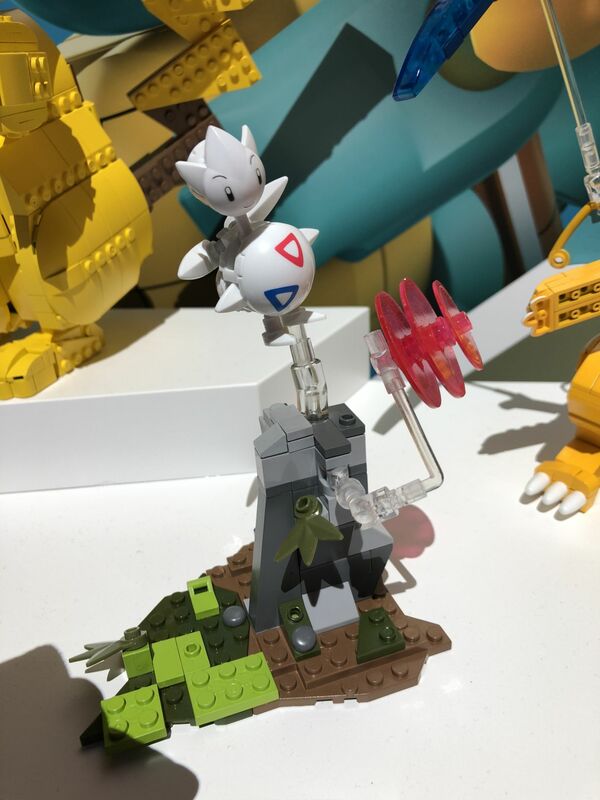 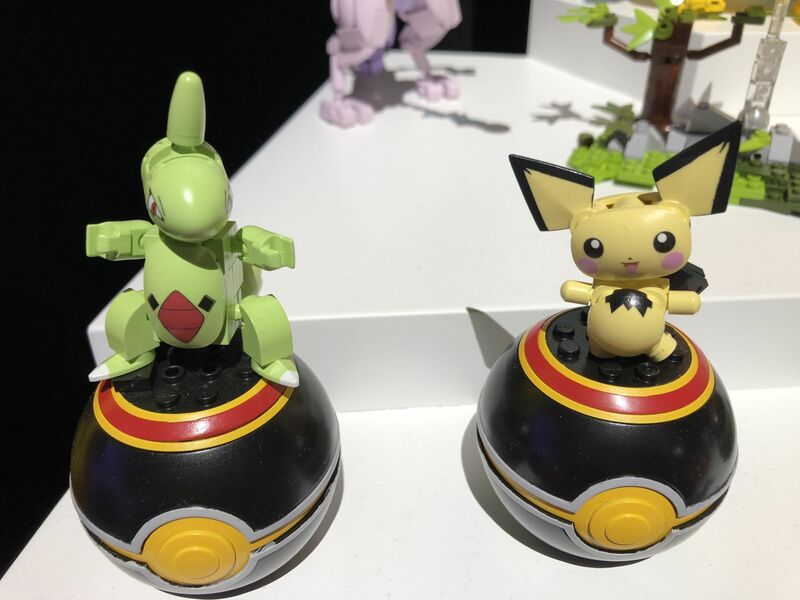 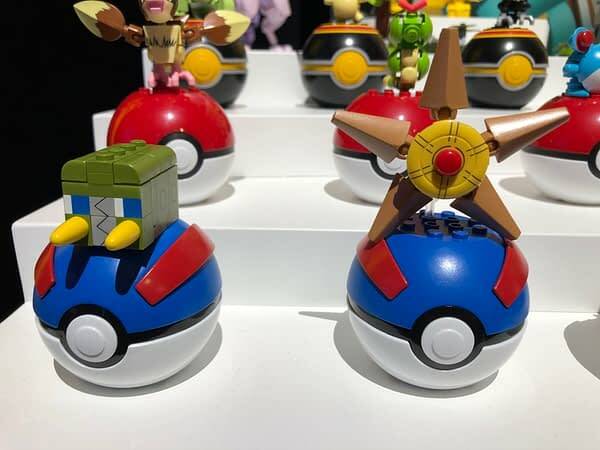 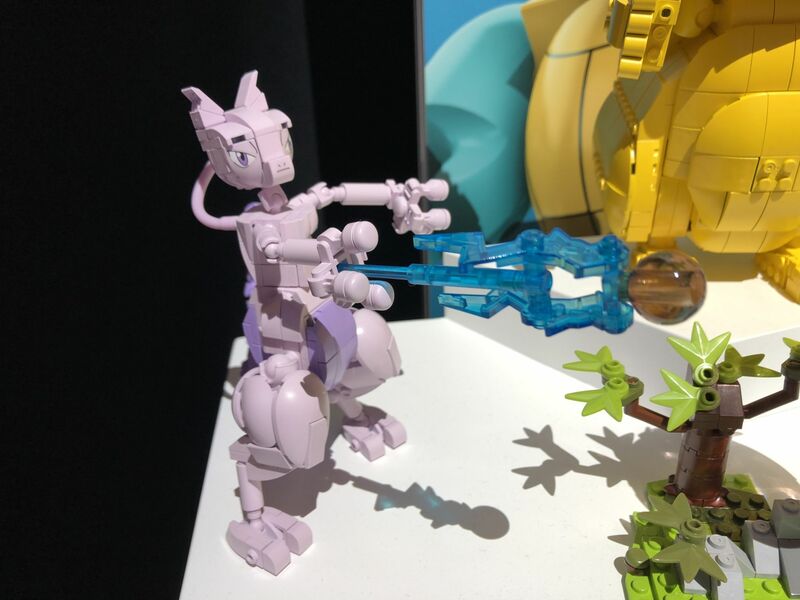 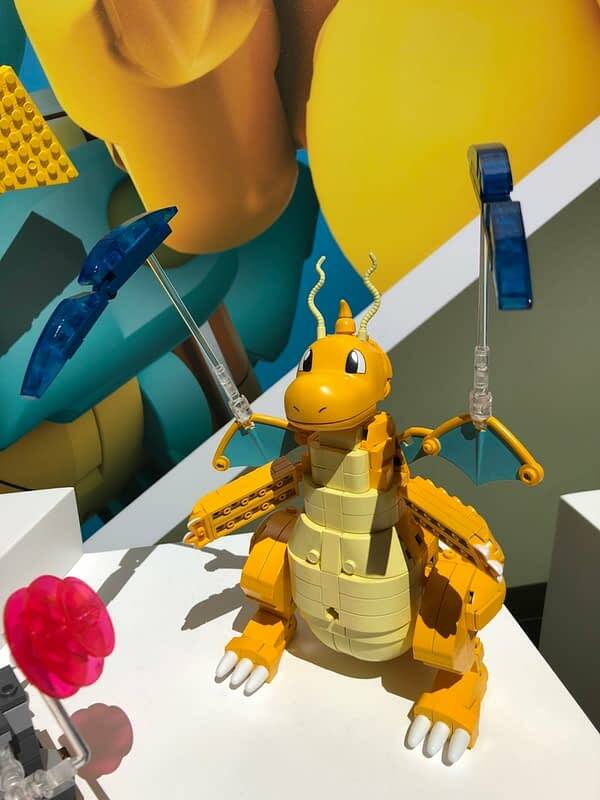 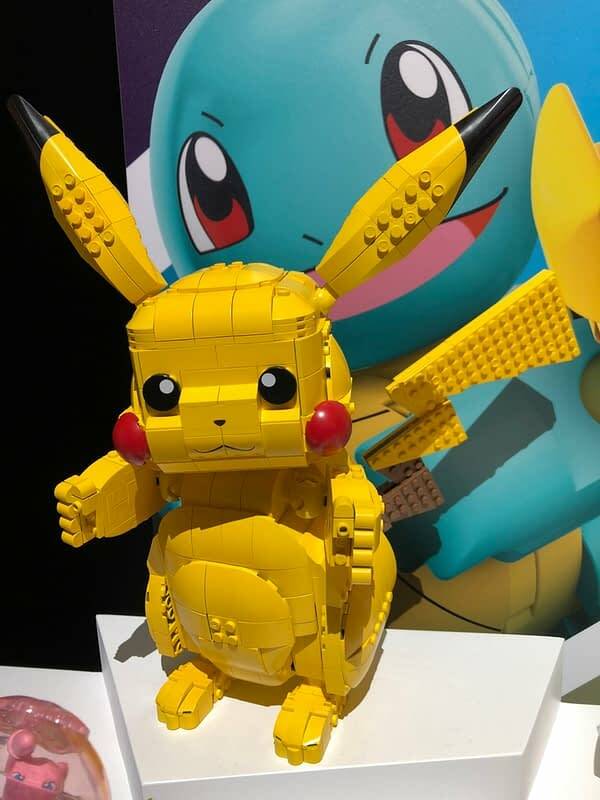 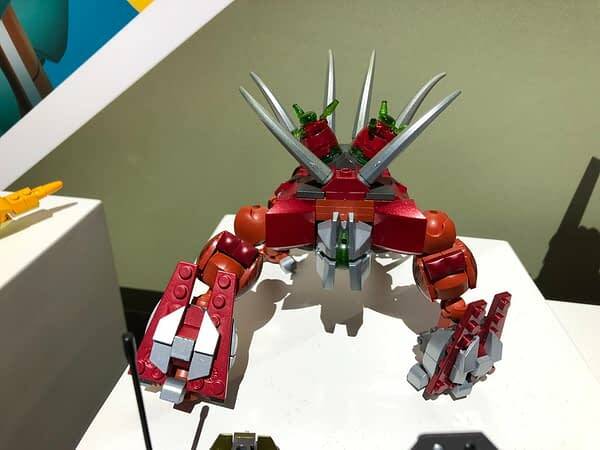 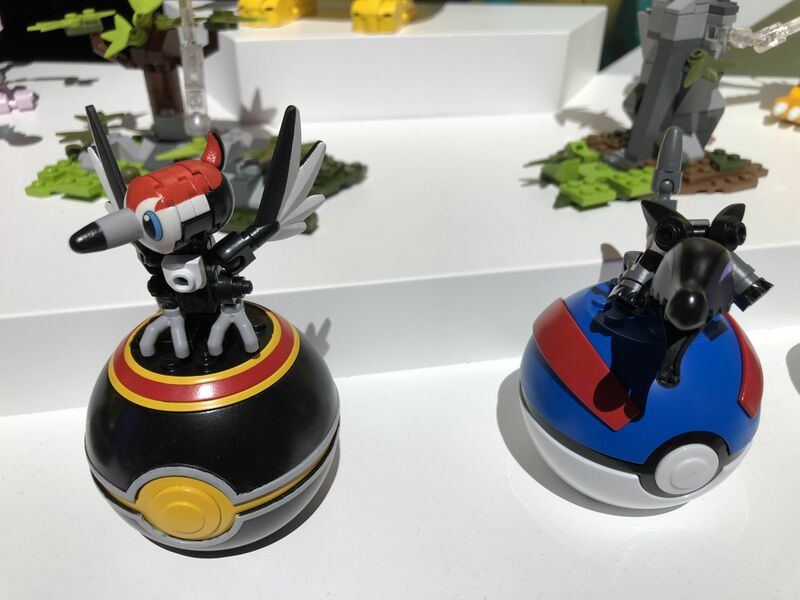 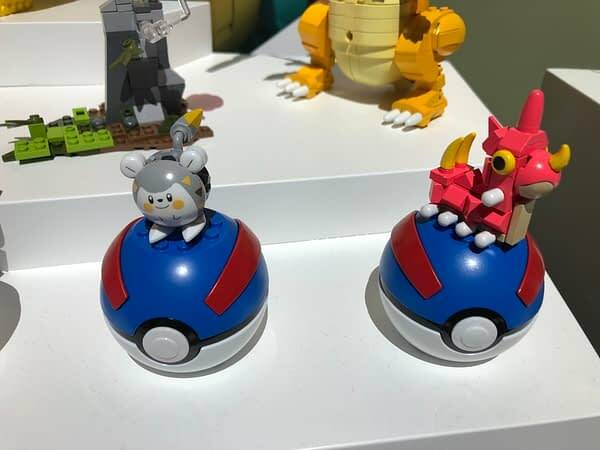 Mega Construx, Pokemon, and more! 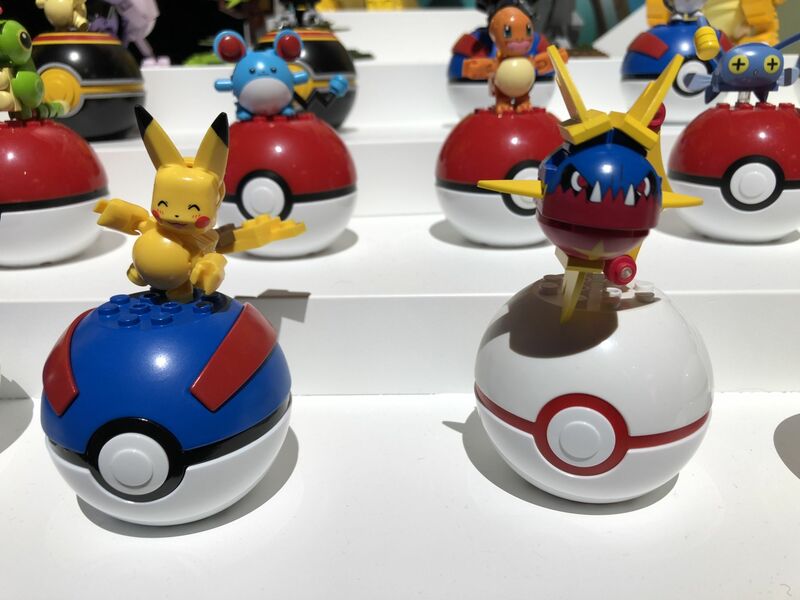 Did Niantic Give Away The Next Pokémon GO Community Day Pokémon?